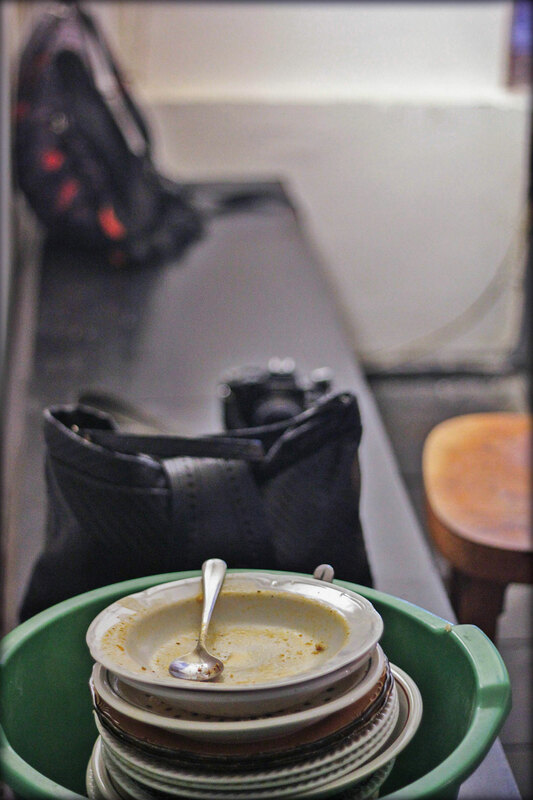 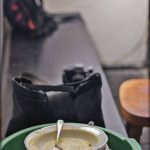 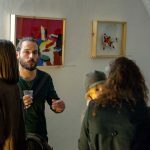 The non-developed art market in the county is affecting the local artists in a way that they are either leaving the country or often gradually reducing their artwork production. 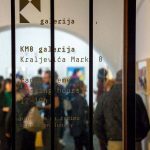 KM8 Gallery is the exhibition and production space which especially stimulate artwork production and aims to anticipate trends, discover new talents, and present local and international emerging artists. 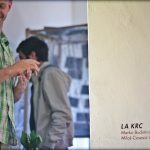 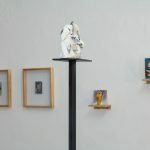 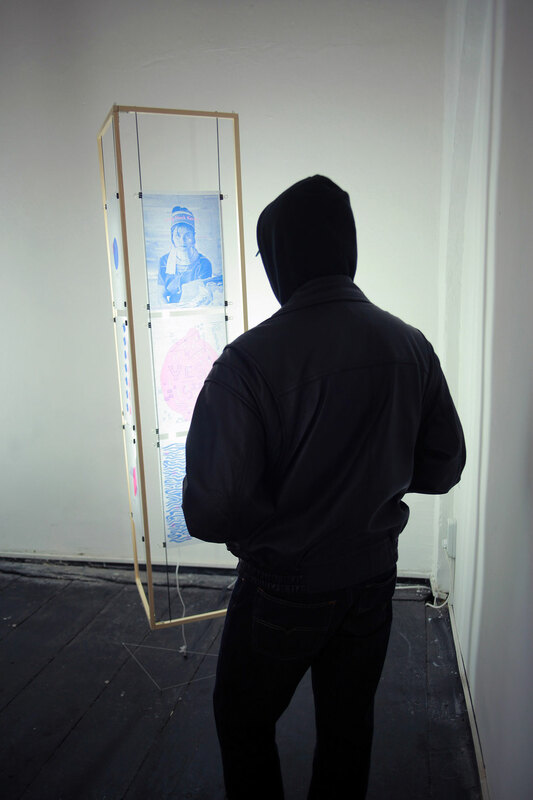 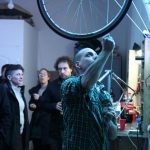 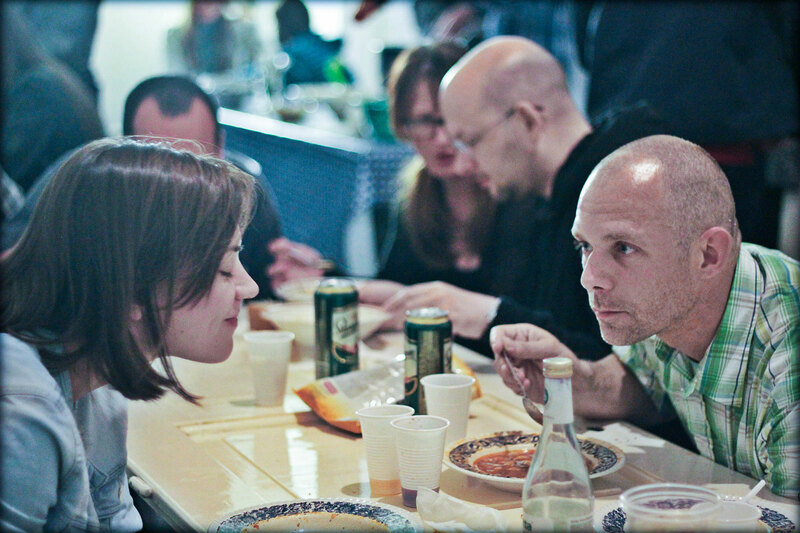 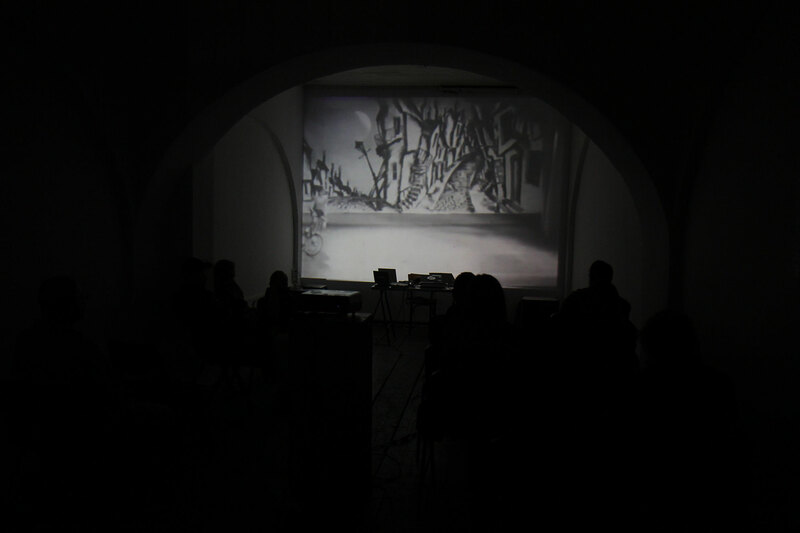 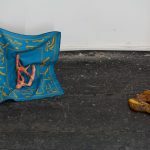 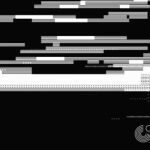 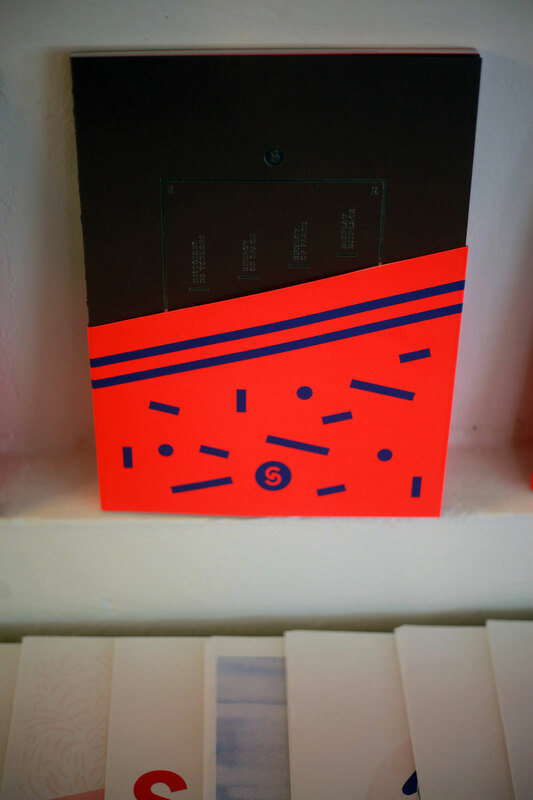 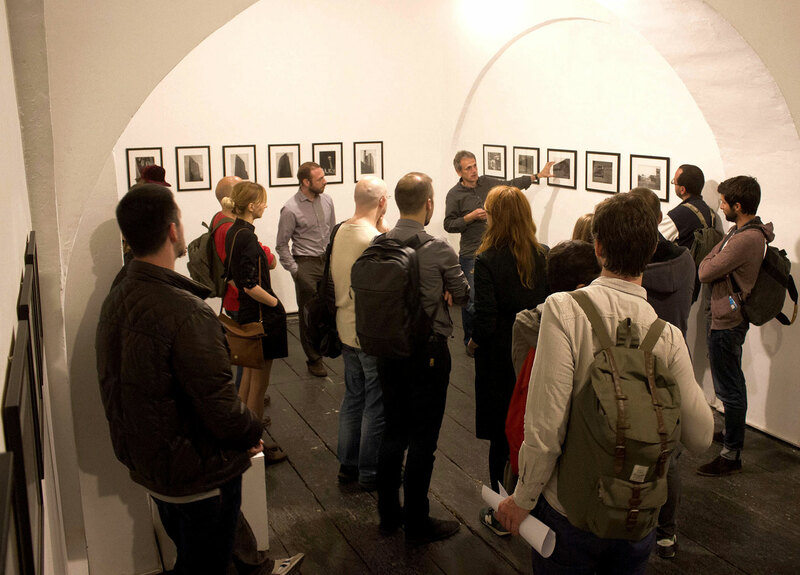 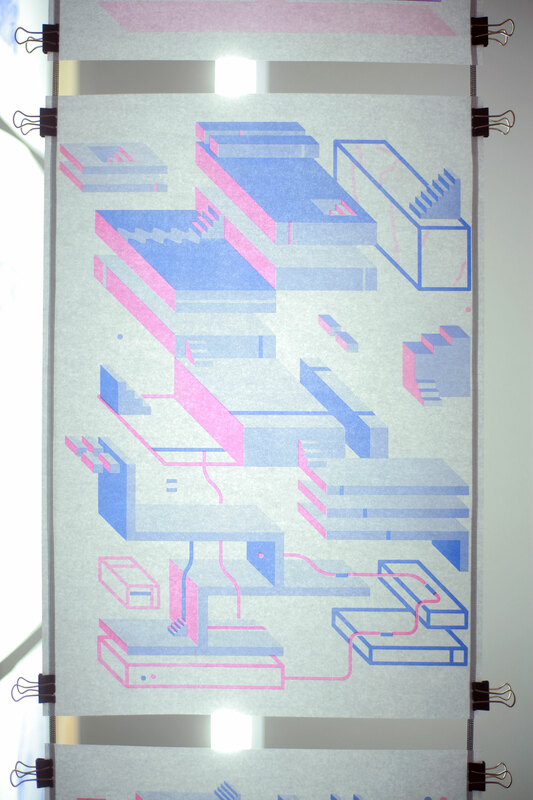 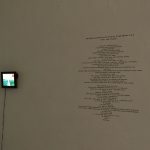 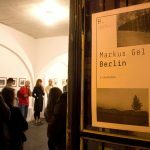 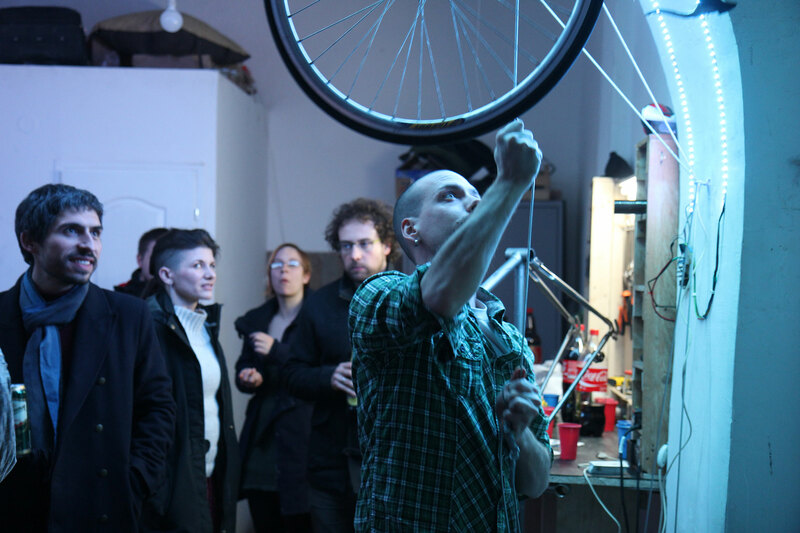 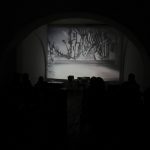 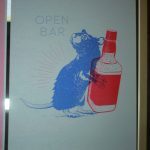 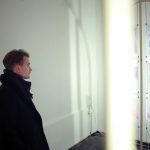 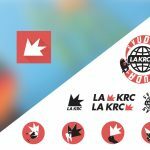 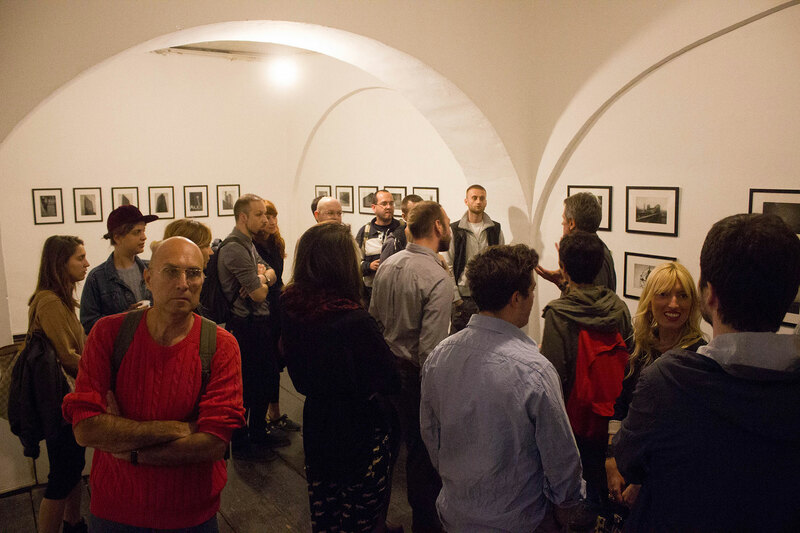 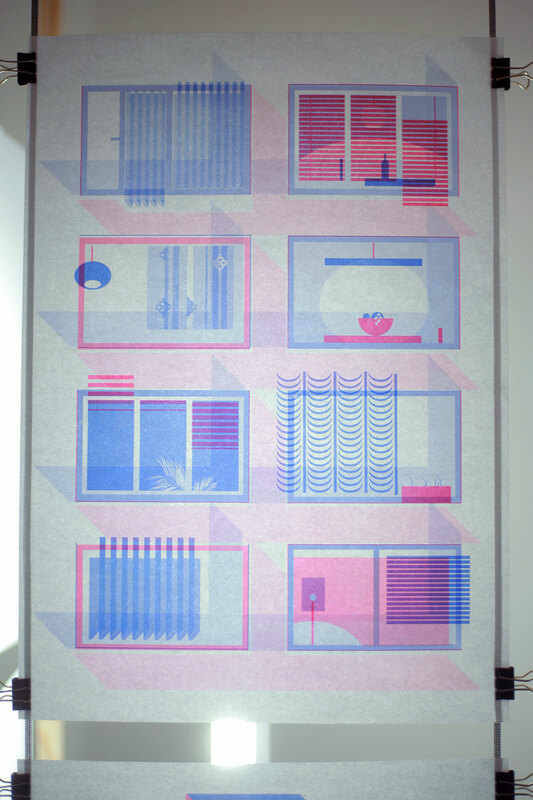 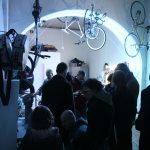 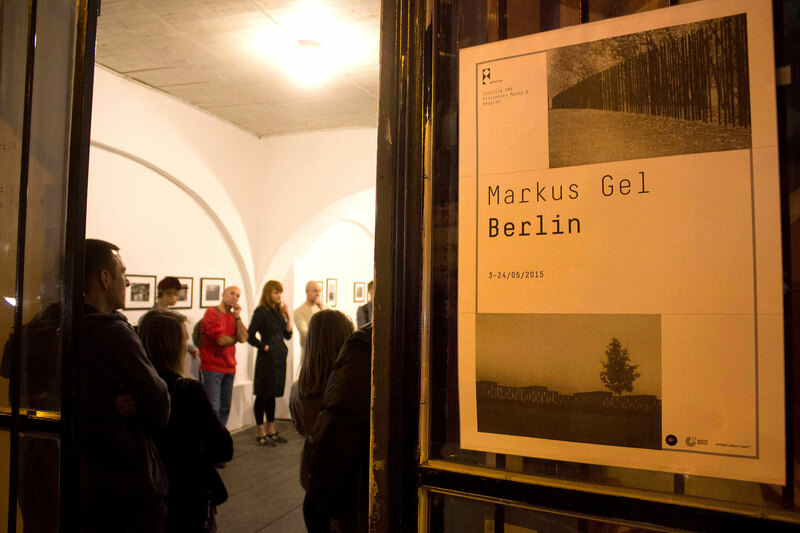 Rodrigo Casares Guzman, Maja Đorđević, La Krc collective, Markus Gell, Romeo Julien, Julie Hascoët, RISHA project, Vladimir Palibrk, Milica Pantelic, Zeljko Loncar, Théophile Glauser, Sébastien Doutaz et Coline Jeanneret-Gris, Marija Knežević, Emir Šehanović. 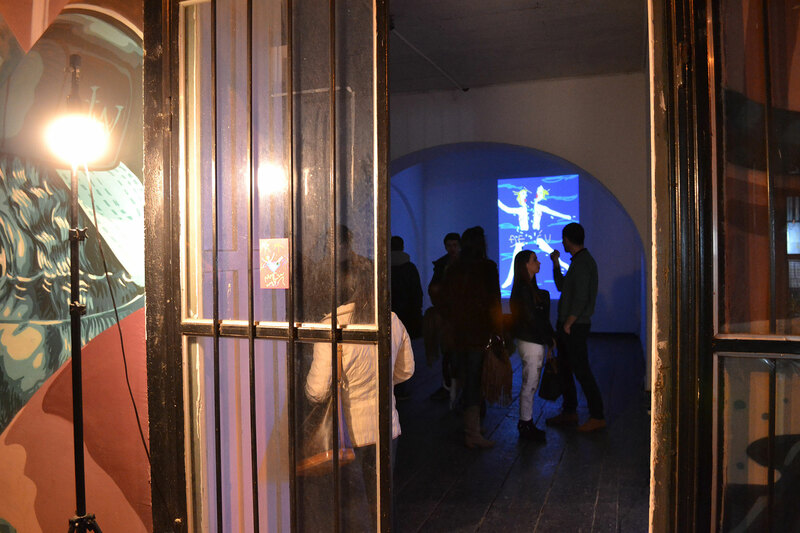 KM8 Gallery is a street level exhibition and project space. 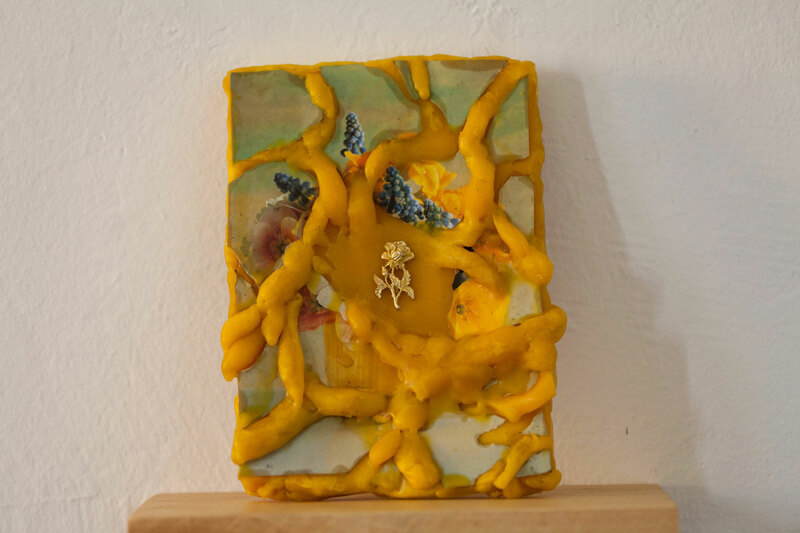 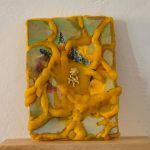 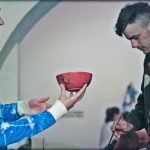 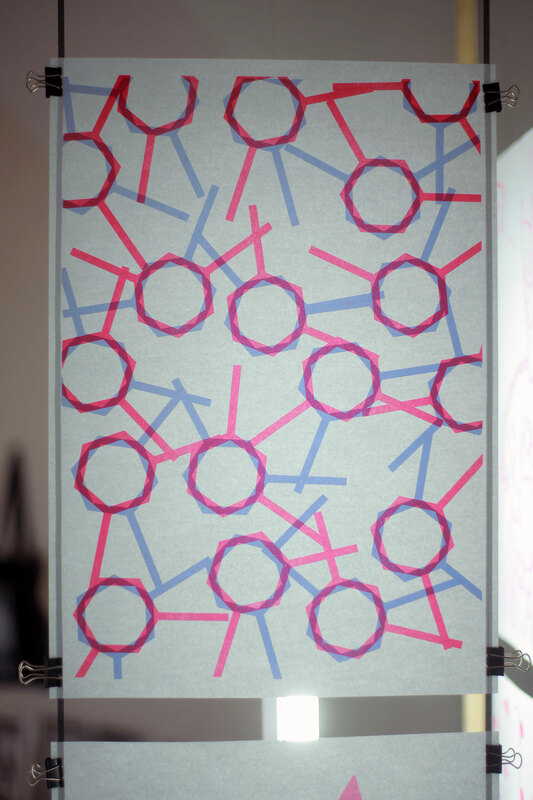 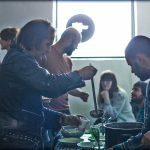 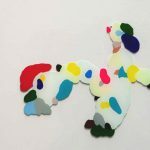 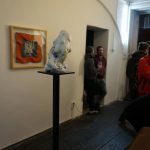 It has been developed based on the experience of the previous art projects realized in the same space Kraljevica Marka 8, by collective 3rd Belgrade – We love the Art of others and New Collection. 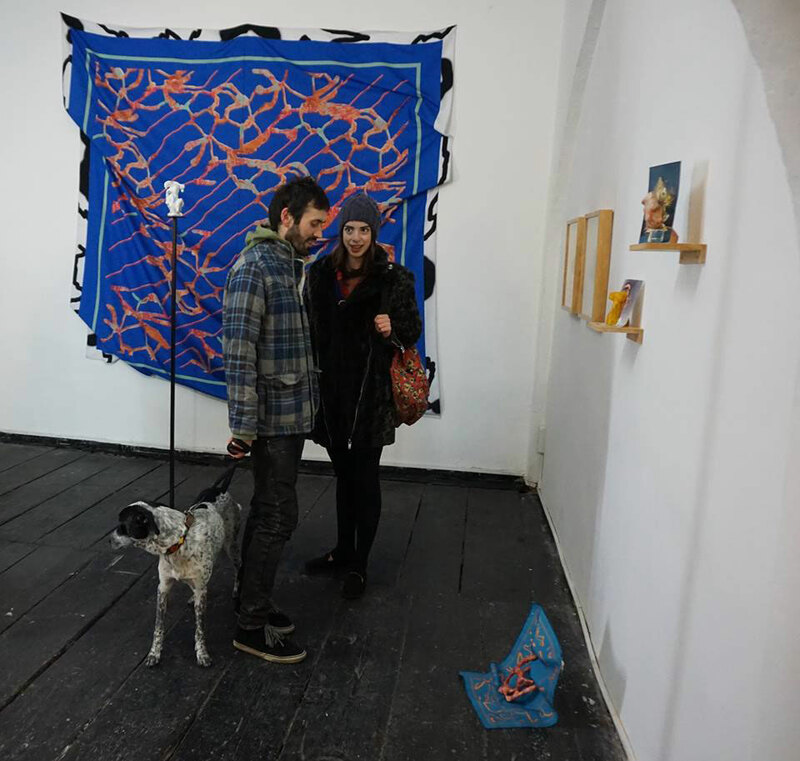 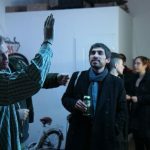 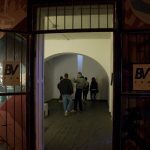 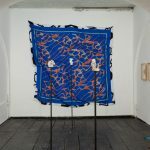 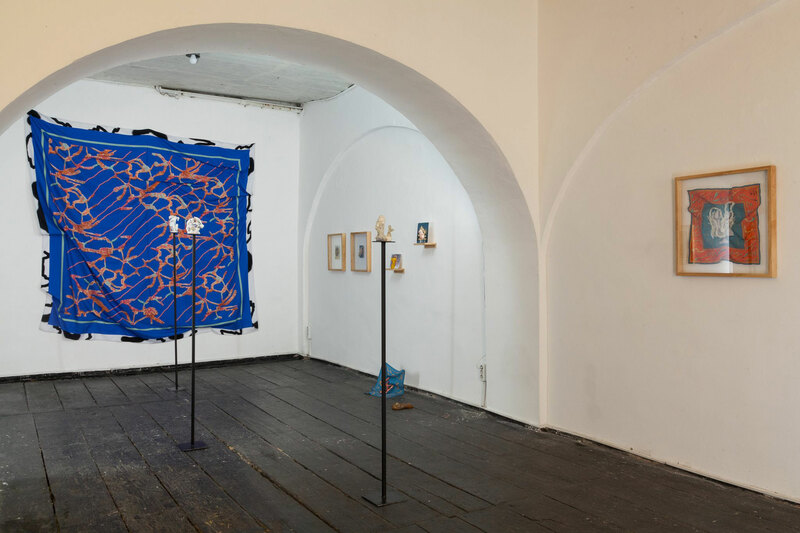 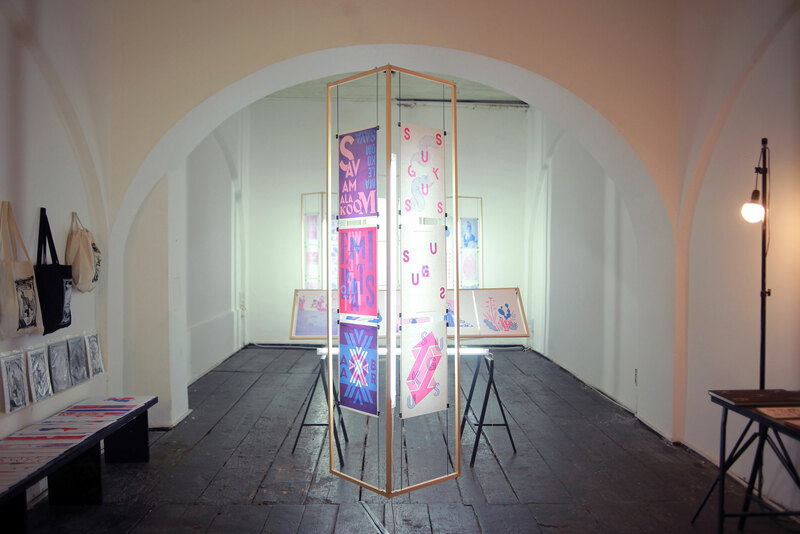 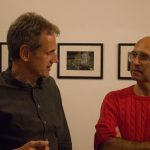 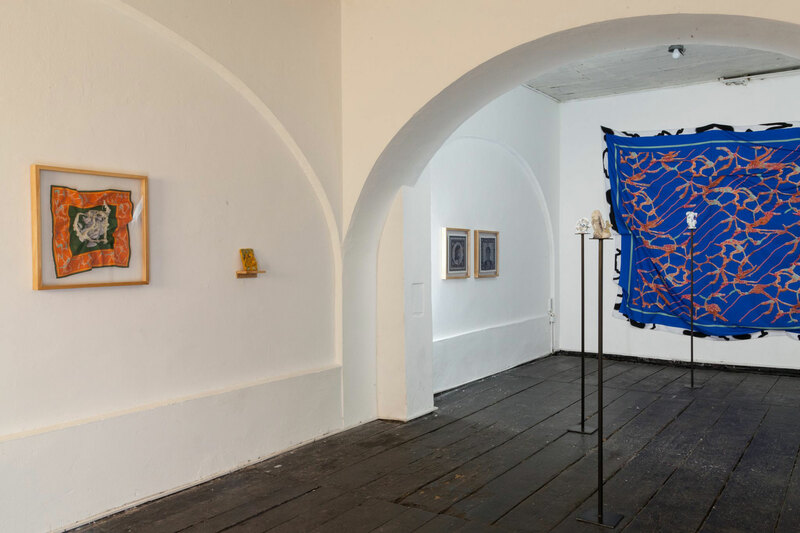 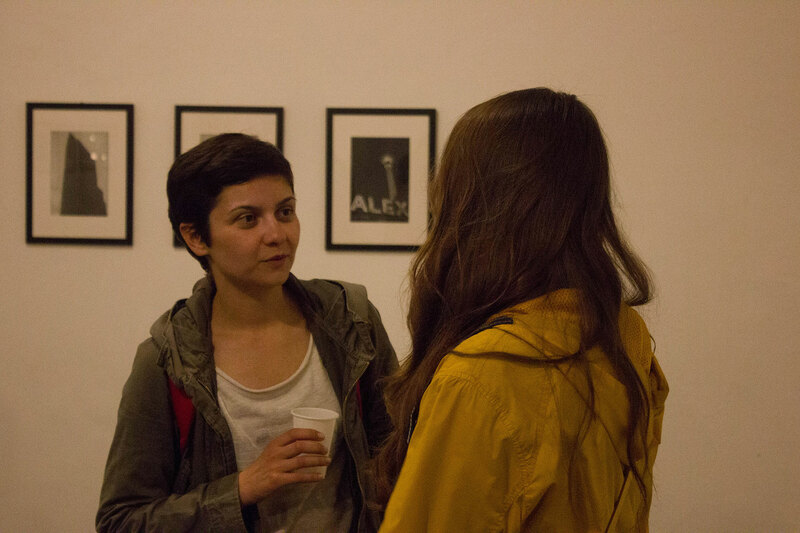 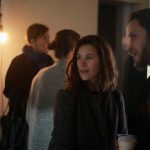 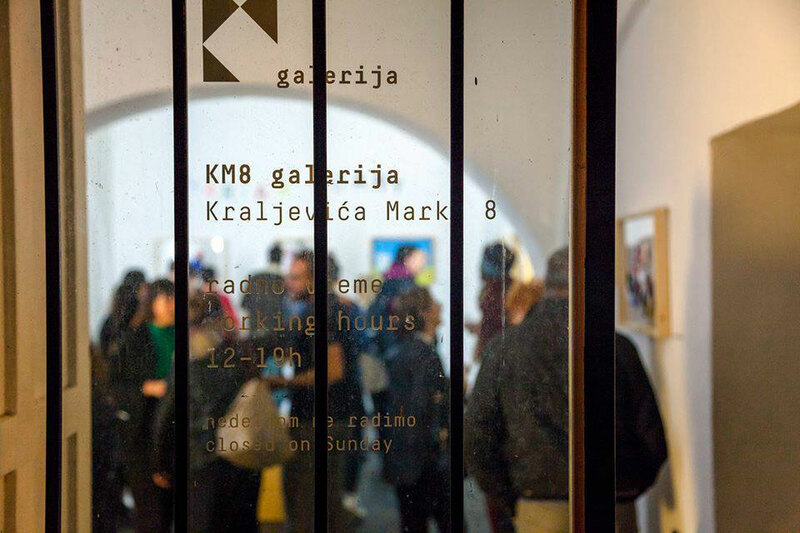 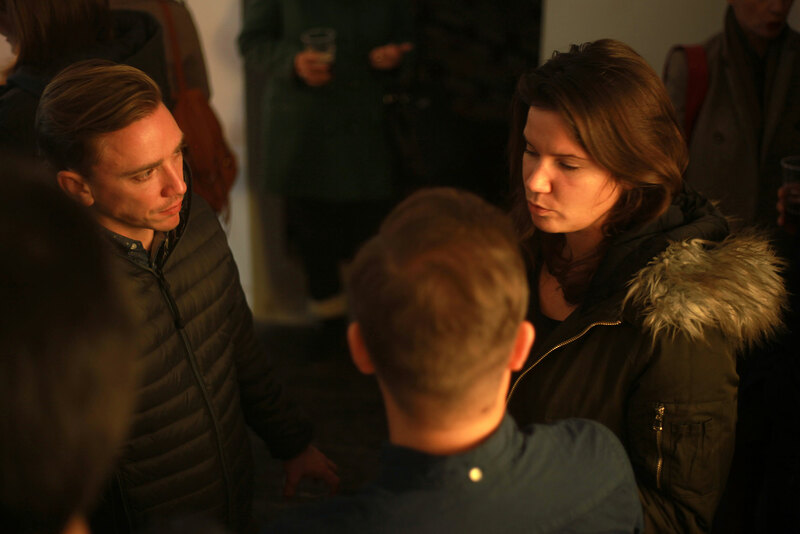 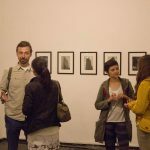 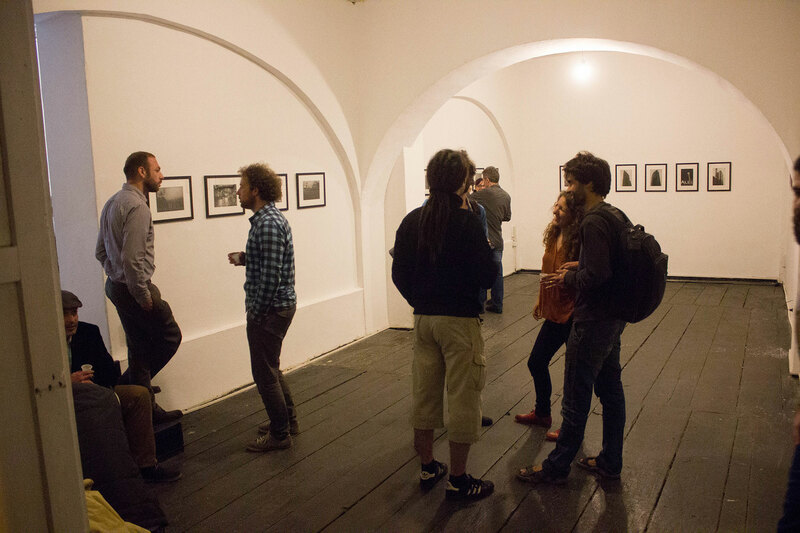 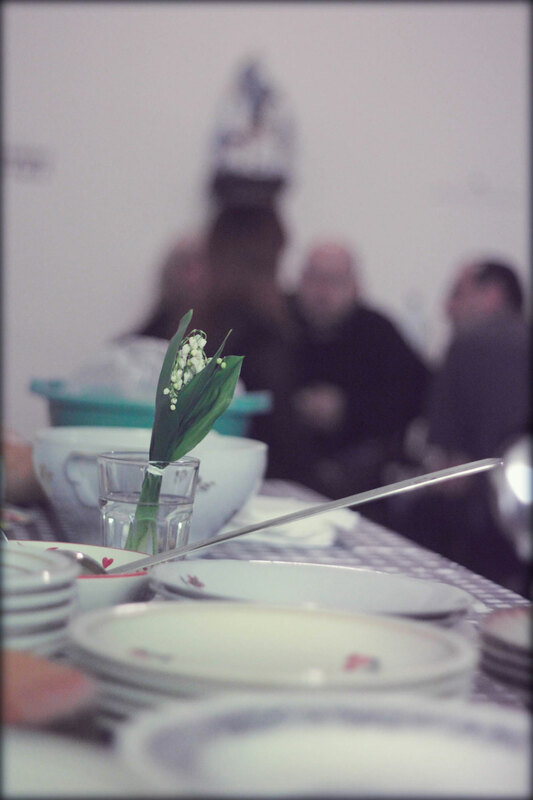 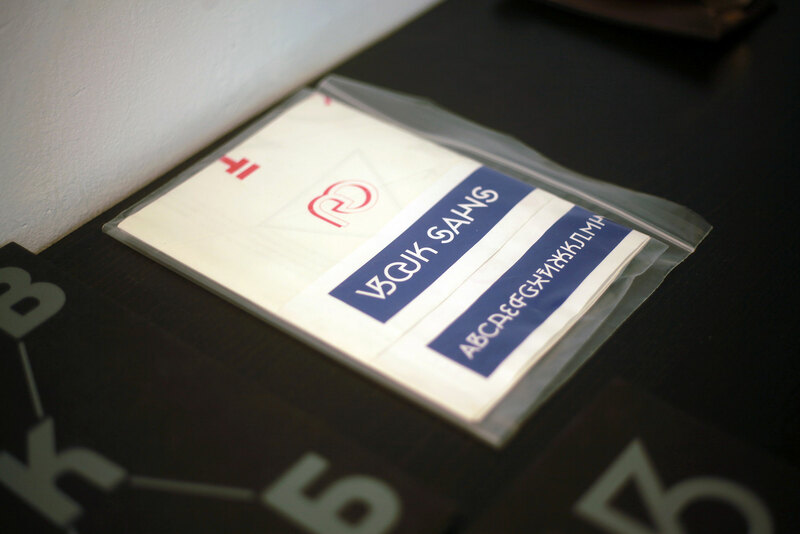 The main goal of the KM8 Gallery in 2015 was creating a contemporary art space which is dedicated to emerging artistic practices and ideas and supporting the production of challenging new work, often offering artists their first major solo exhibition in Belgrade. 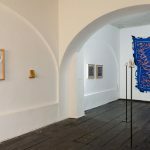 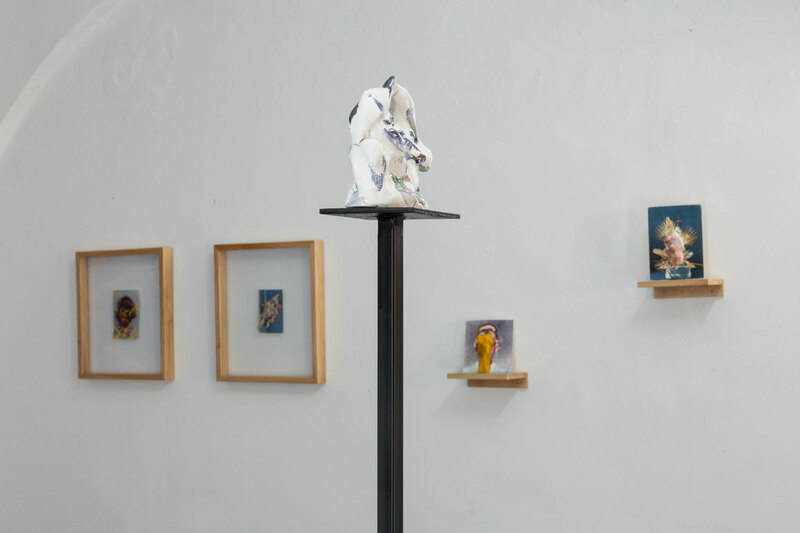 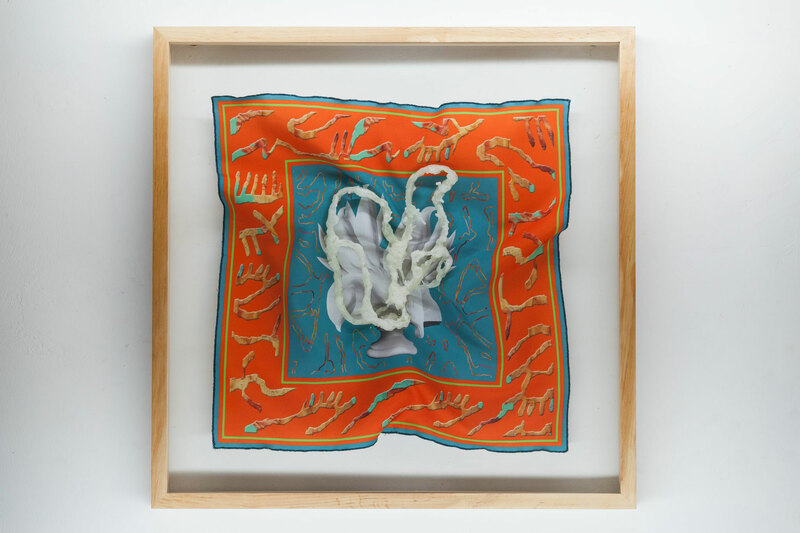 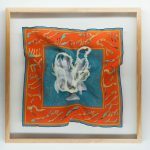 The gallery aims to anticipate trends, discover new talents, and present local and international emerging artists in different fields of contemporary practice: drawing, new media, installation, music, painting, performance, photography, sculpture and video. 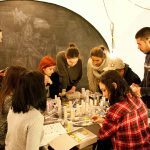 At the same time is encouraging innovative partnerships between educators, artists, initiatives and art collectors. 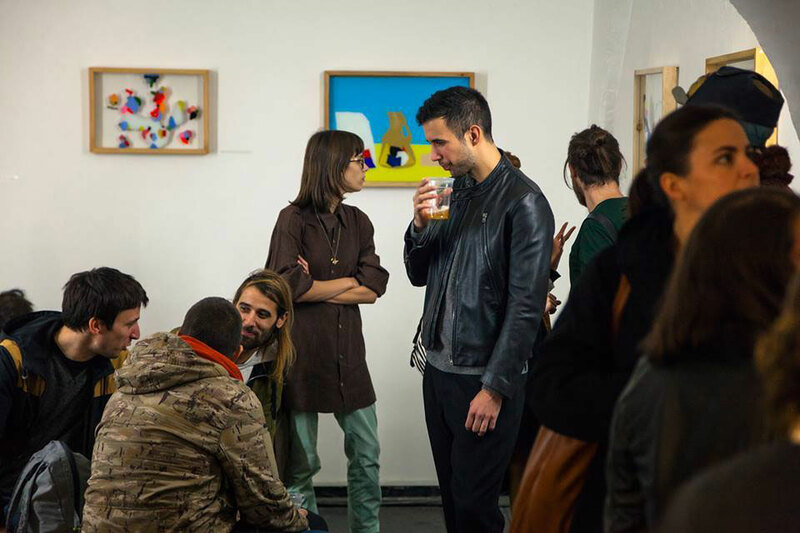 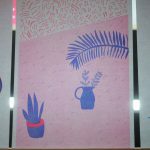 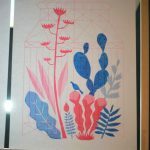 Rodrigo Guzman is an artist living in Belgrade since 2014. 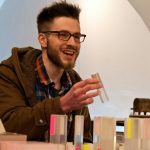 His specialization is data visual, graphic design, sound sculpting, audiovisual performance, interactive graphic interface programming and prototyping. 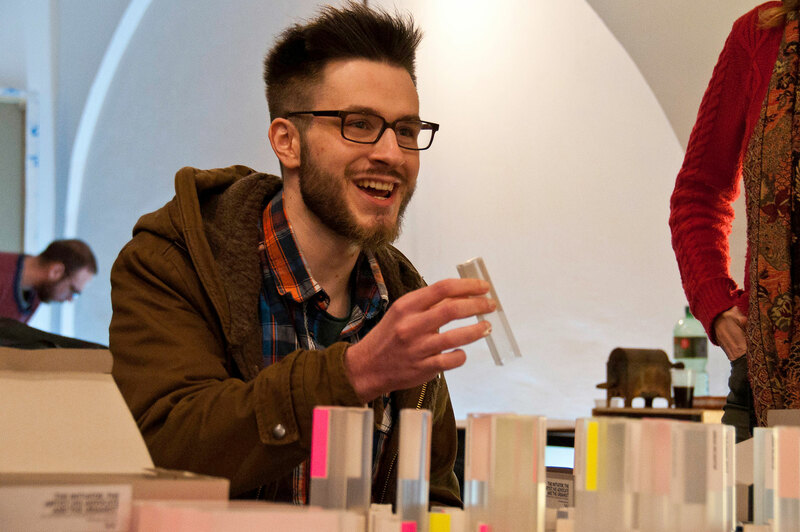 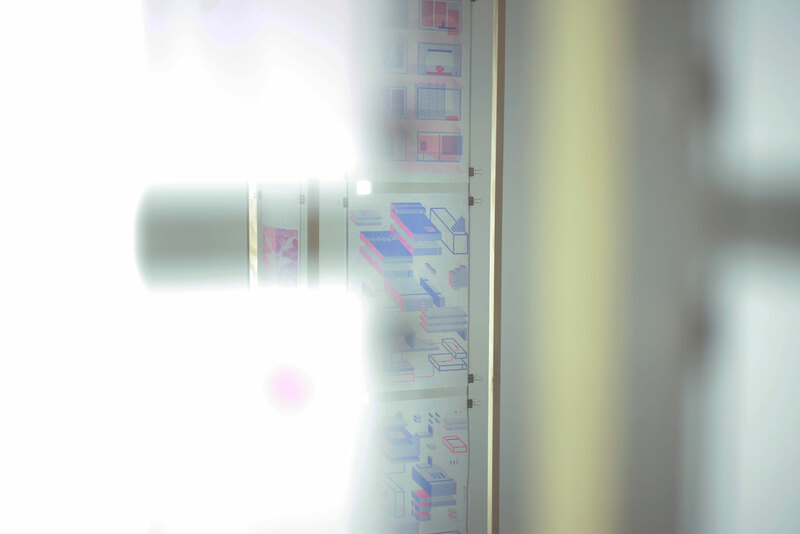 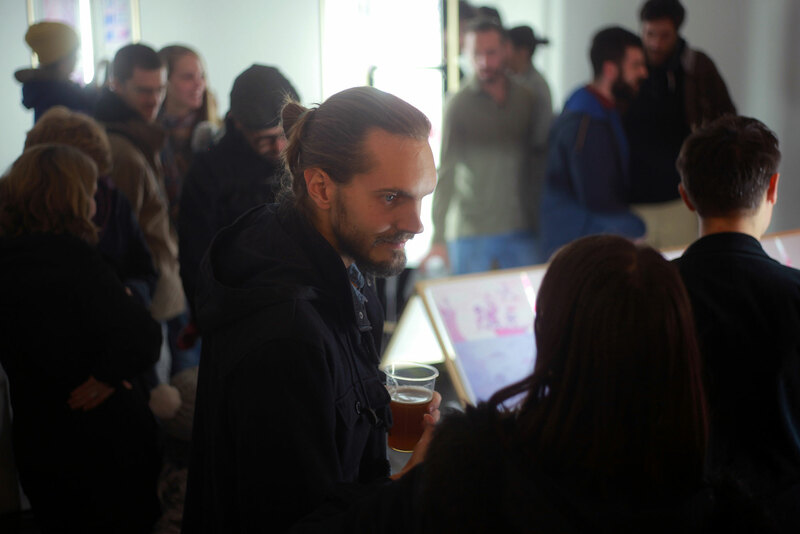 He creates 3D/2D animations for mapping projects and multi-touch programming. 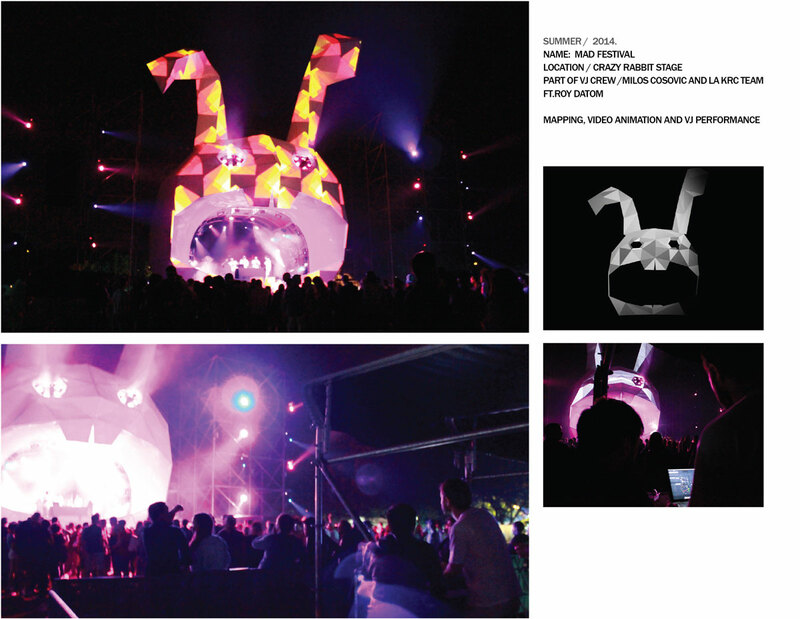 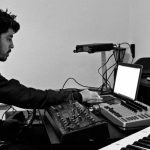 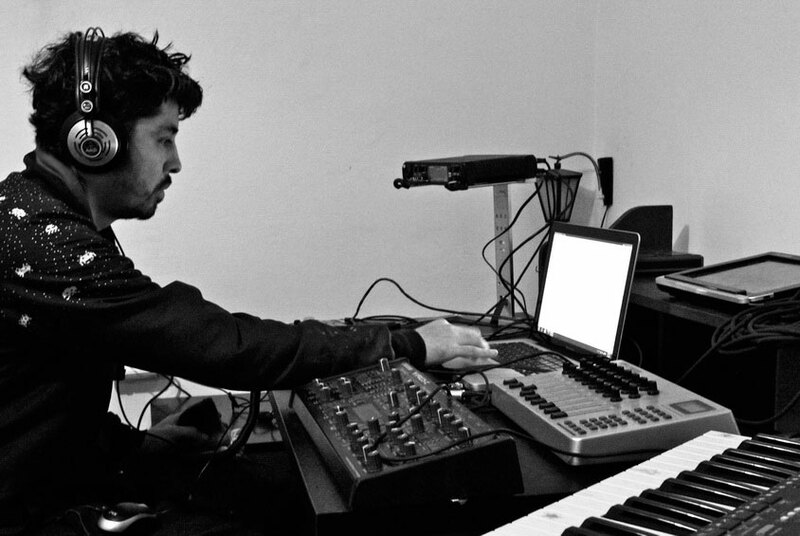 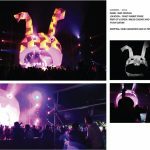 After graduating from the Universidad Tecnologica de Mexico in Graphic Design in 2008, Rodrigo started to create visual interactive live performances and light installations in Mexico. 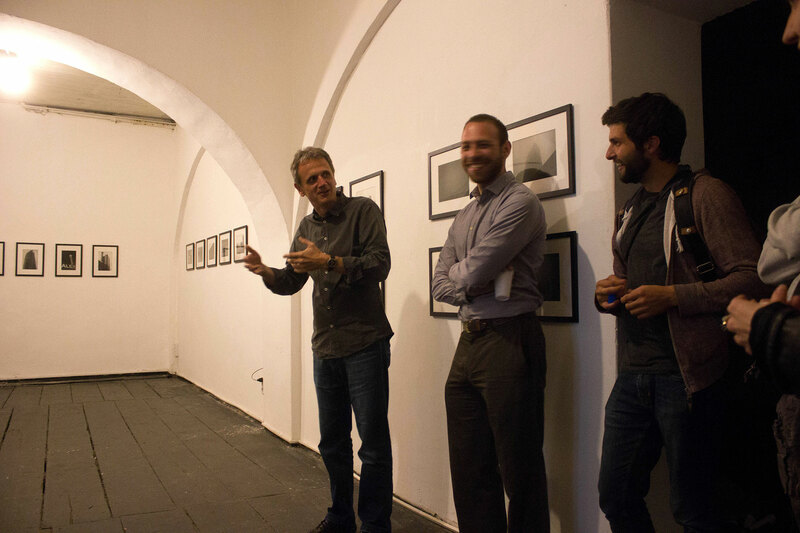 He worked with the digital community of the National Centre of Art of Mexico City and cofounded Intus.tv, a company based in New Media for advertising projects. 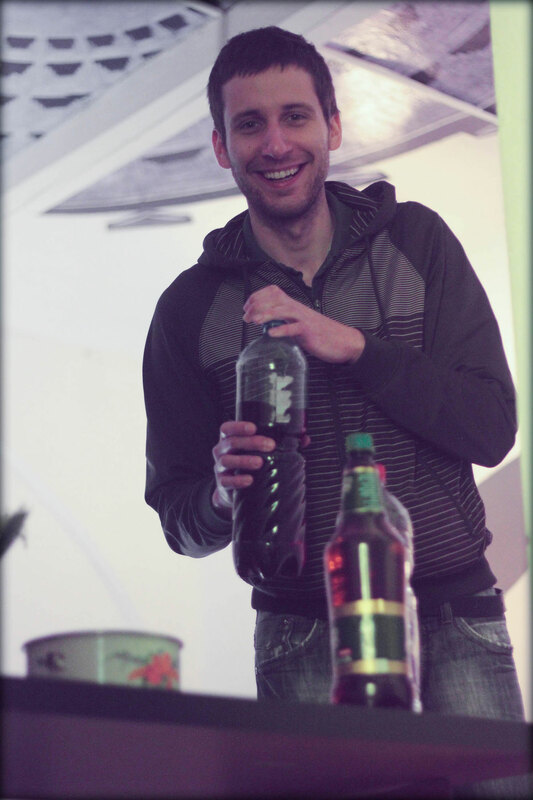 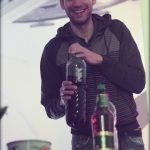 In 2013, he came to Europe and won VJ battles in Italy at LPM Festival in Poland at Videozone Festival. 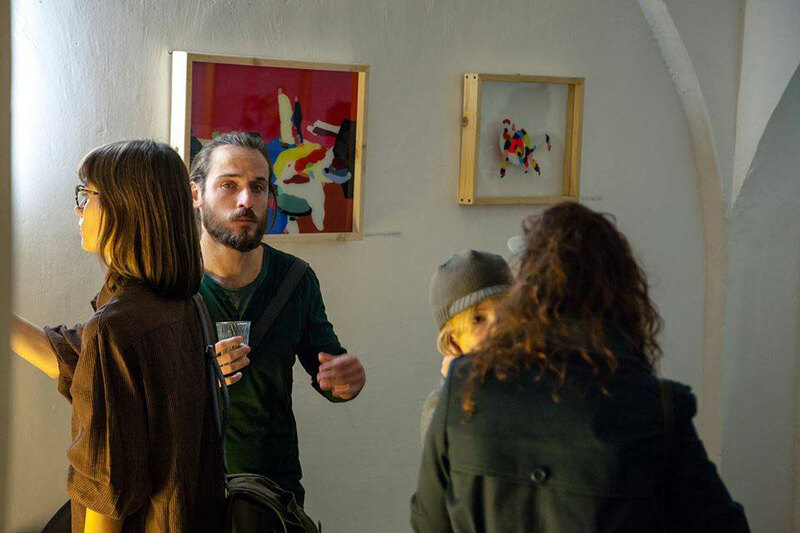 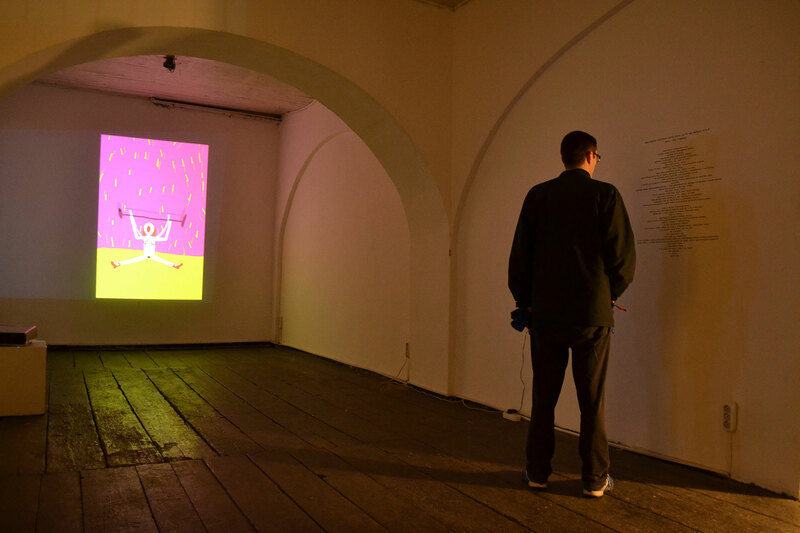 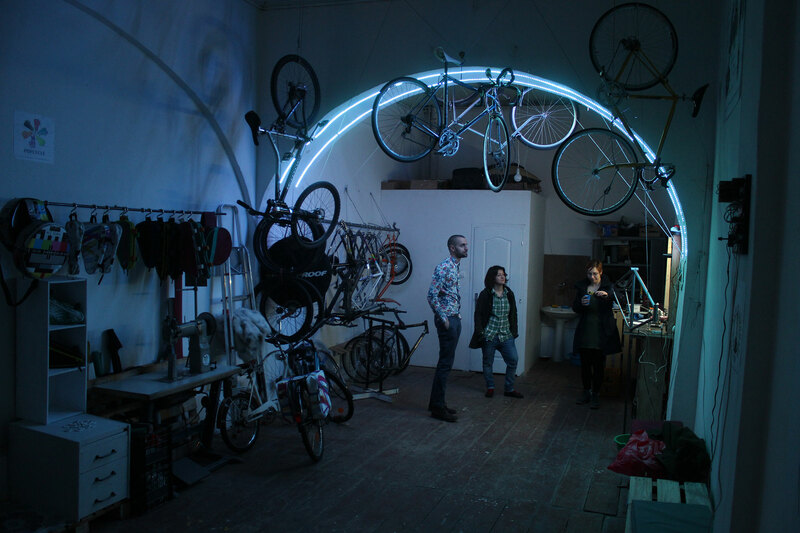 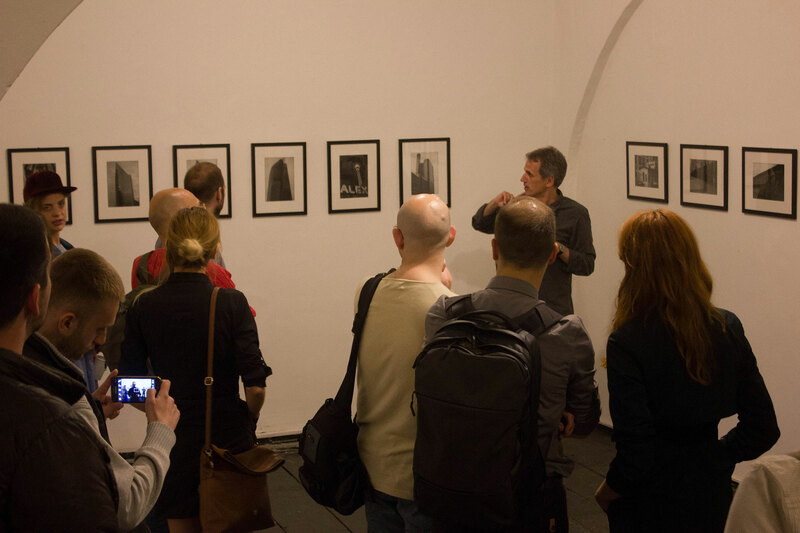 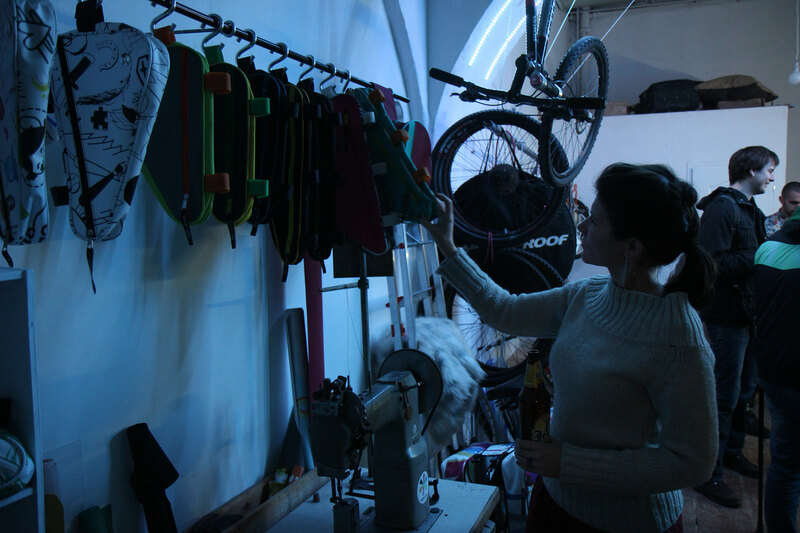 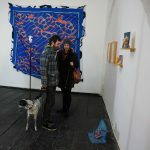 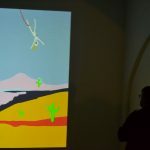 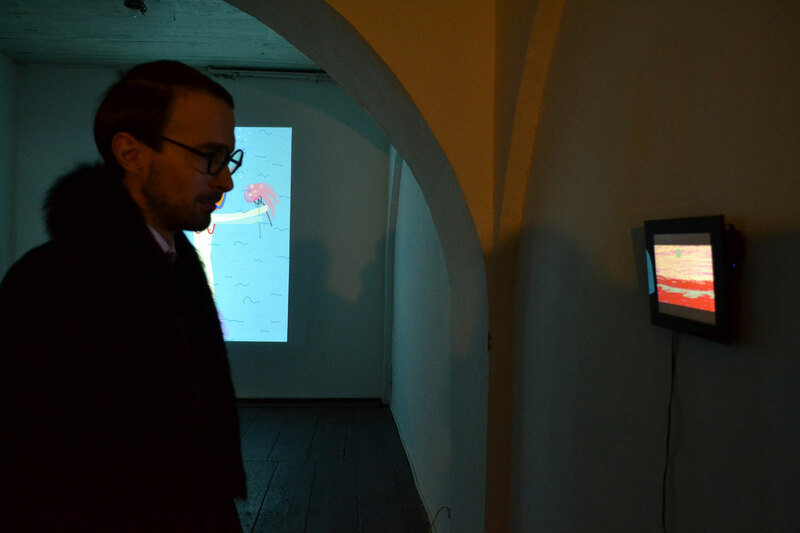 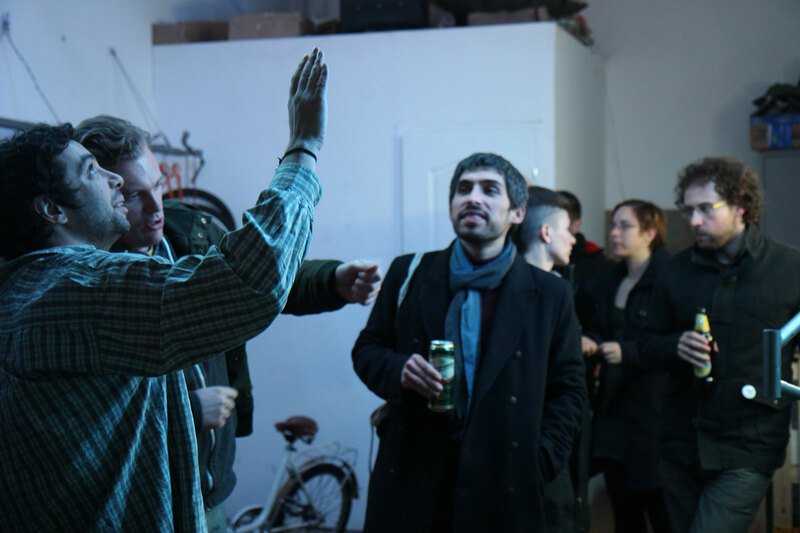 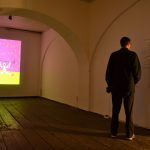 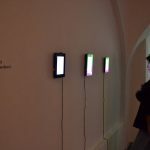 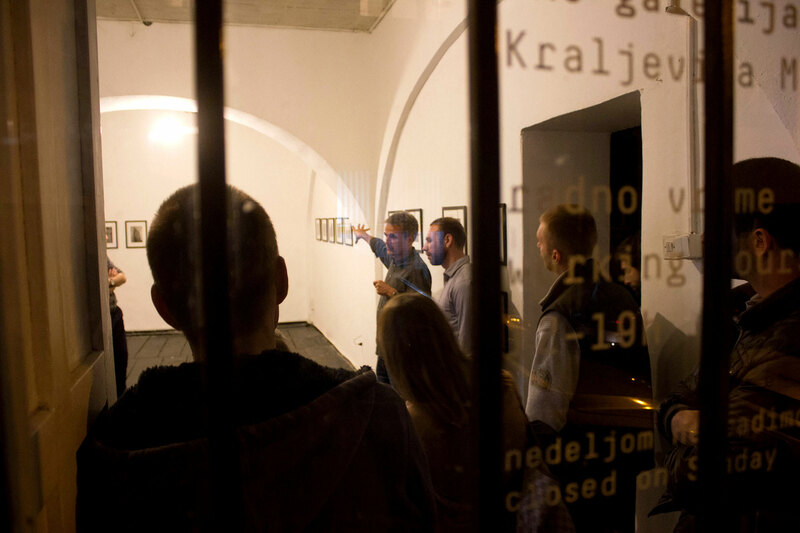 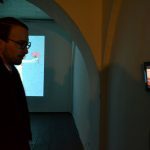 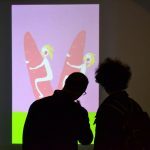 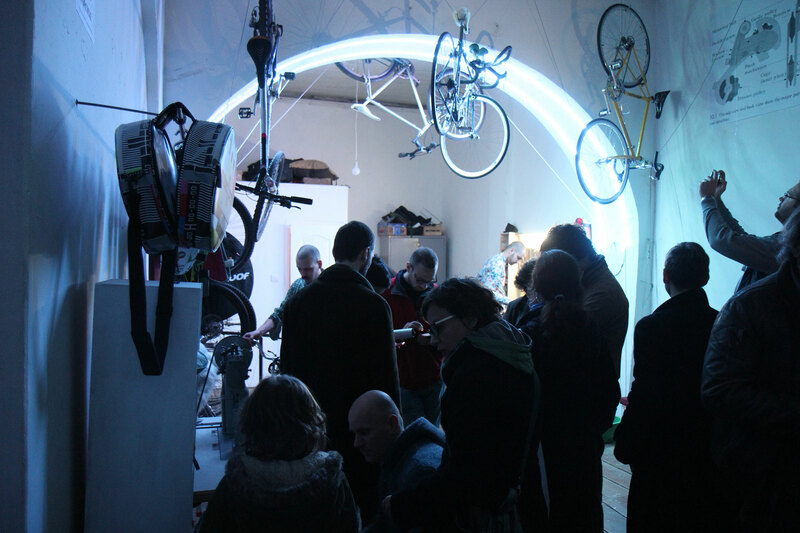 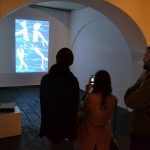 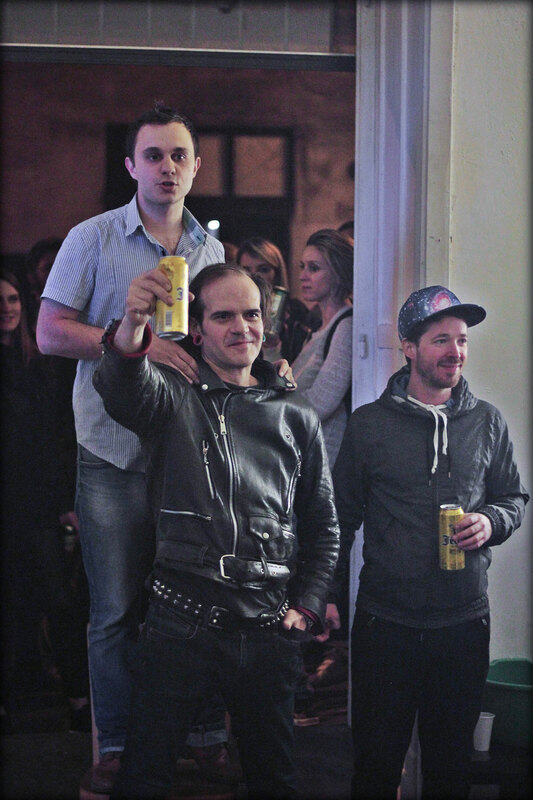 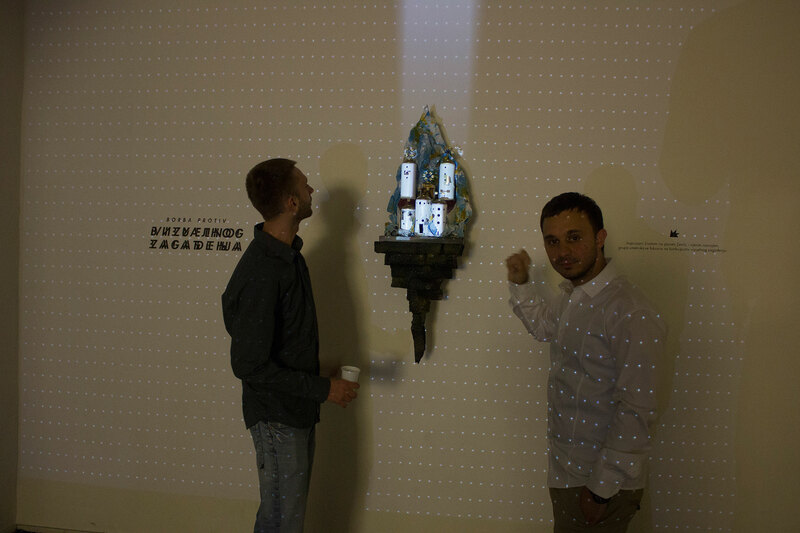 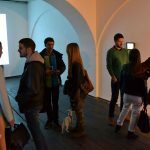 Rodrigo also created an exhibition with other artists in Budapest, the Shuffle Room, an interactive and multiscreen installation. 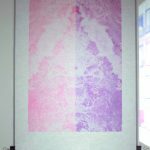 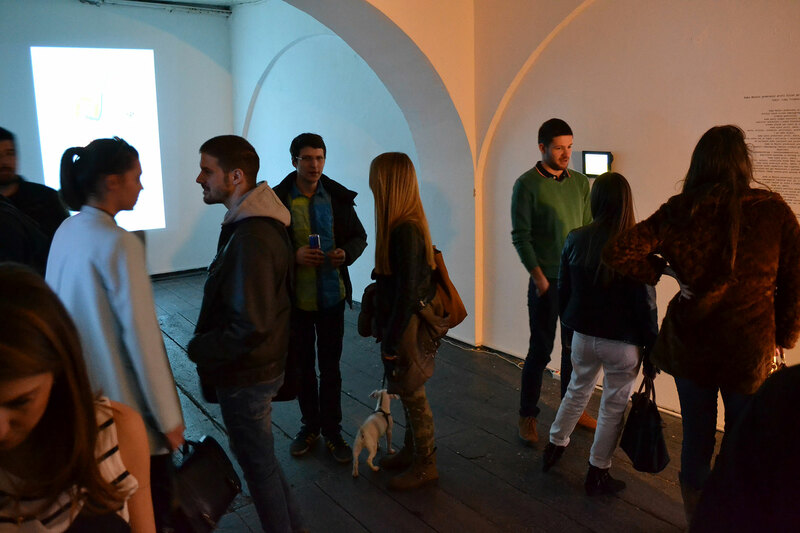 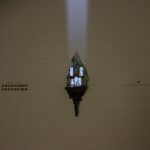 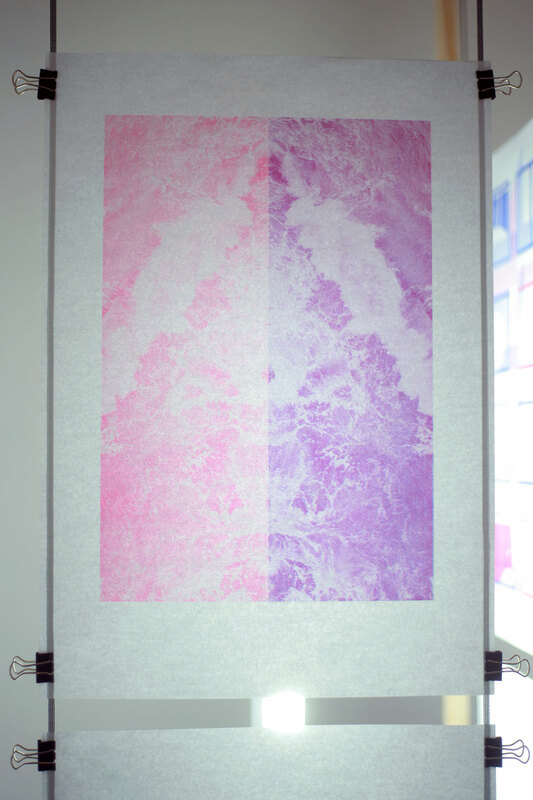 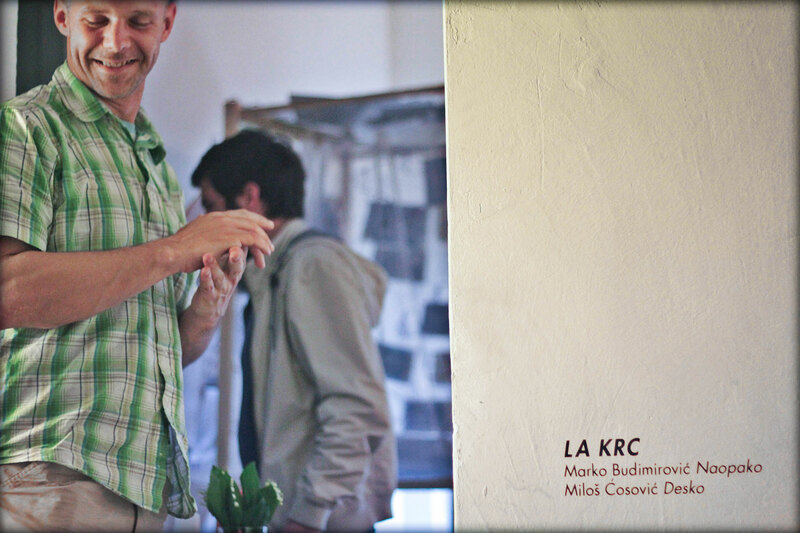 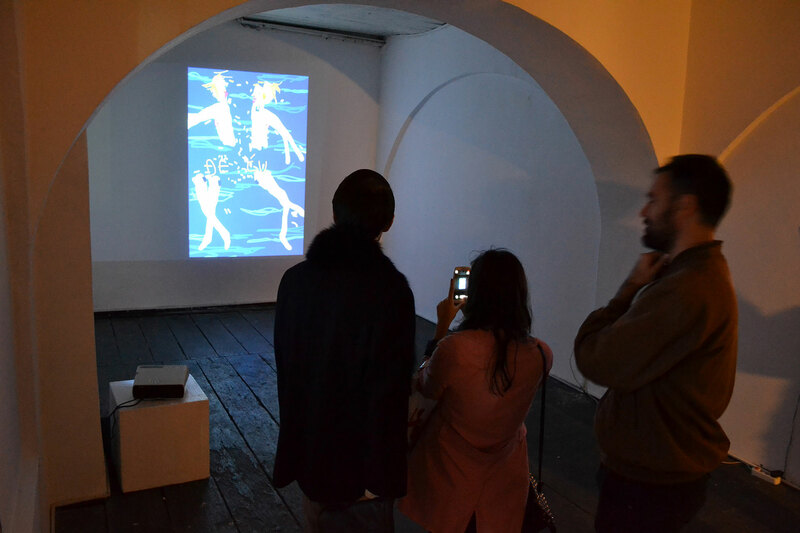 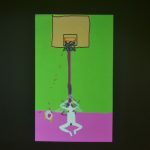 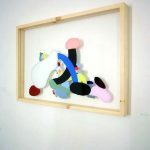 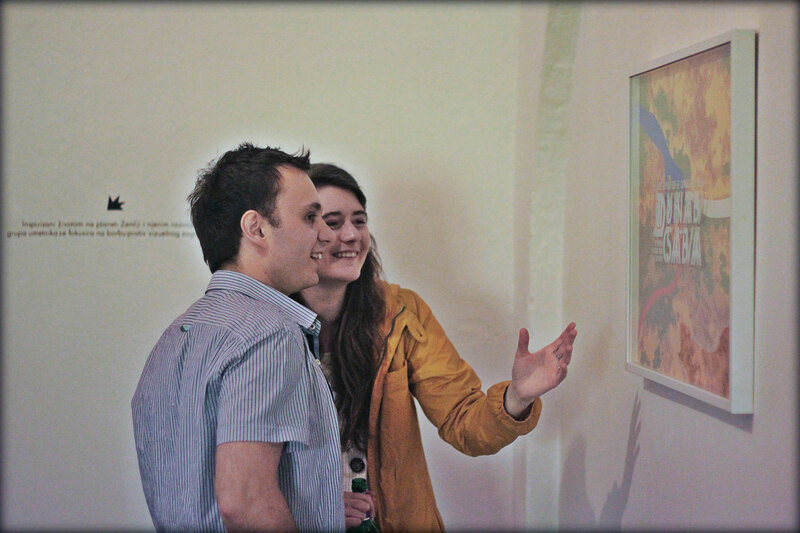 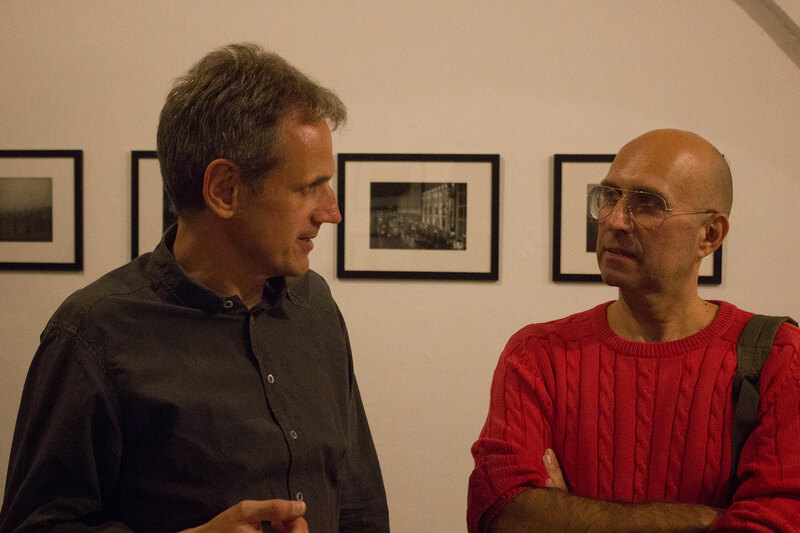 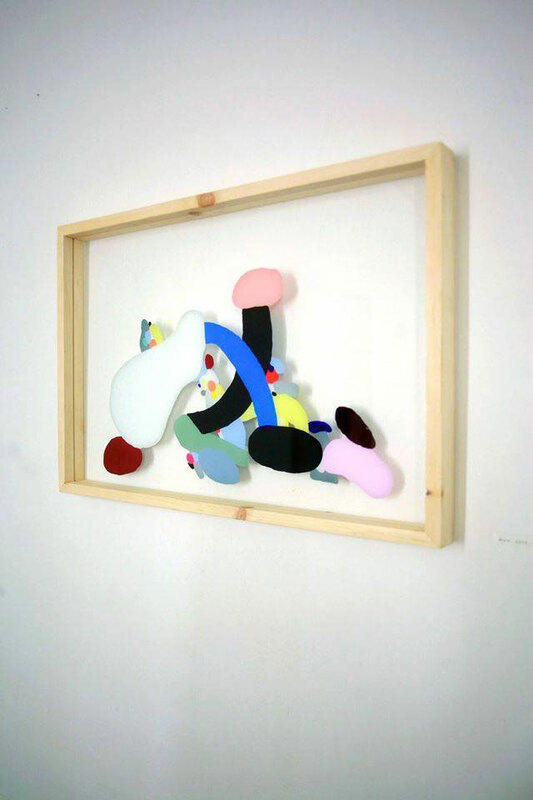 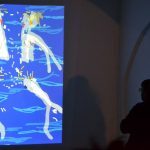 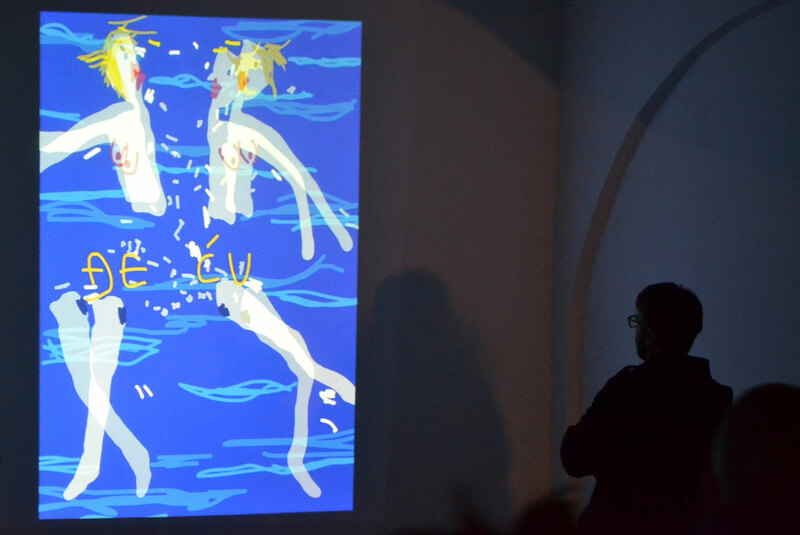 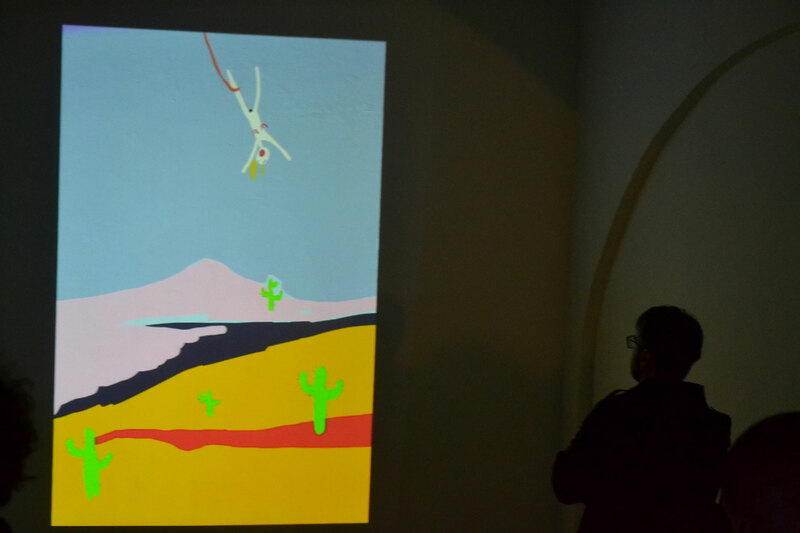 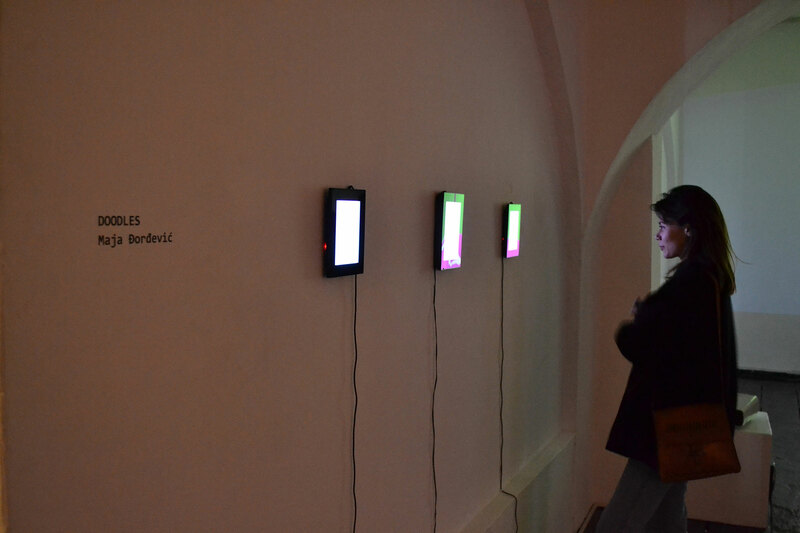 During his residence in Gallery KM8 in Belgrade he worked on new digital art pieces. 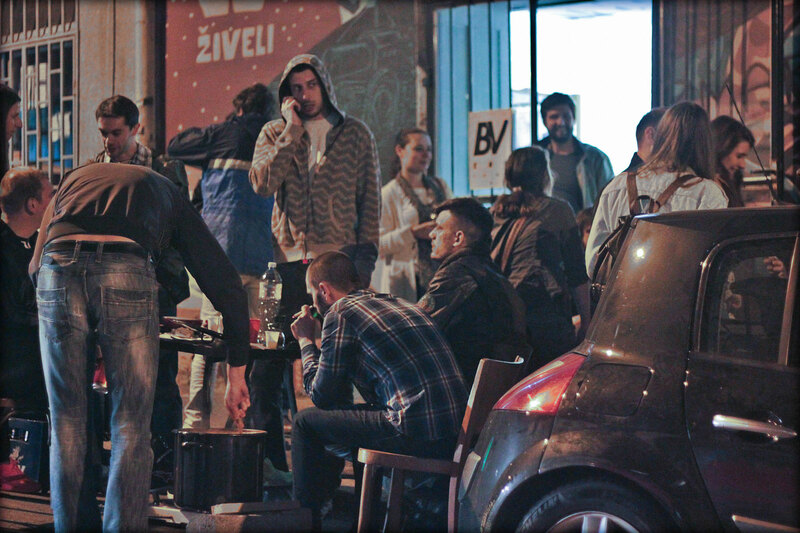 March 26th – April 14th 2015. 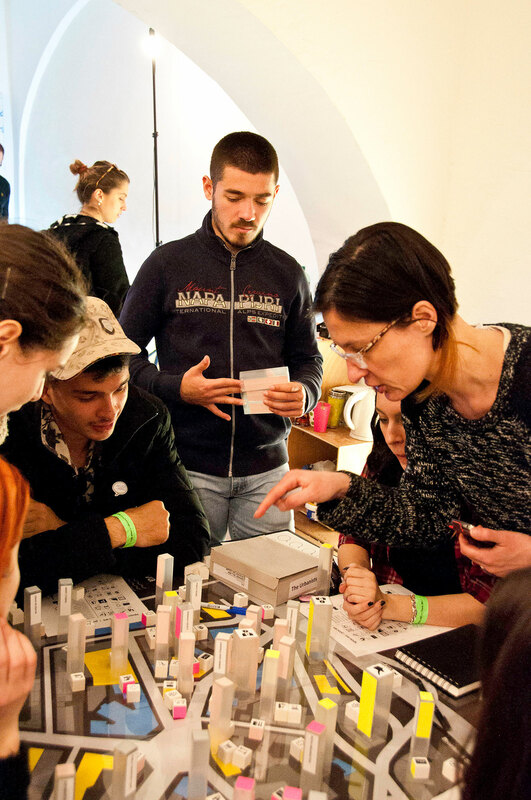 Maja Đorđević (*1990) graduated at high school for design. 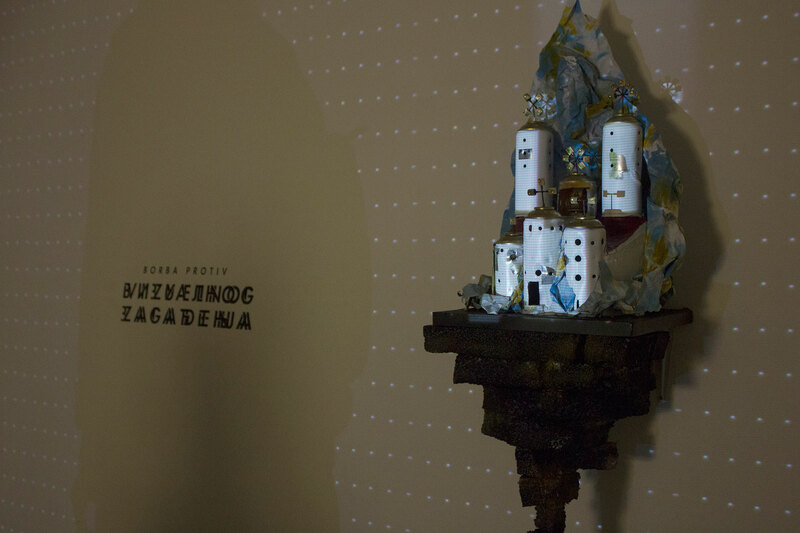 2009 enroled Academy of Fine Arts. 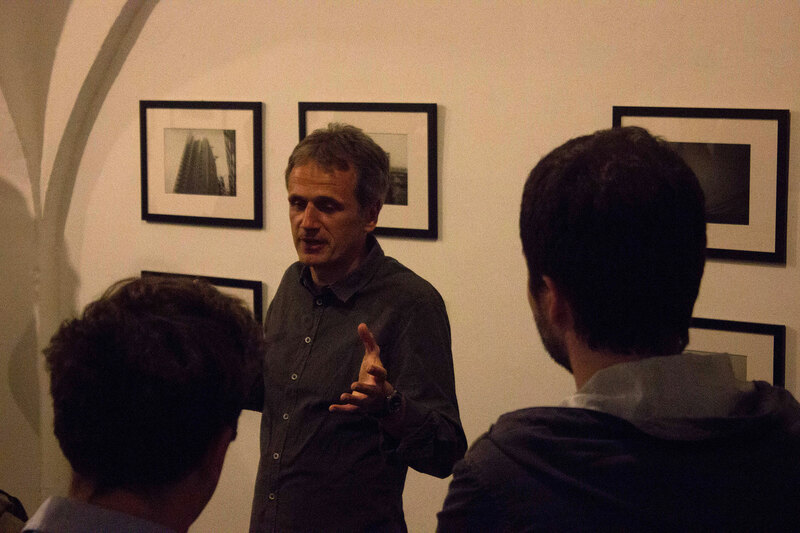 Graduated in class of Prof. Cedomir Vaic and master studies in class of prof. Mileta Prodanovic. 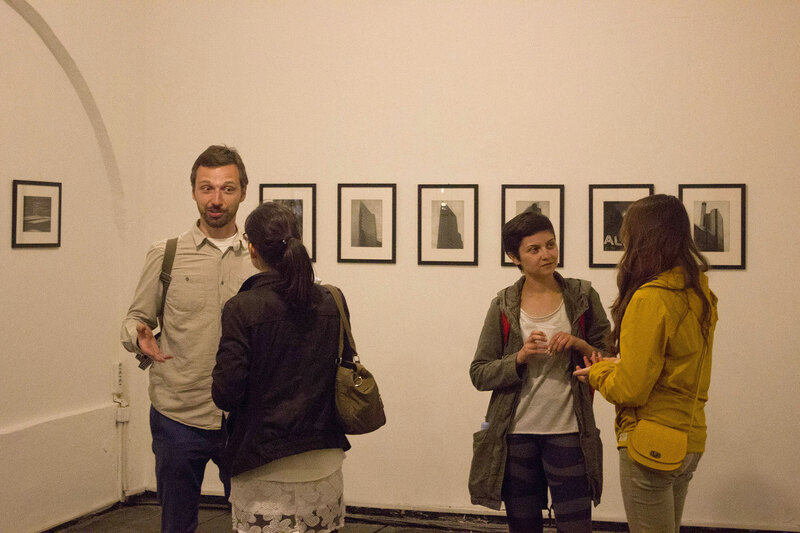 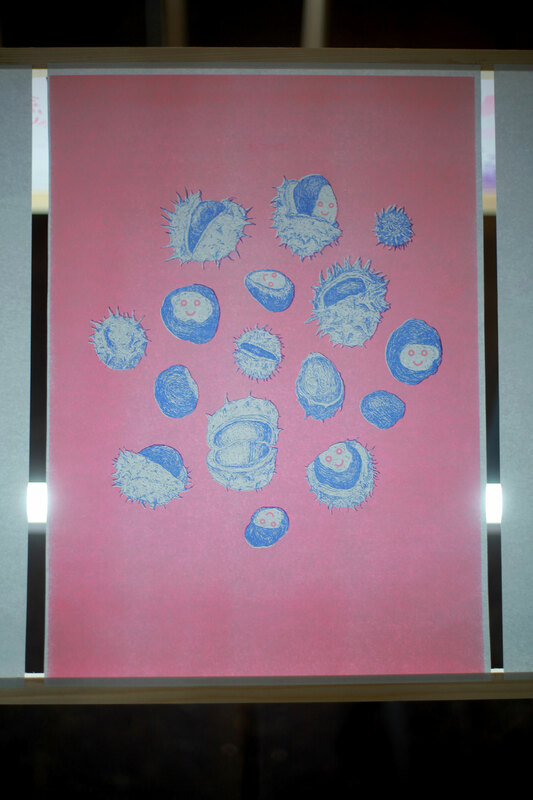 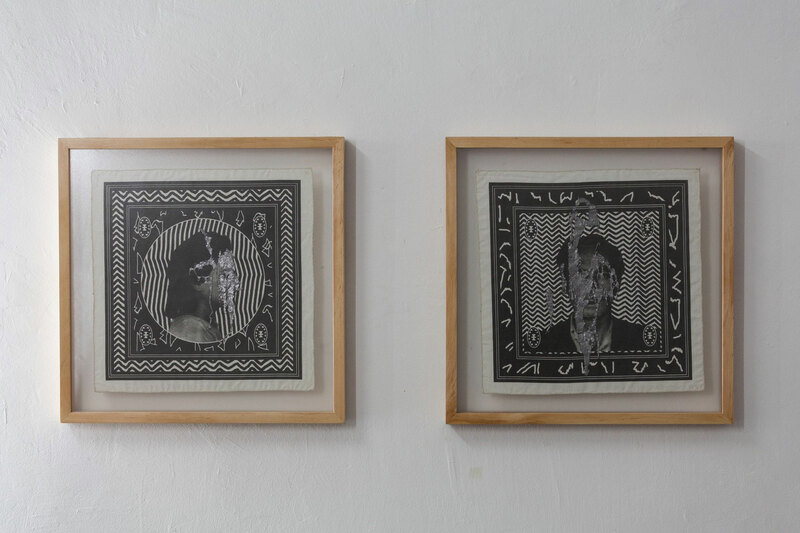 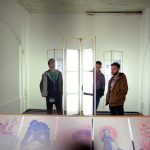 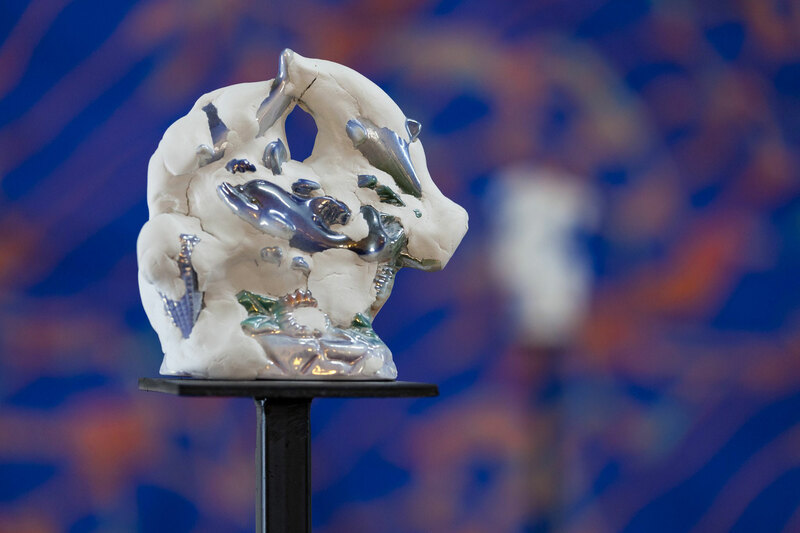 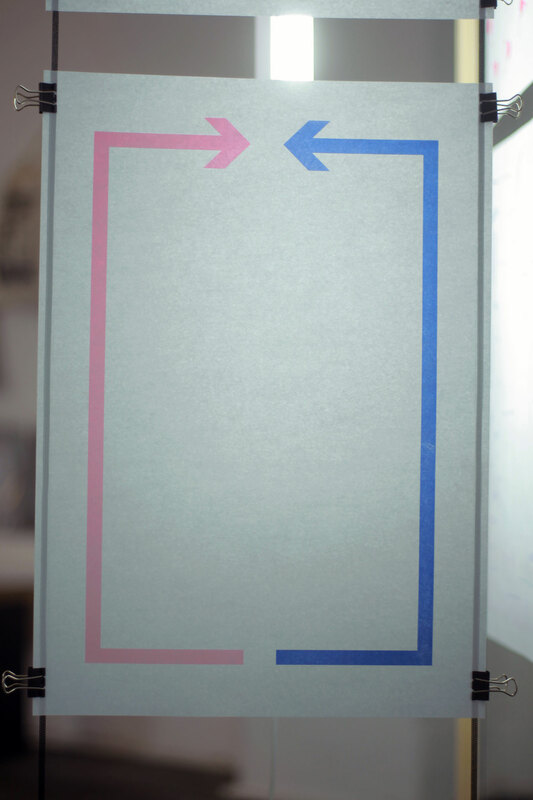 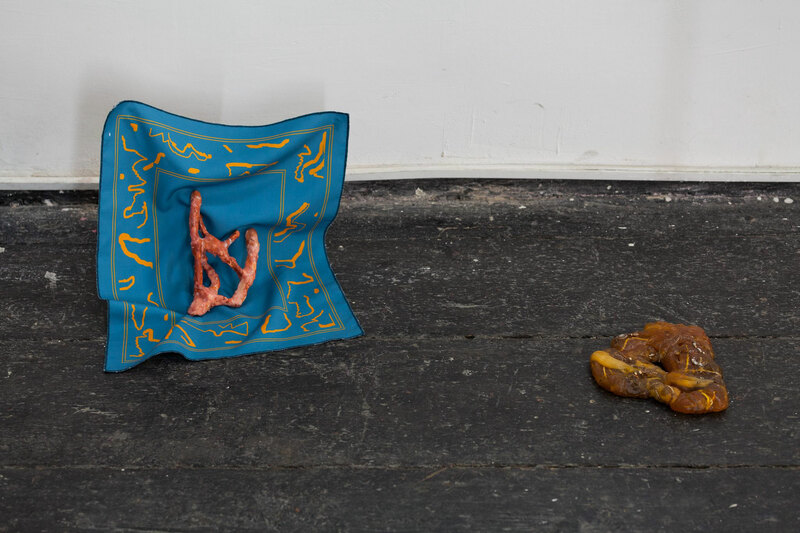 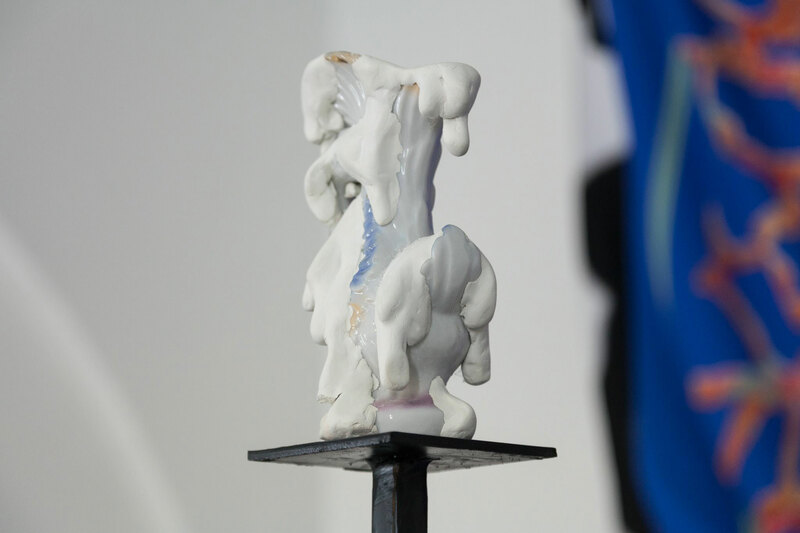 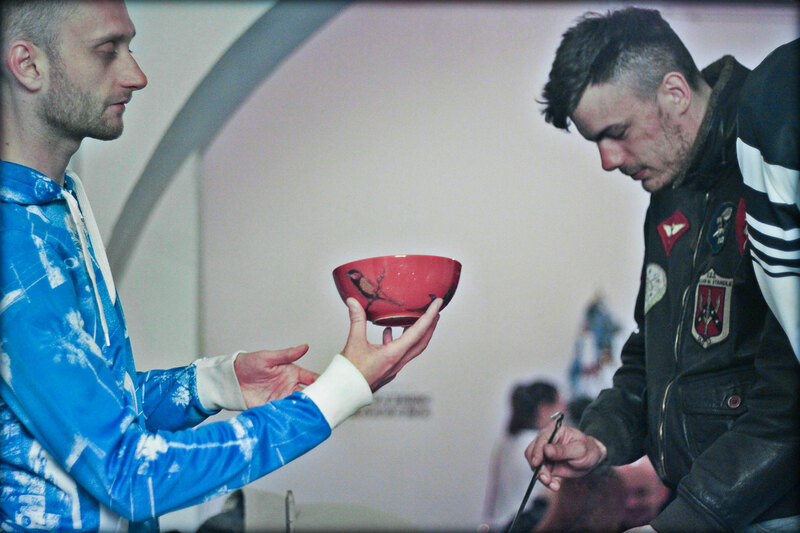 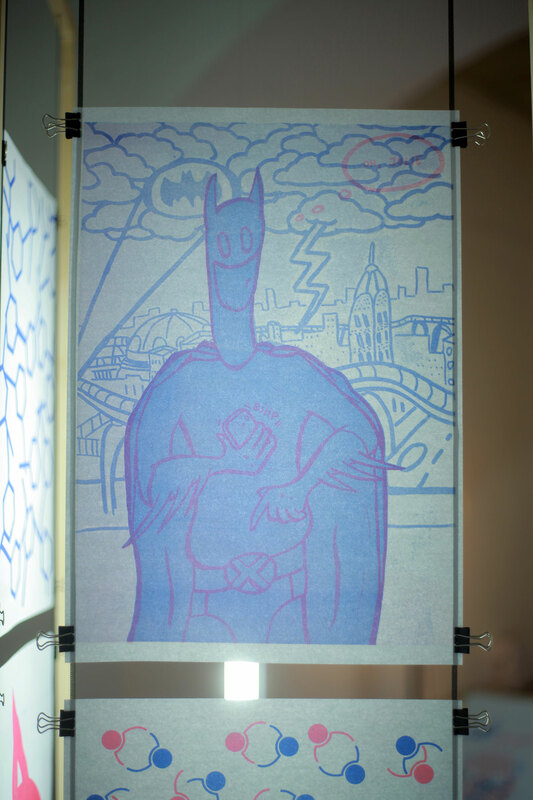 2014 She wan several rewards as Šok zadruga’s “Perspective 13” and reward for drawing and “Risto and Beta Vukanovic” at Academy of fine arts in Belgrade. 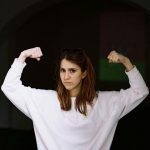 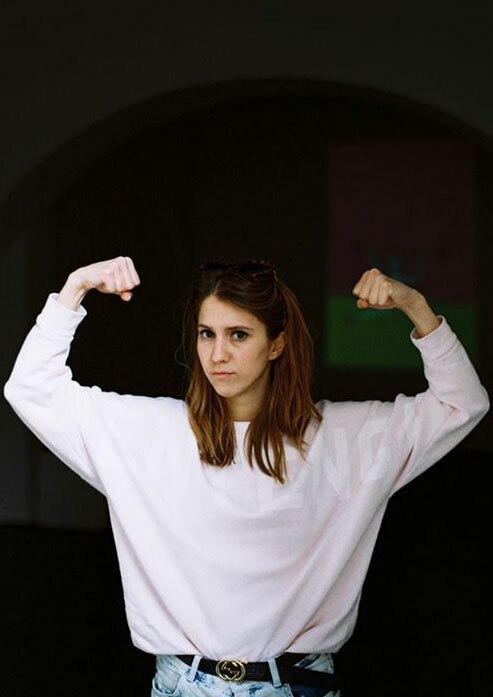 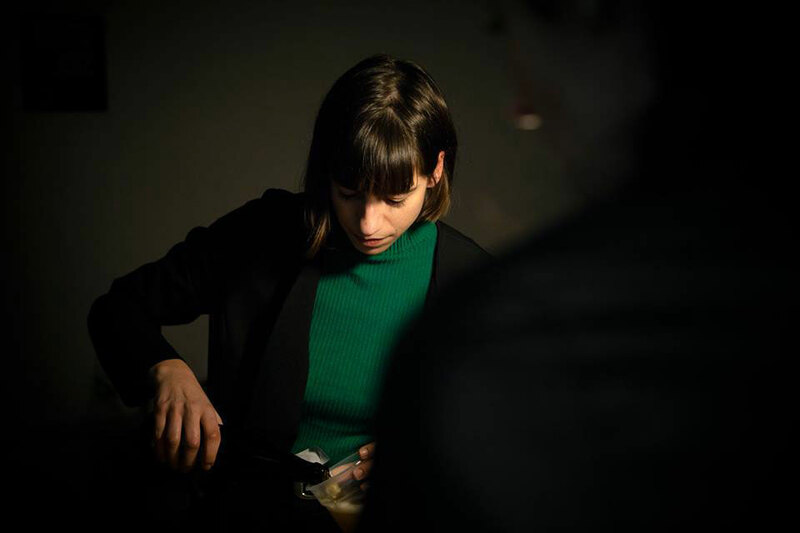 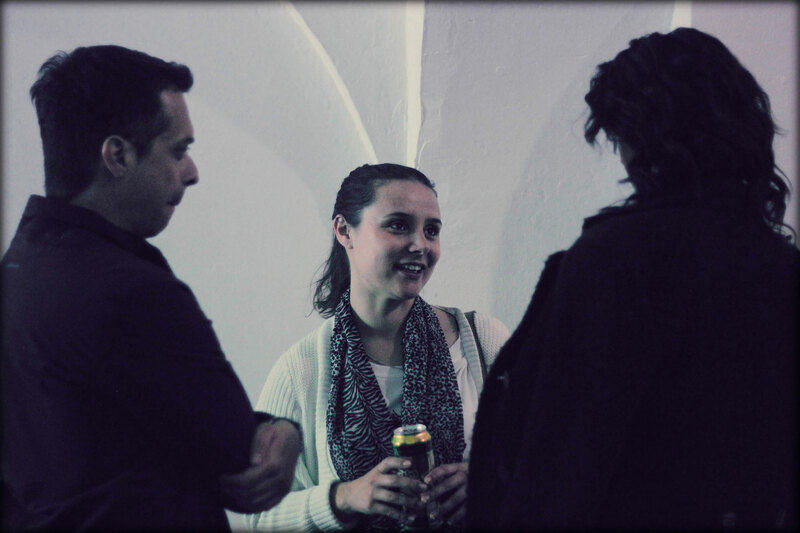 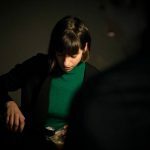 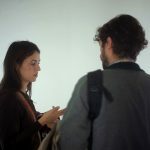 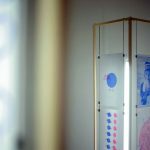 At the opening she was introduced to Deste foundation curator and as the result she has been invited to Dio Horia – Contemporary Art Platform at Mykonos Island. 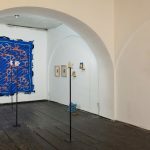 We are very proud that just few months after the Vernissage in Savamala, Maja Đorđević works have been shown in a solo exhibition at Mykonos top contemporary art gallery. 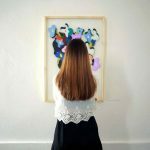 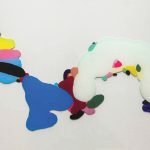 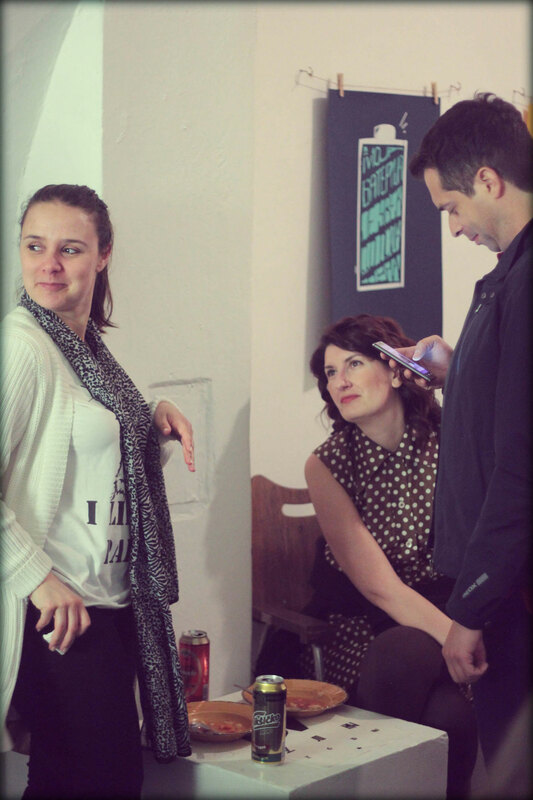 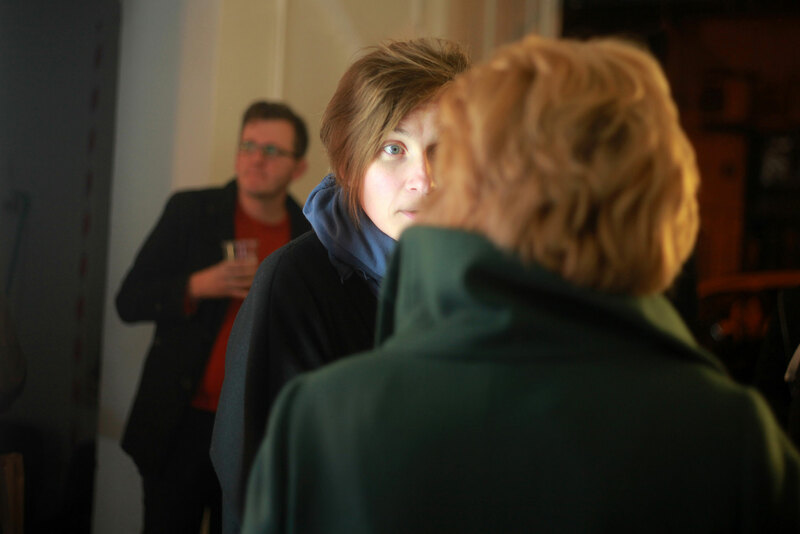 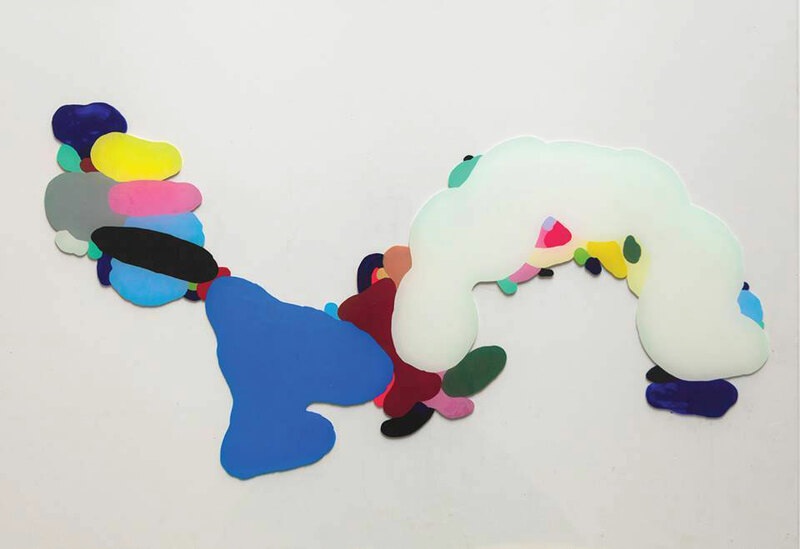 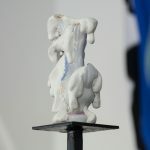 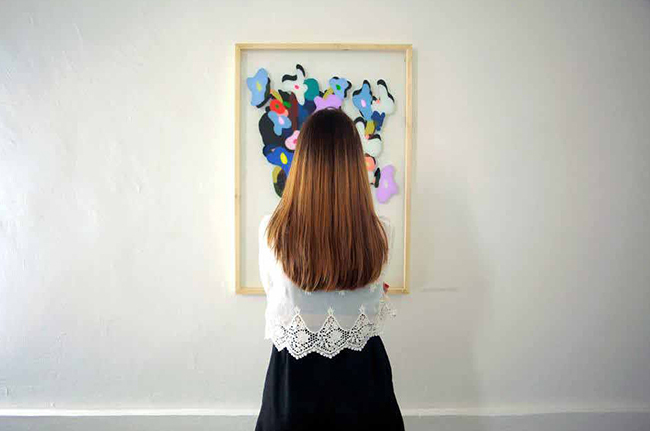 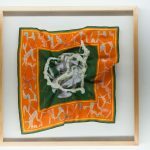 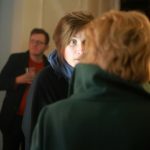 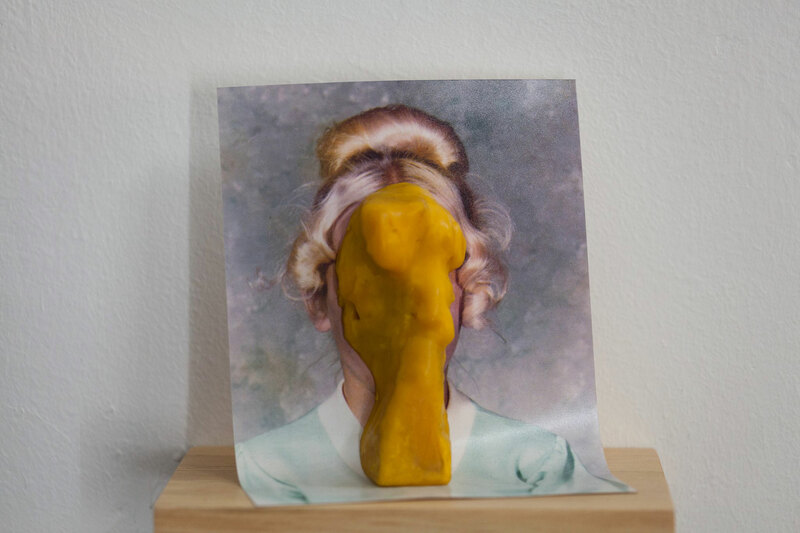 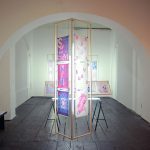 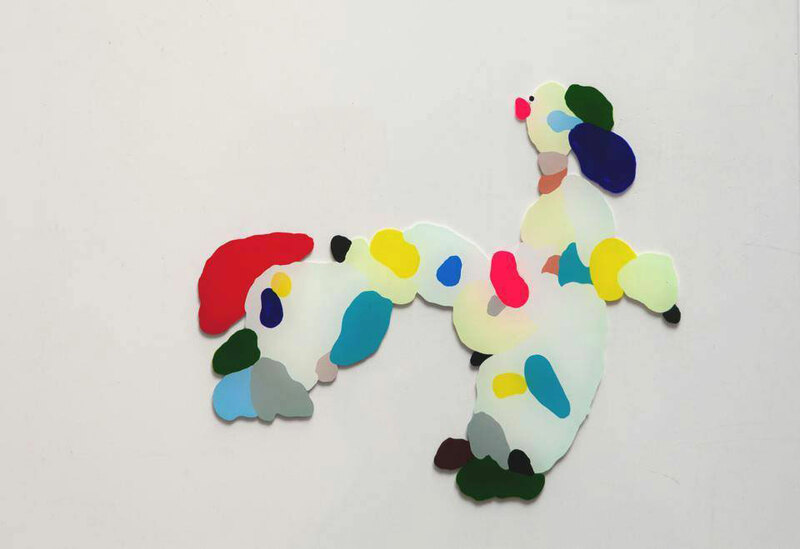 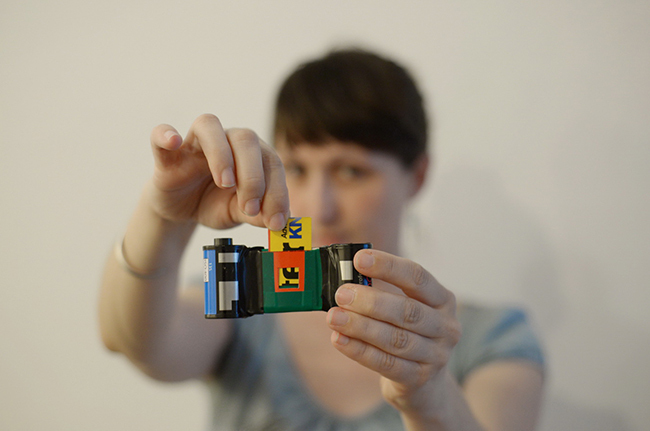 In, 2017 Maja Đorđević is showing her art in the Hall Gallery in New York. 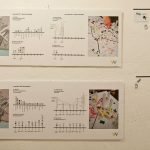 According to the recent presentation material of the “Belgrade Waterfront” project, the future of Savamala seems somehow beyond comprehension. 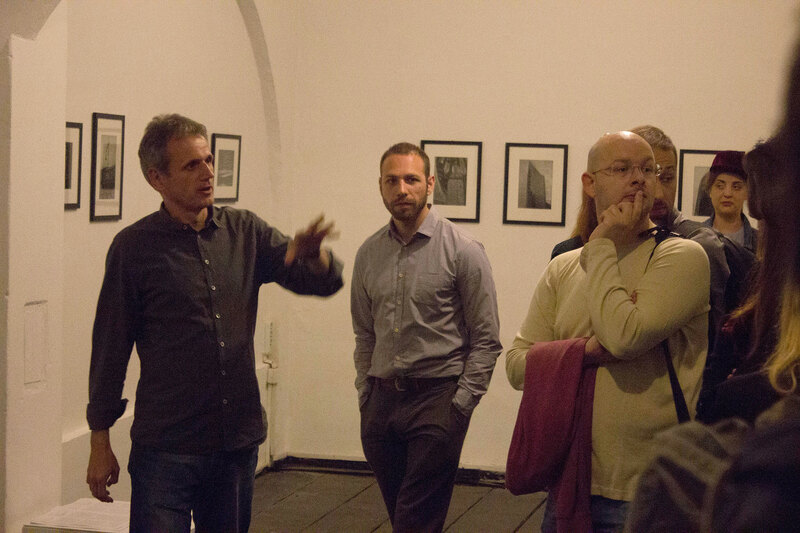 The physical structure of this old neighbourhood is made unrecognizable in almost every presentation drawing, raising concerns about what will happen to the built heritage, the on-going cultural initiatives and already established civic network in this particular part of Belgrade. 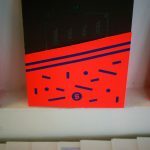 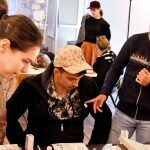 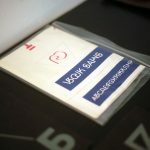 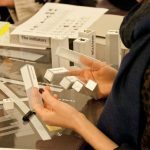 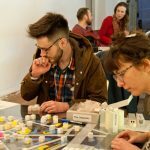 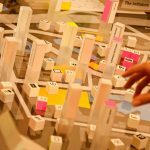 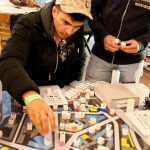 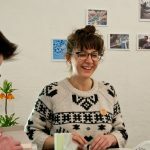 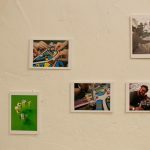 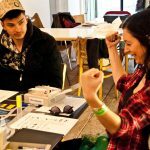 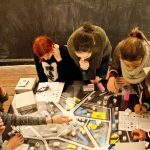 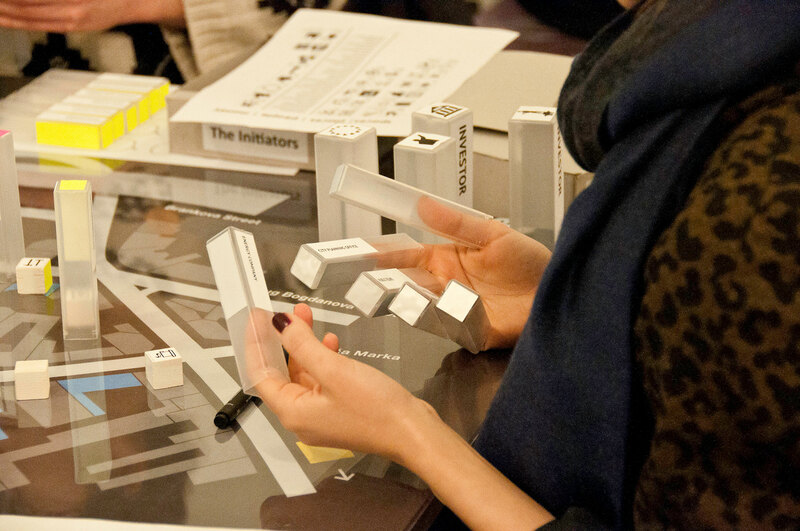 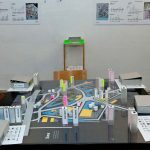 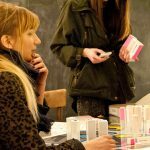 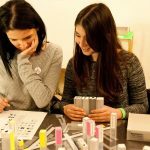 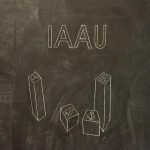 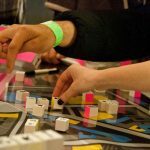 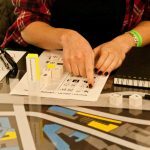 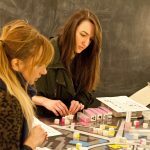 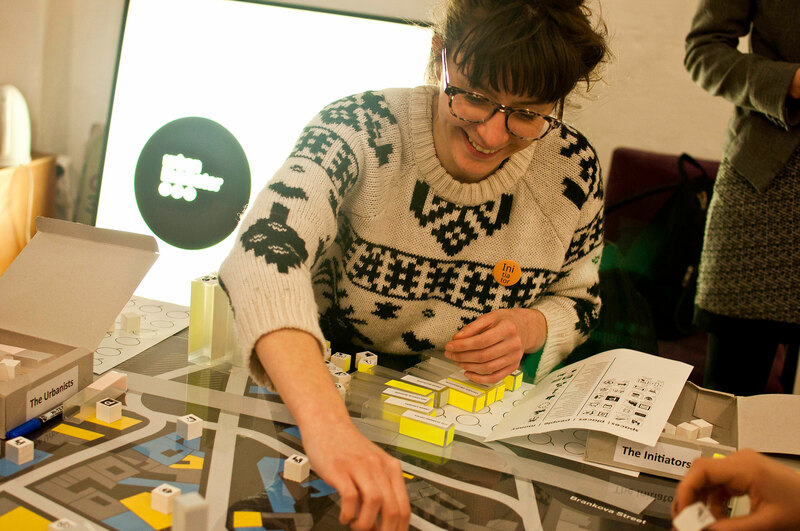 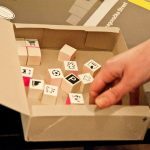 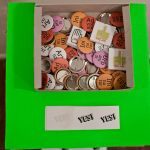 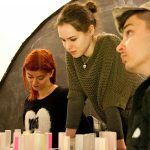 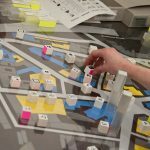 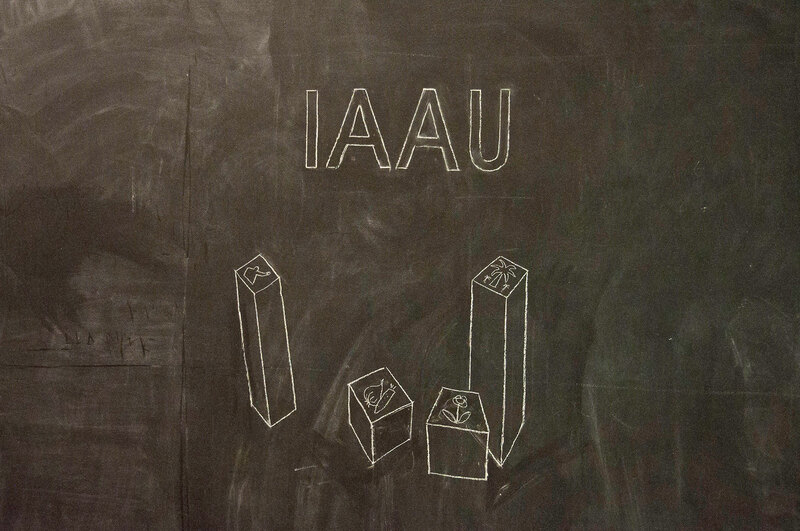 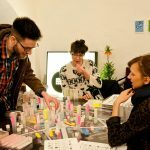 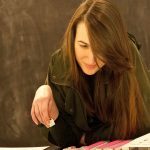 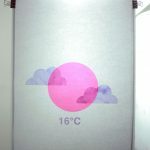 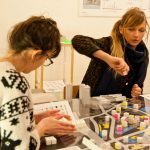 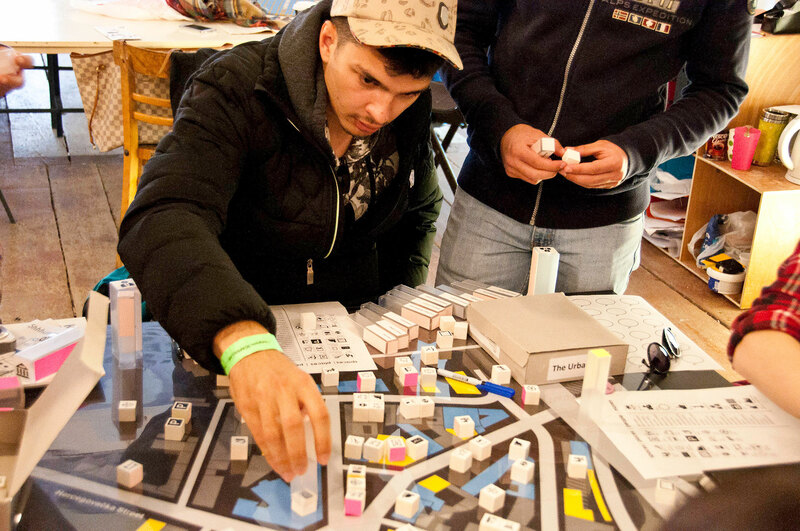 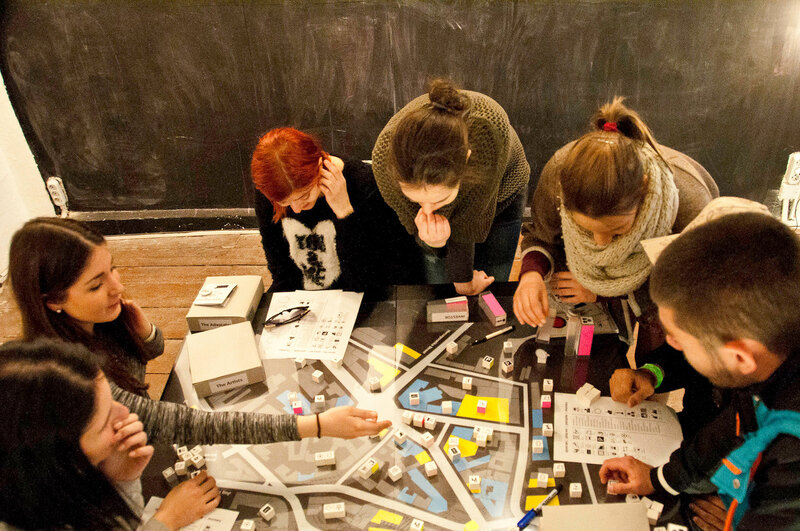 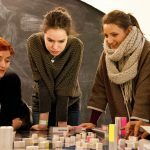 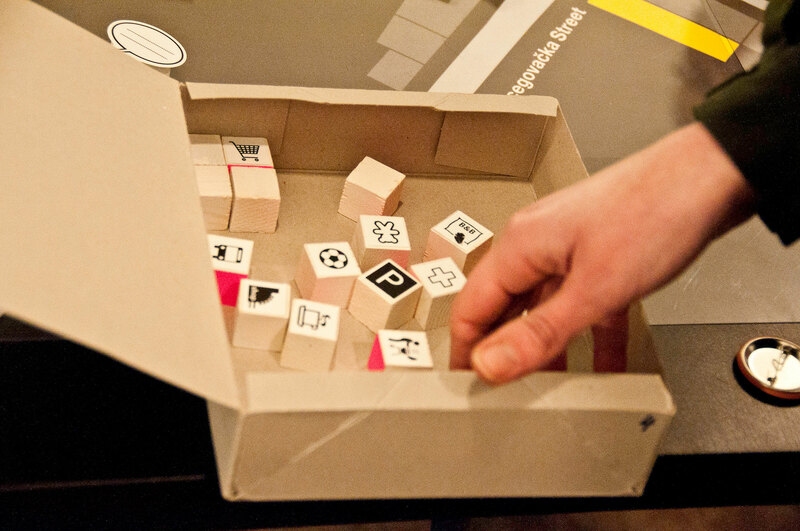 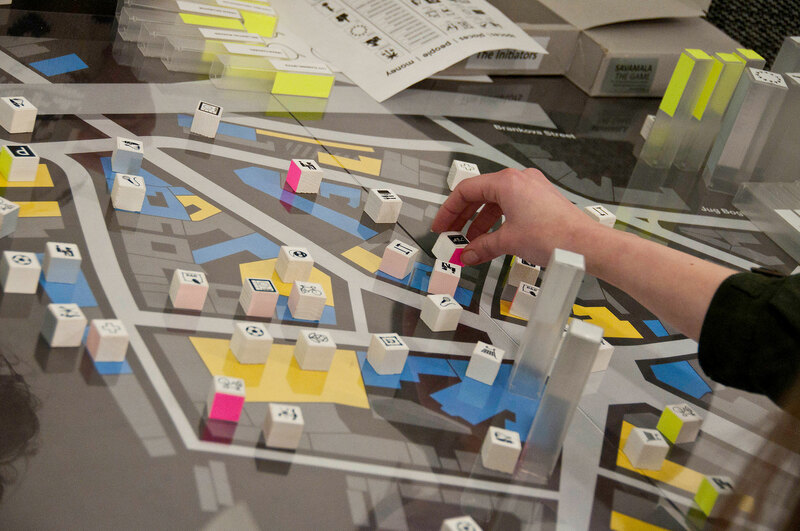 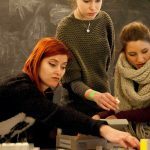 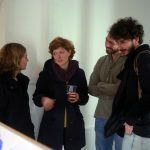 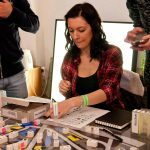 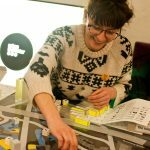 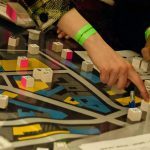 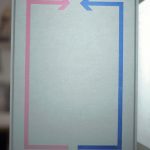 In order to tackle this issue in a new and open way, architect Milena Ivkovic (Blok74, Rotterdam, NL) designed a board game format, aiming to formulate more suitable future scenario’s for Savamala, using negotiation, strategizing and role-play as a way to bring different voices in the discussion. 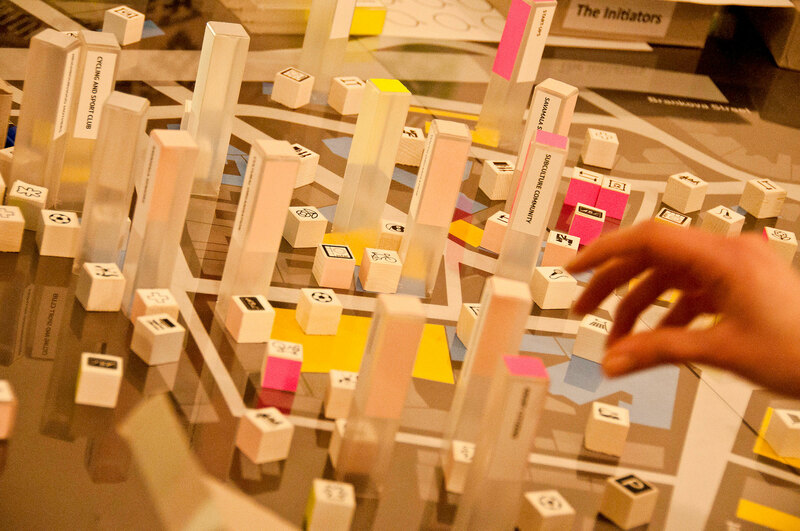 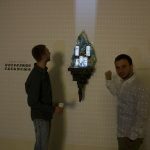 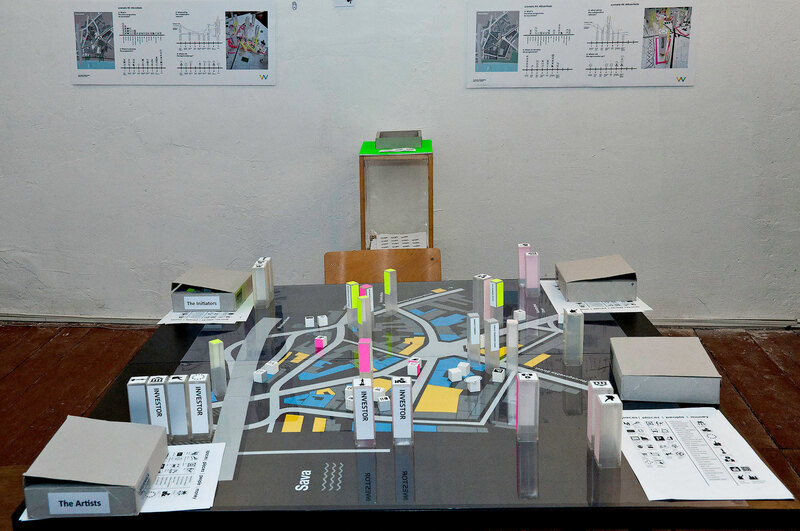 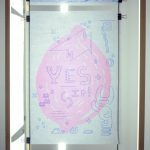 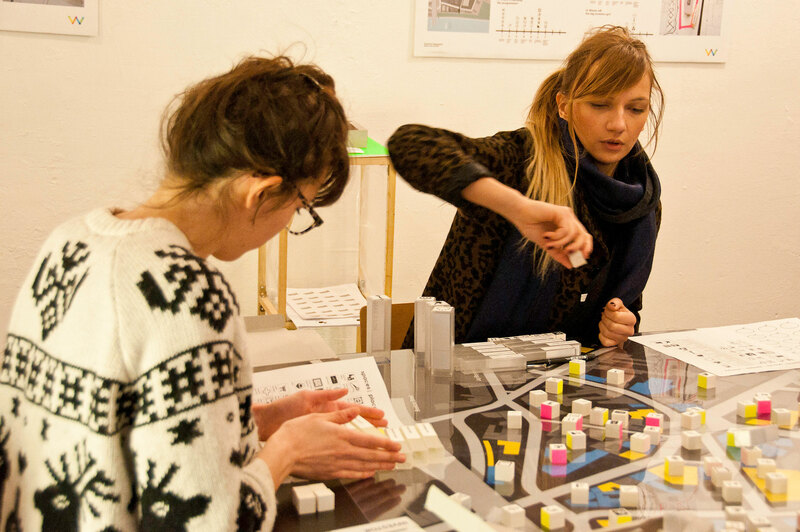 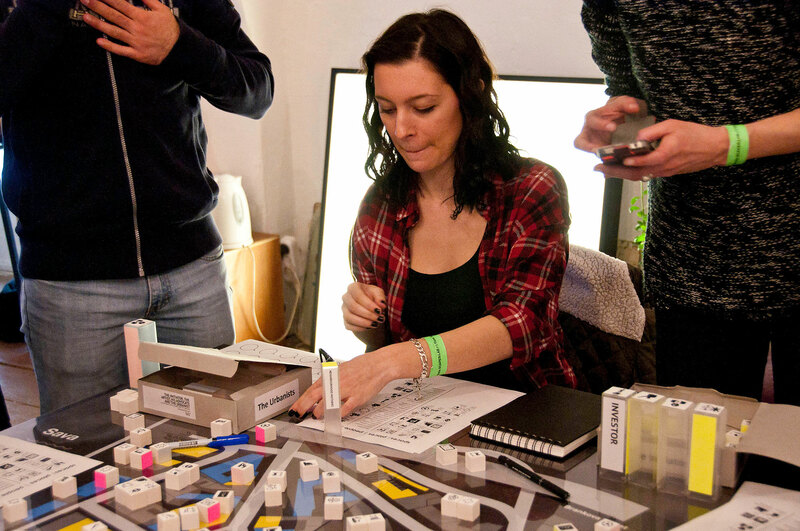 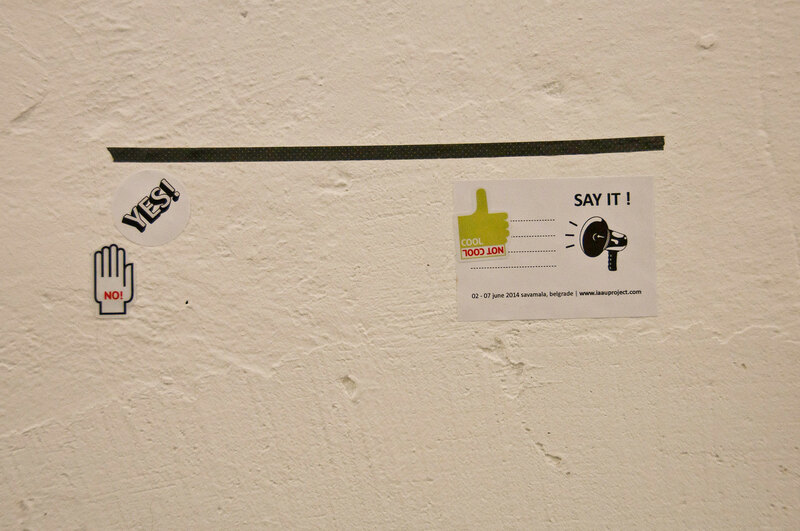 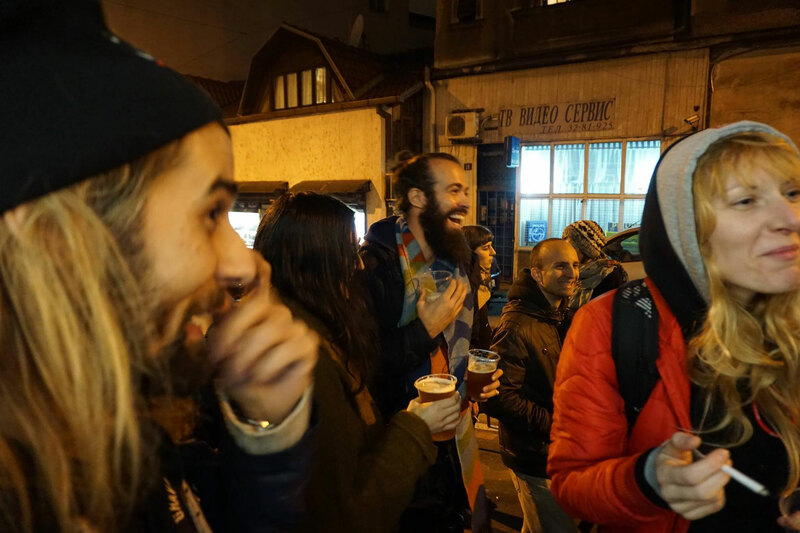 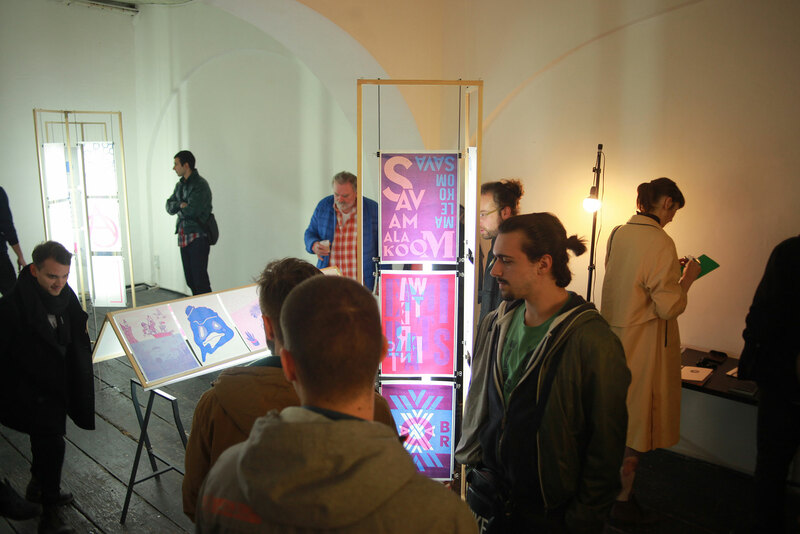 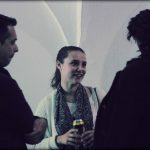 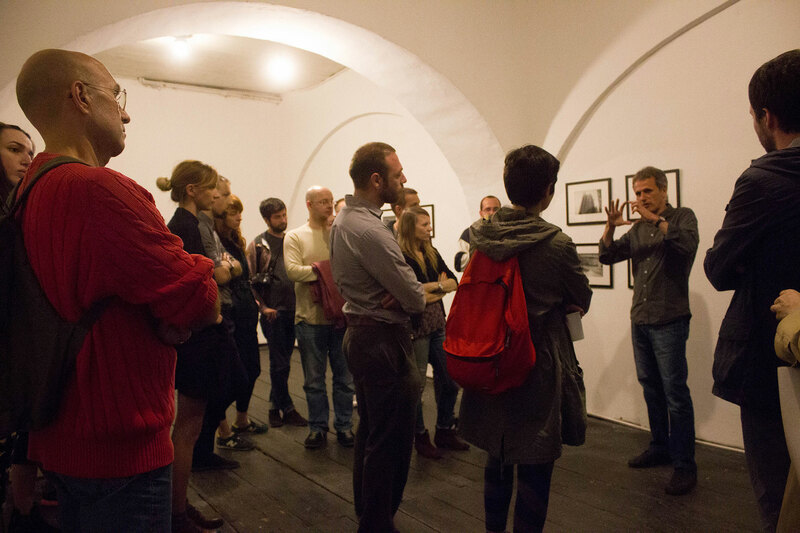 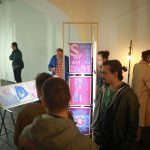 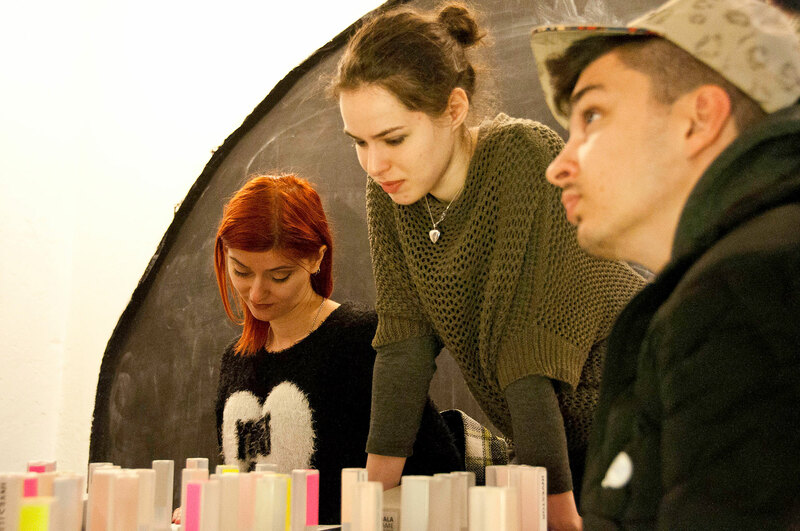 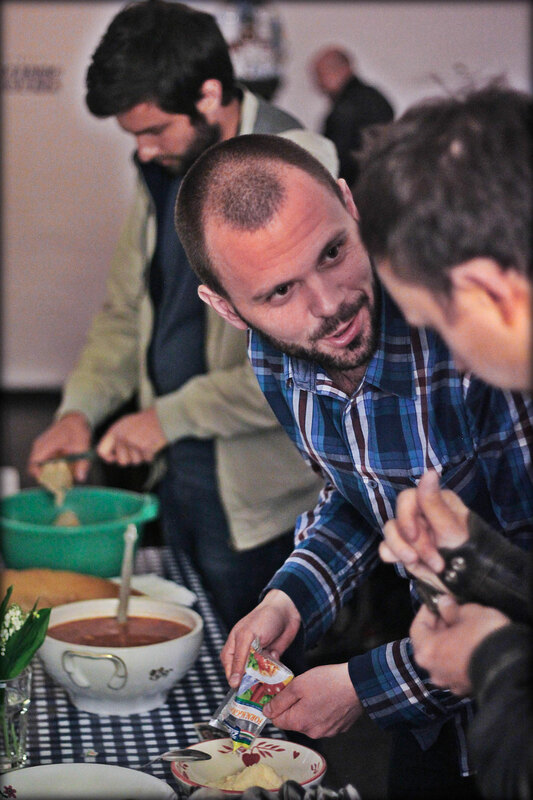 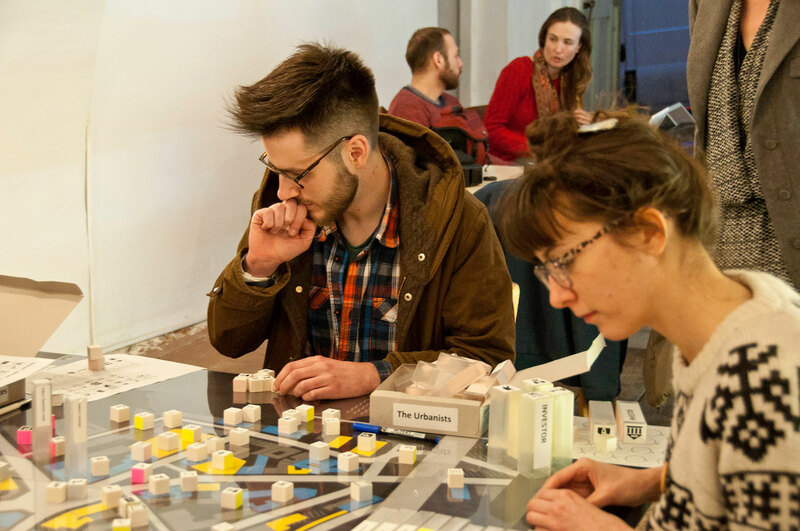 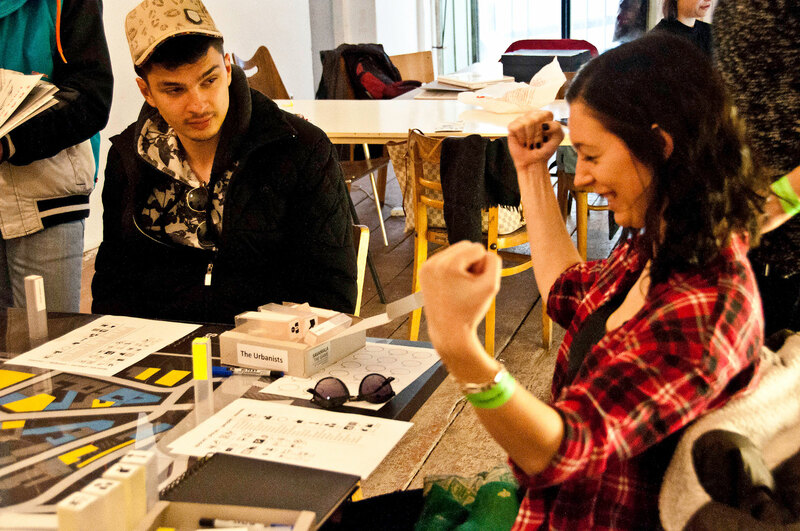 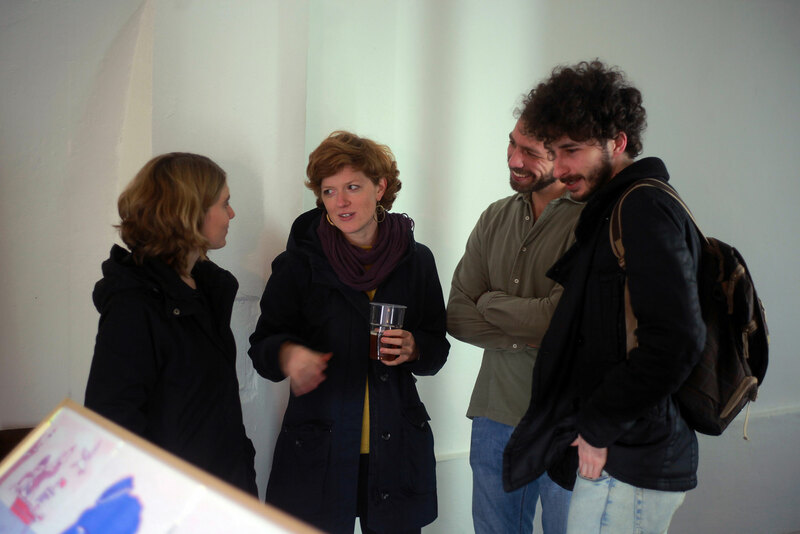 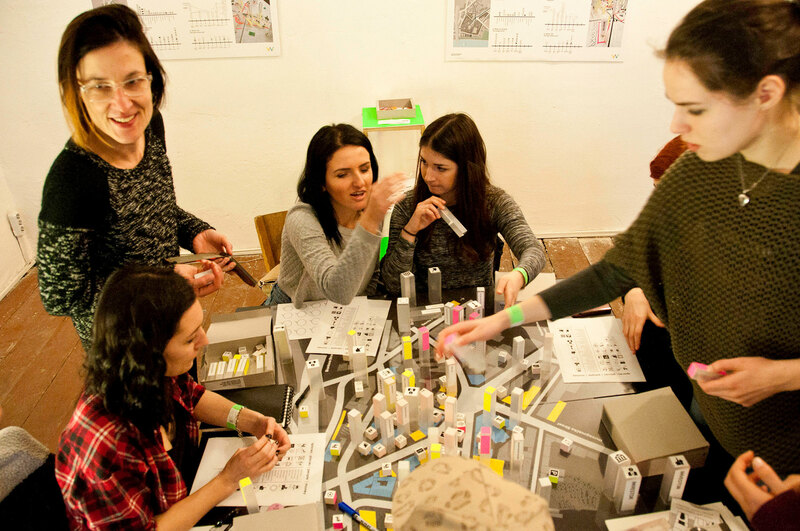 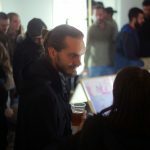 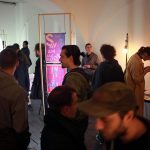 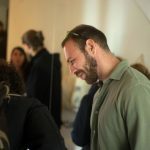 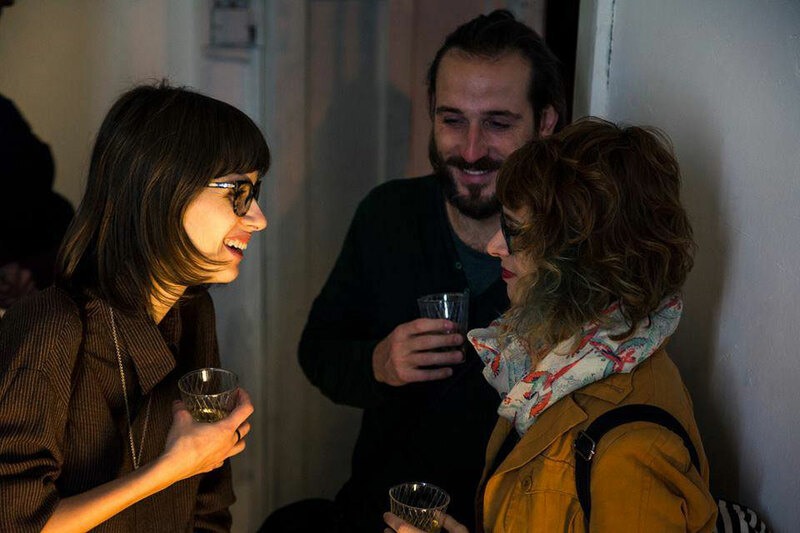 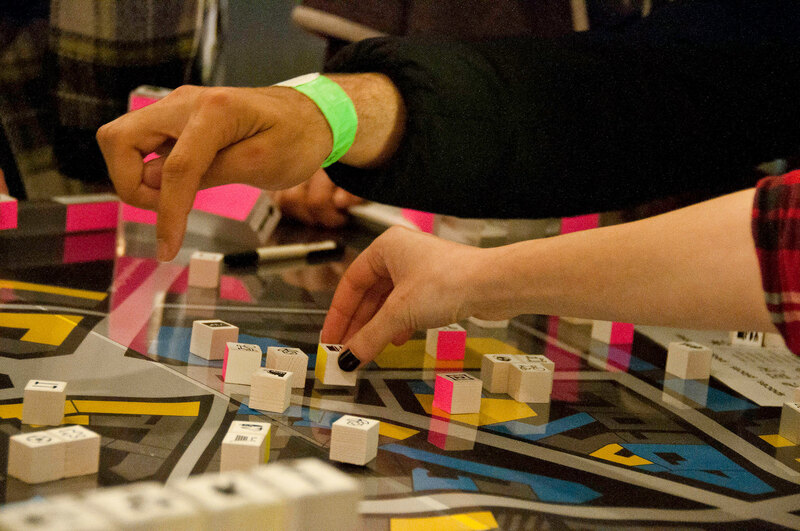 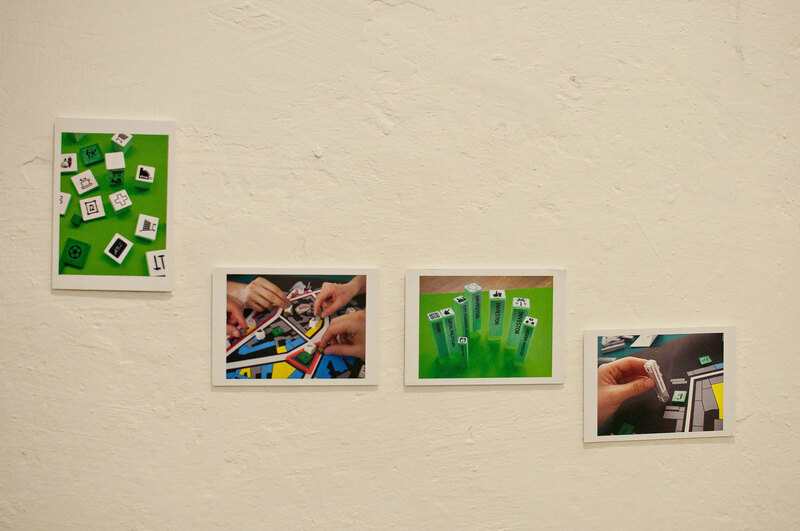 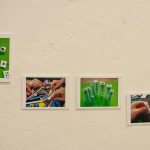 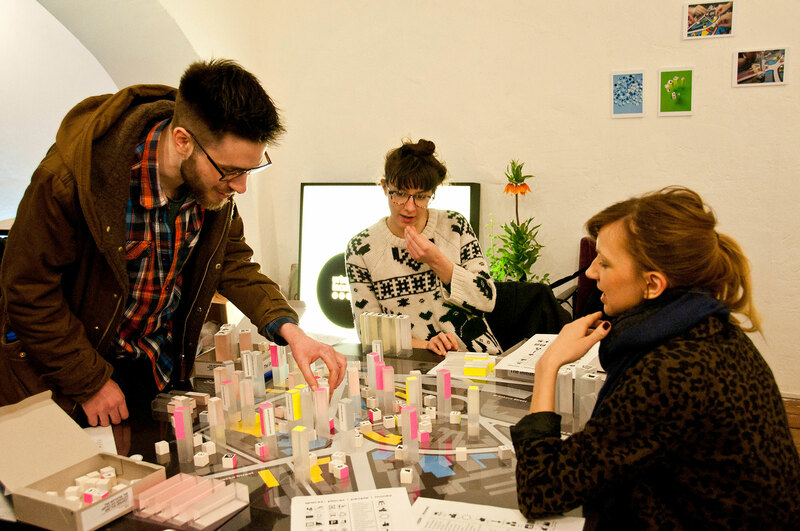 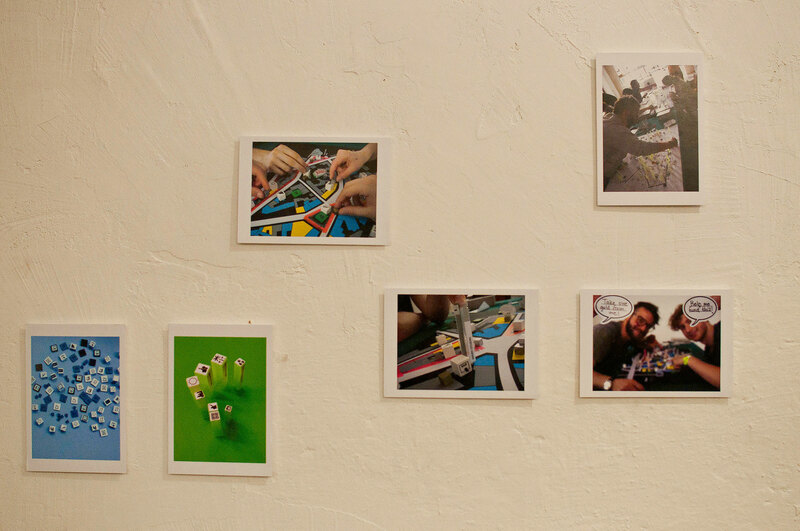 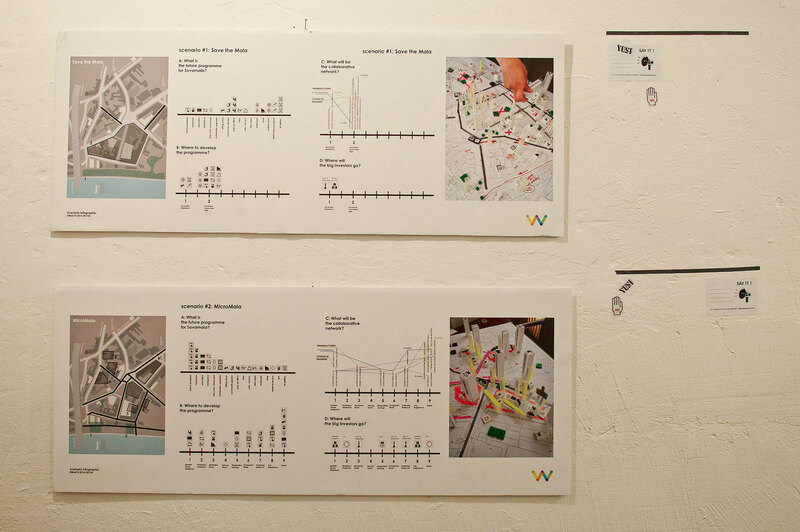 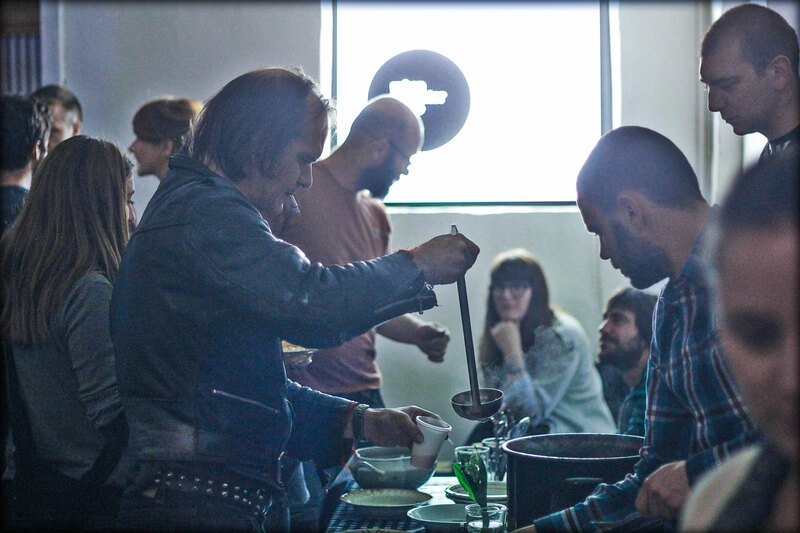 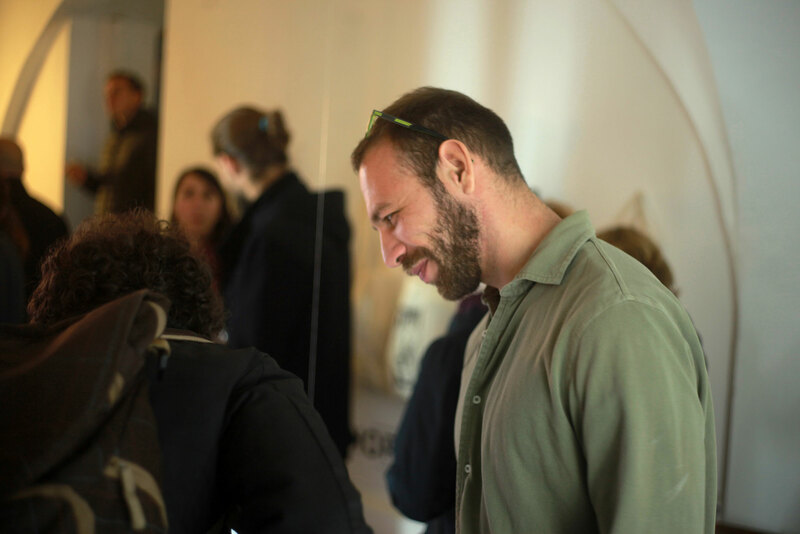 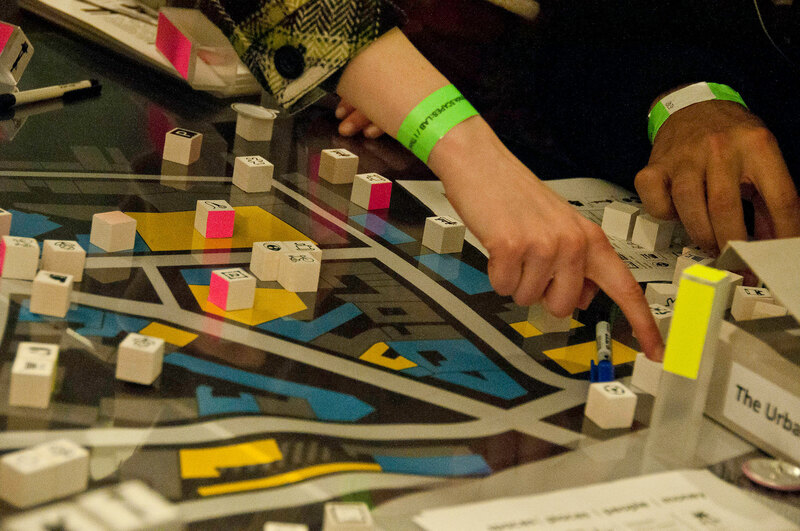 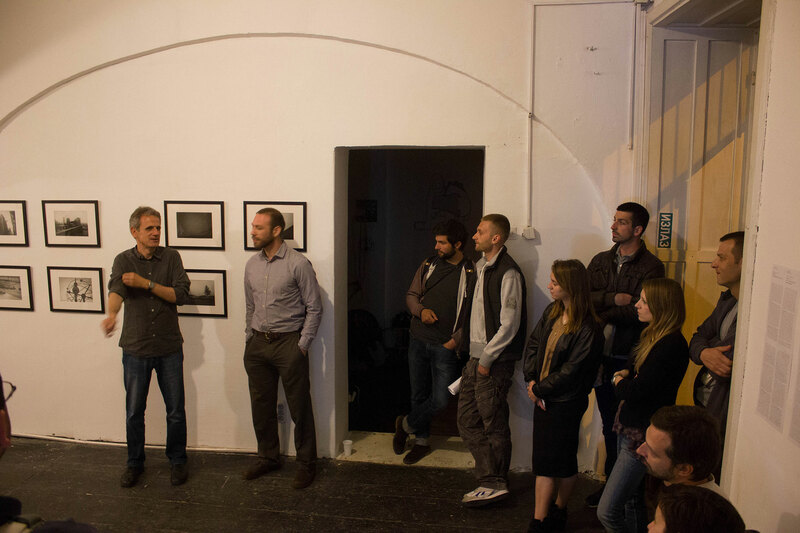 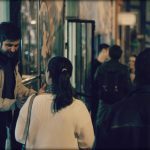 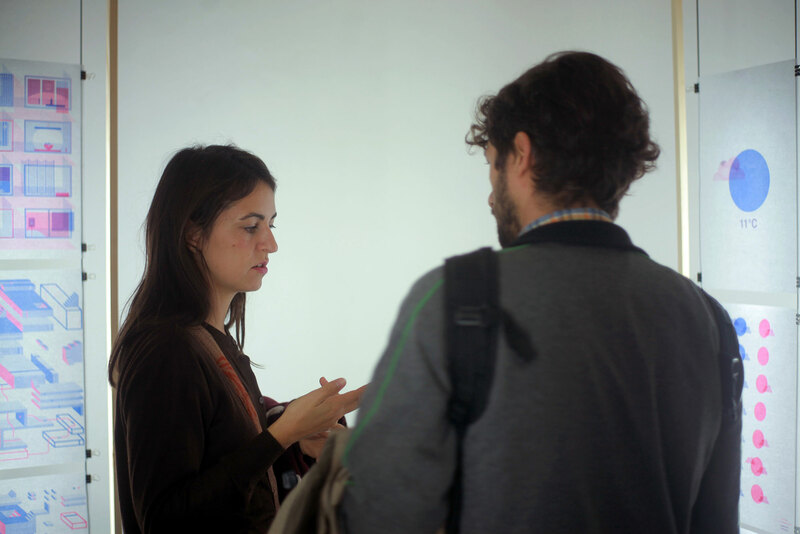 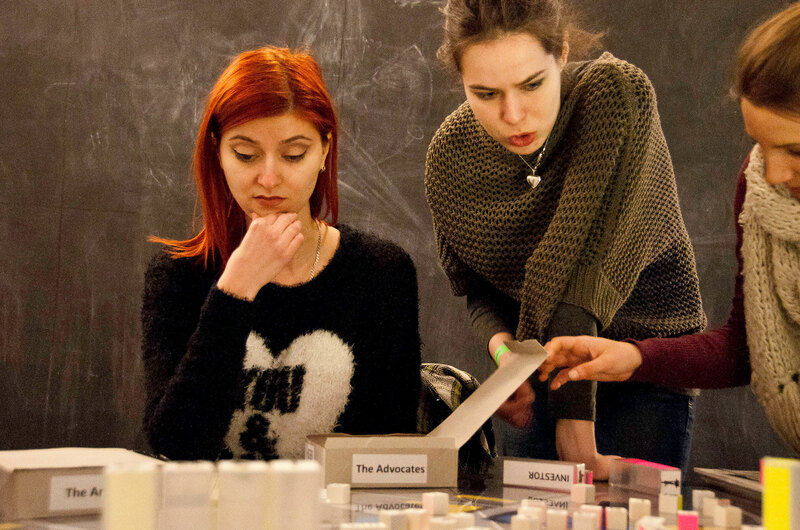 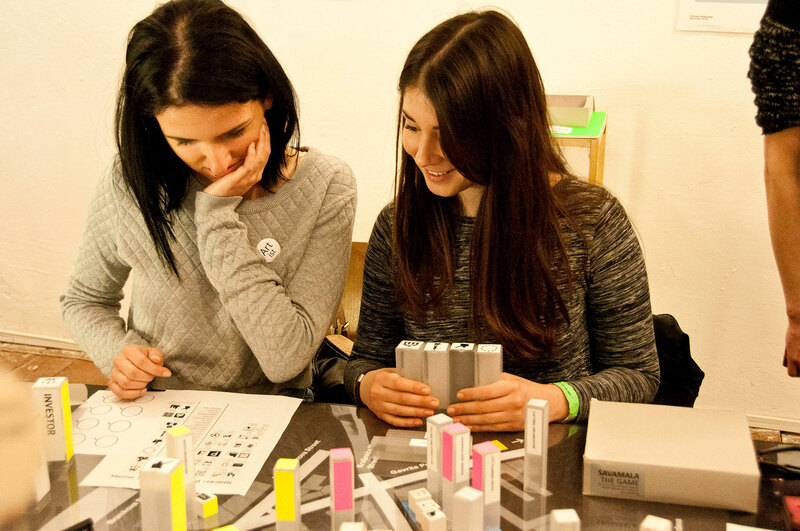 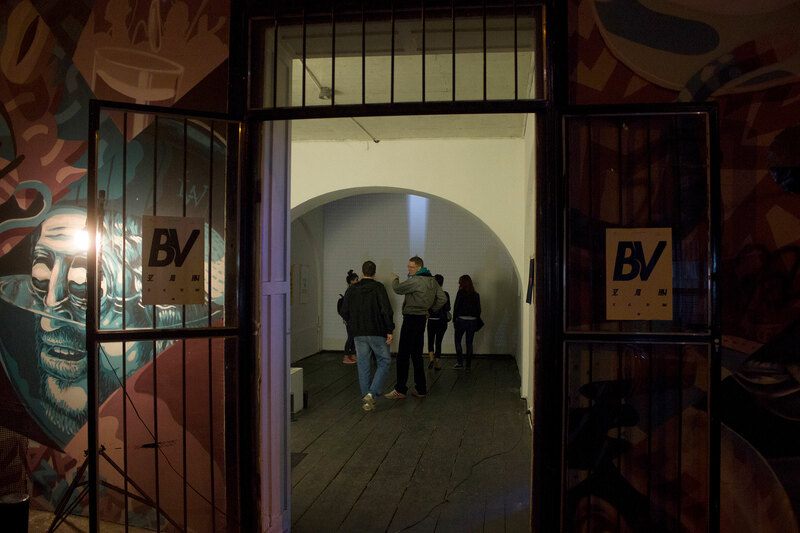 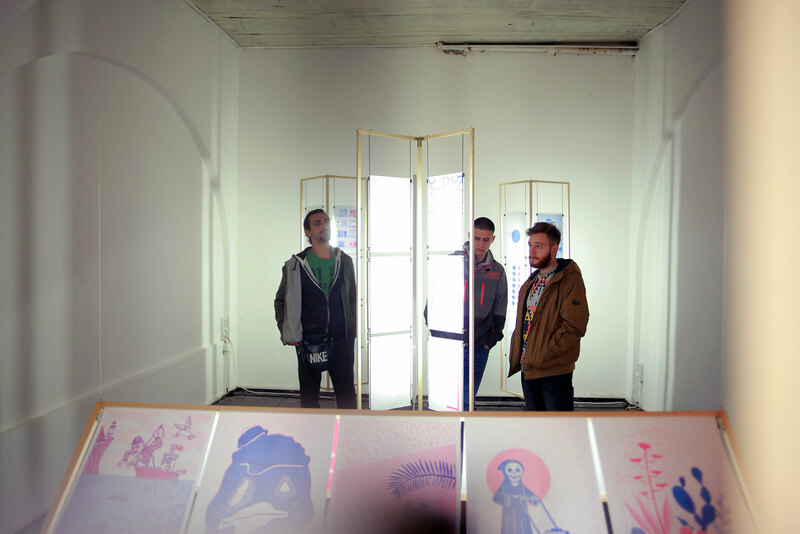 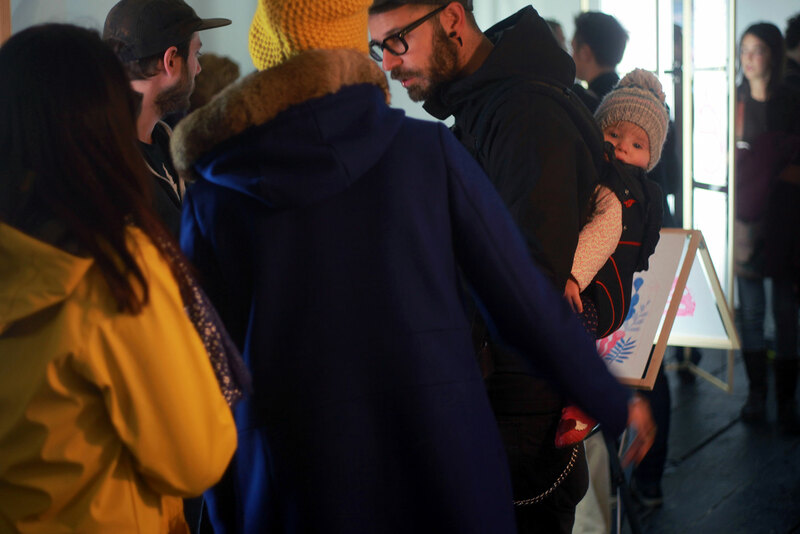 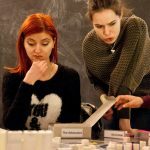 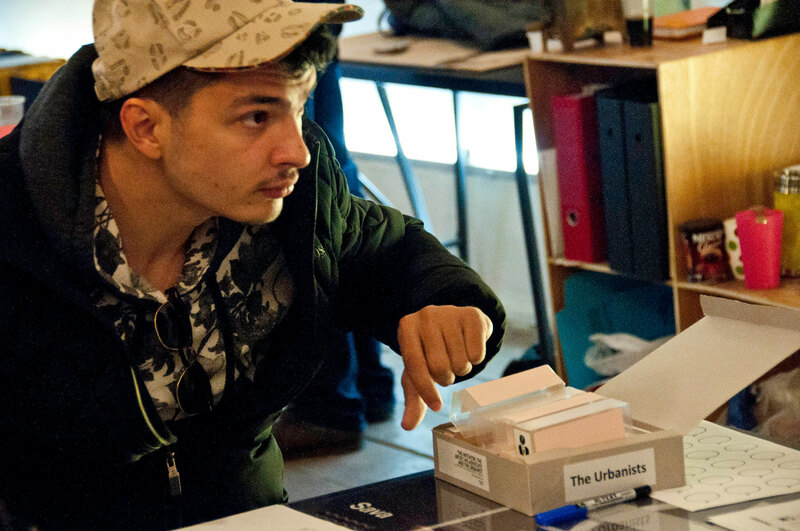 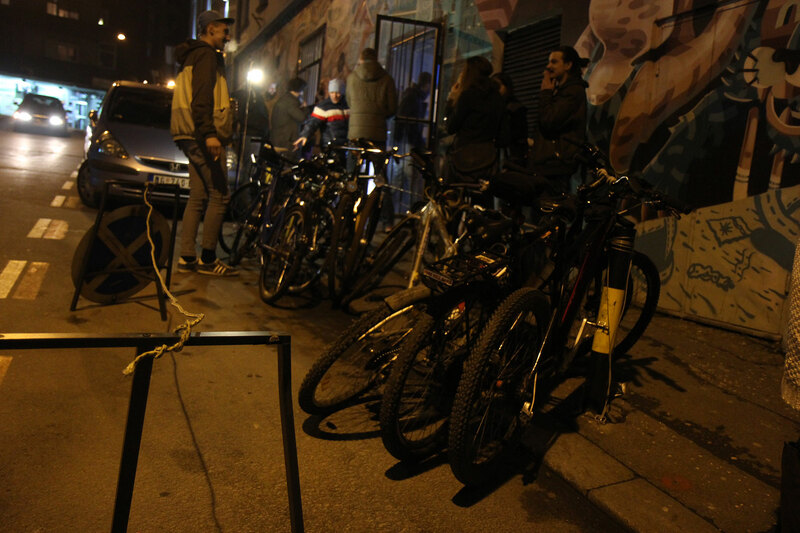 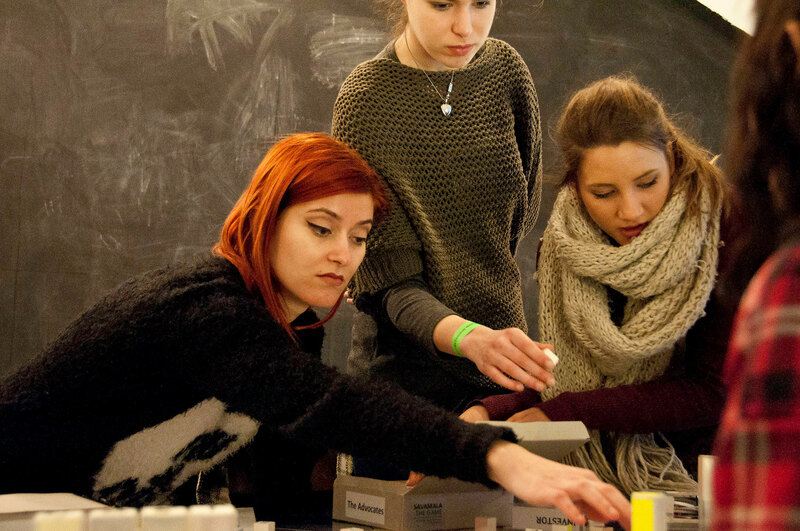 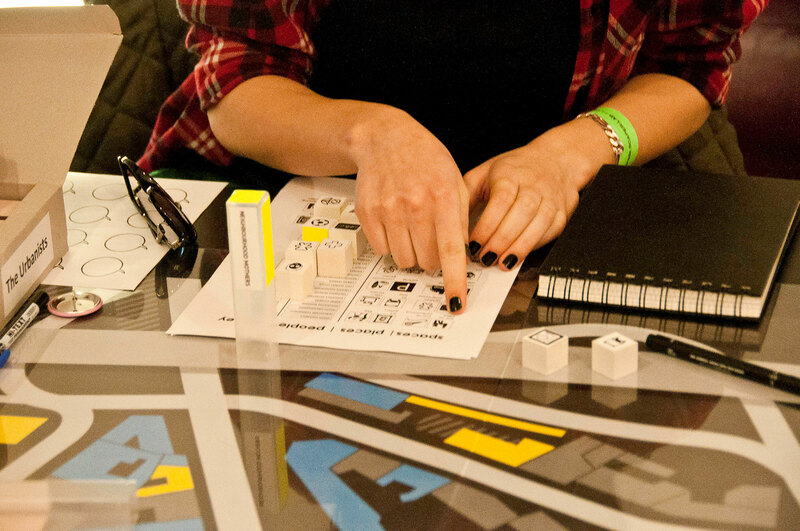 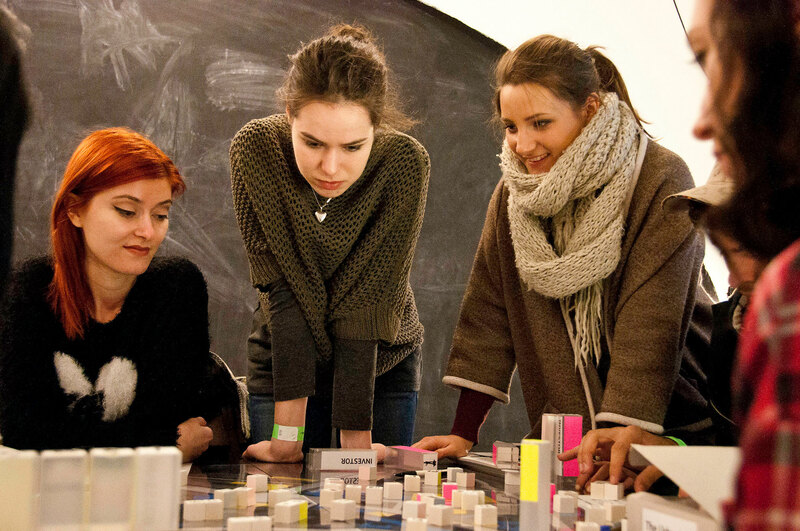 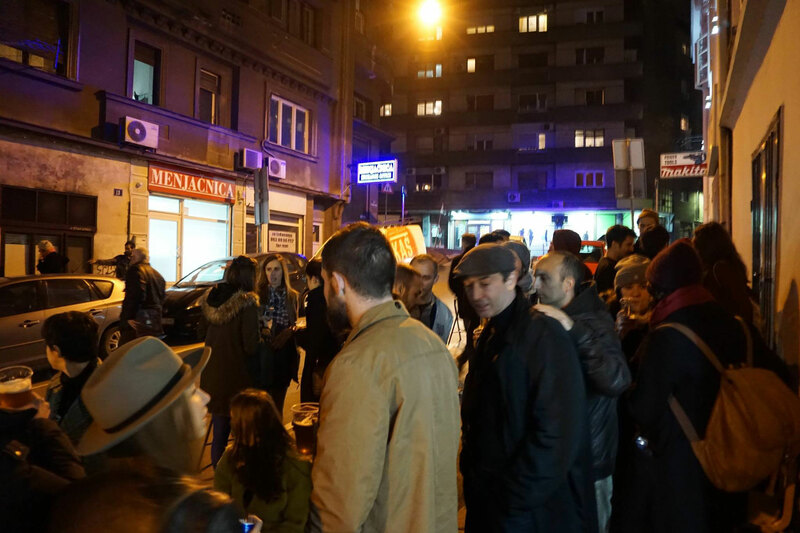 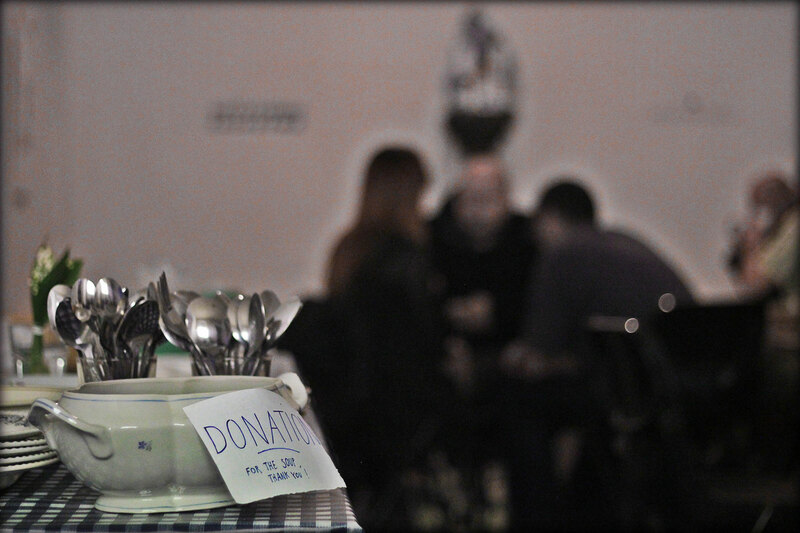 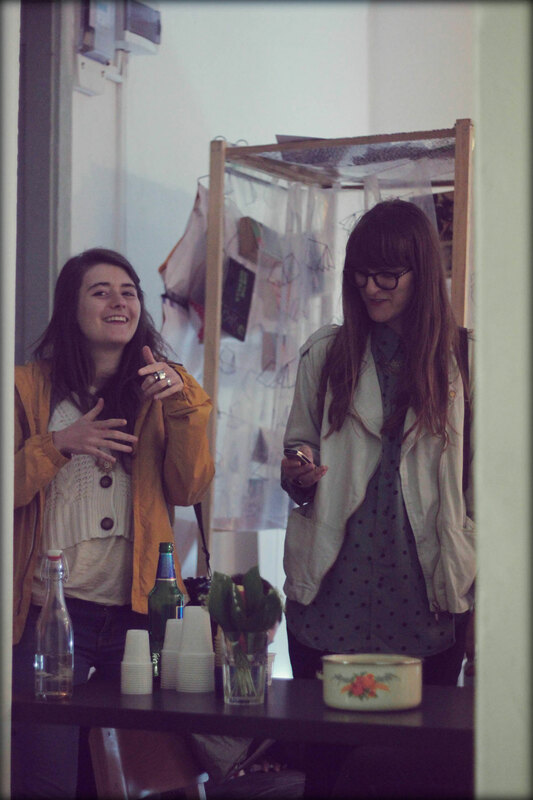 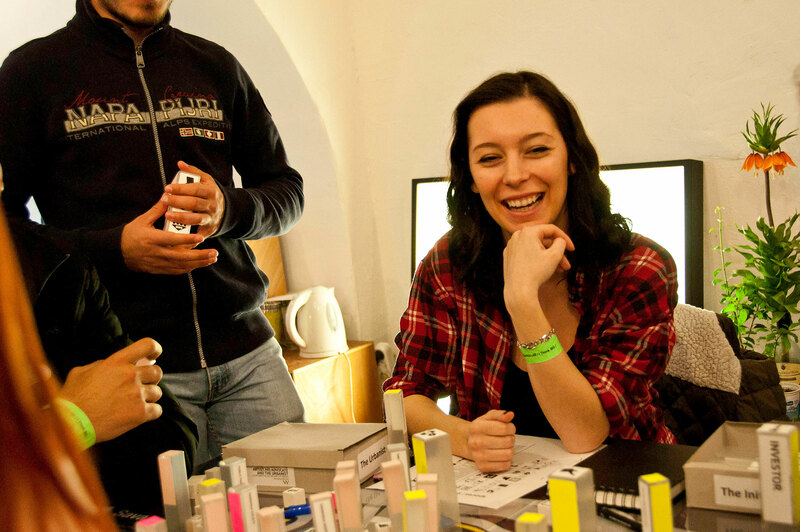 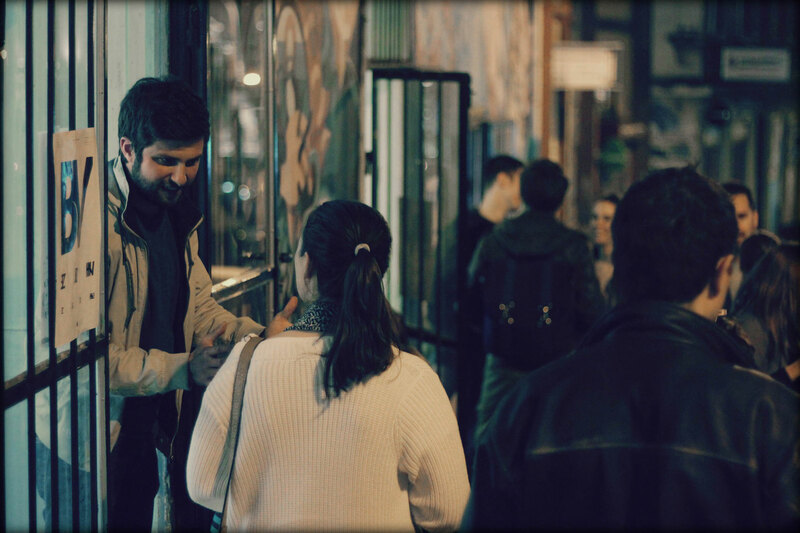 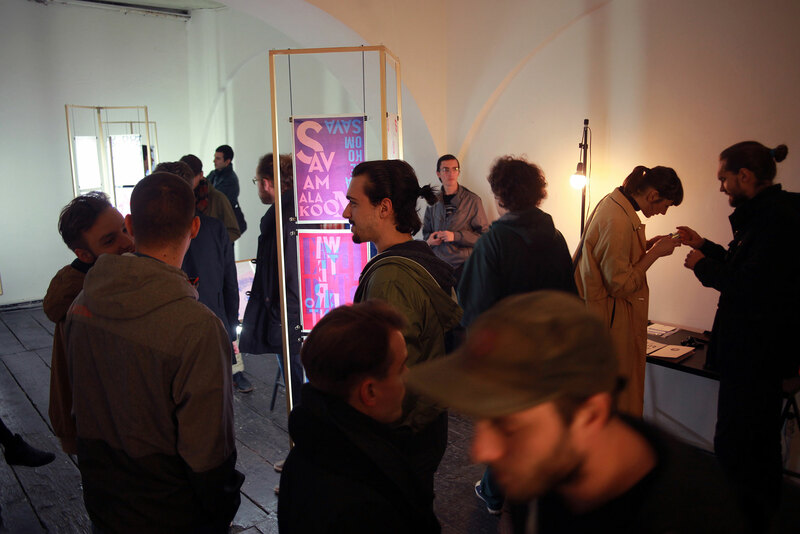 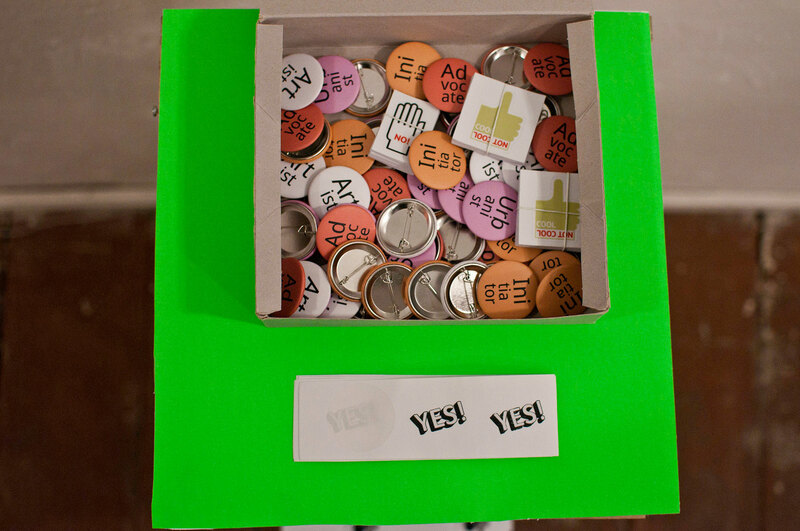 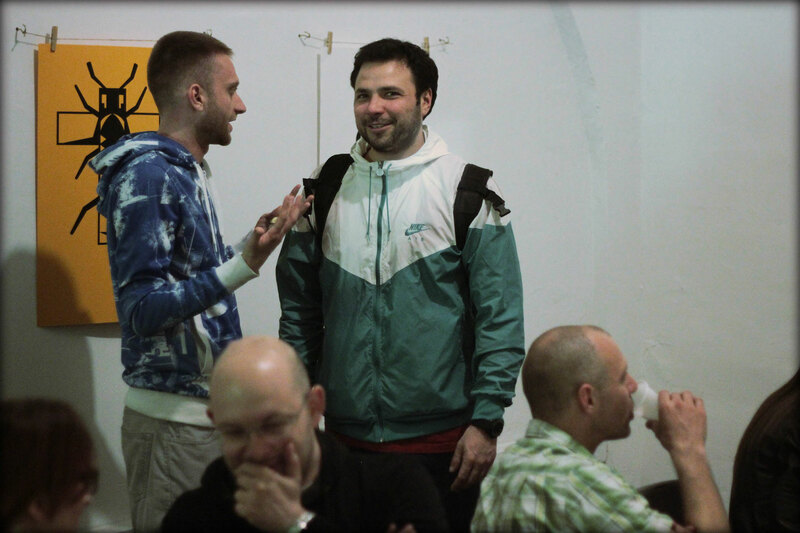 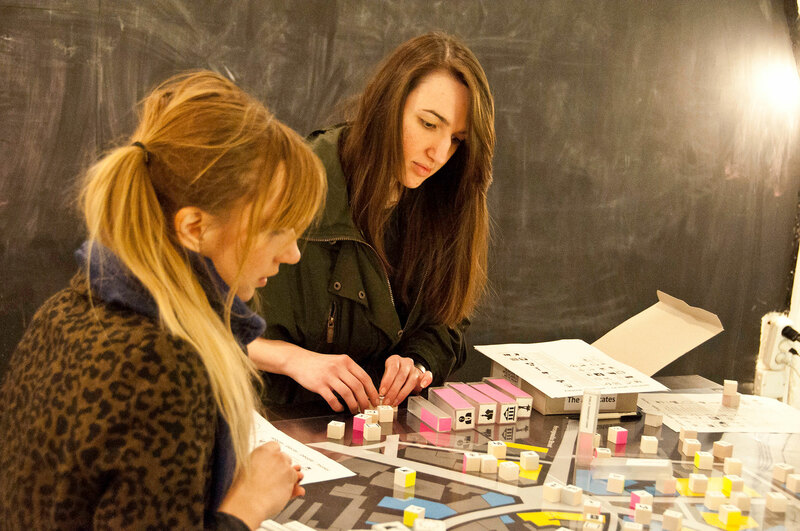 During the interactive exhibition – which was open on April 1st at KM8 gallery in Belgrade – the visitors had the opportunity to build their own collaborative future model for Savamala and vote for the best of the previous game-generated scenario’s. 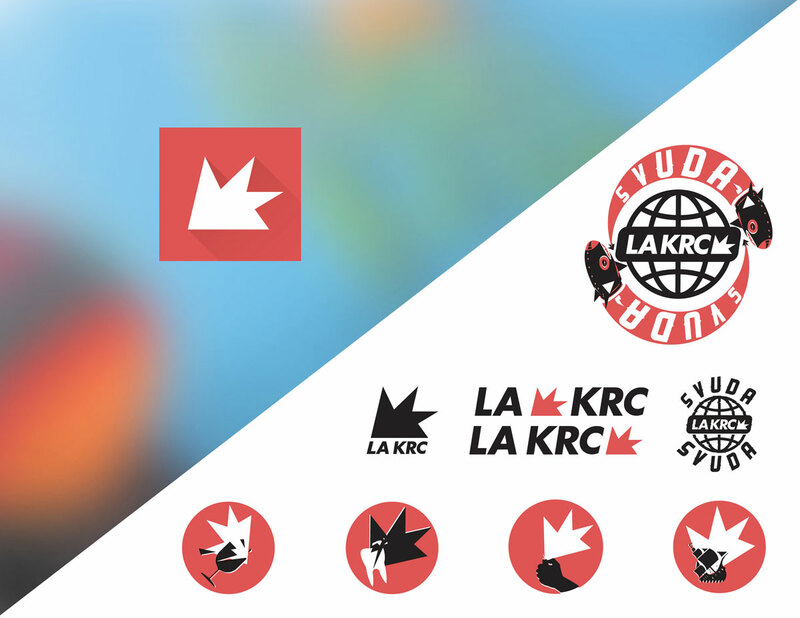 May 03 – May 24th 2015. 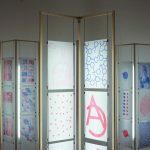 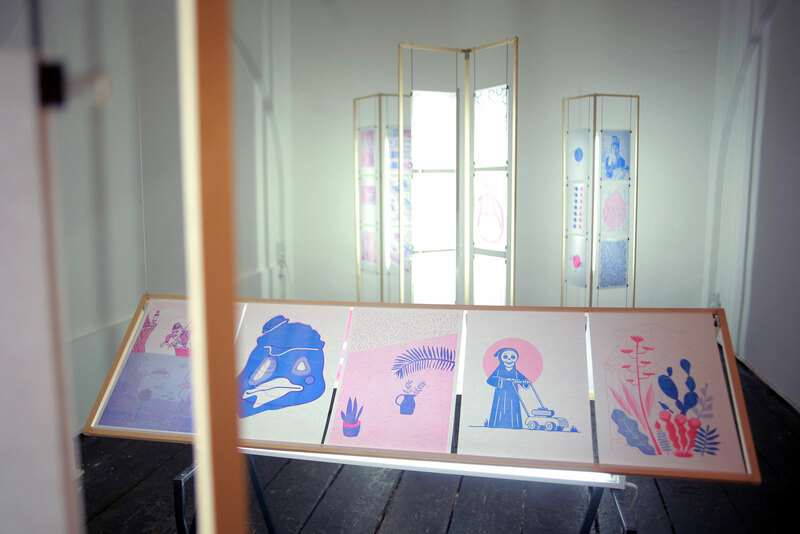 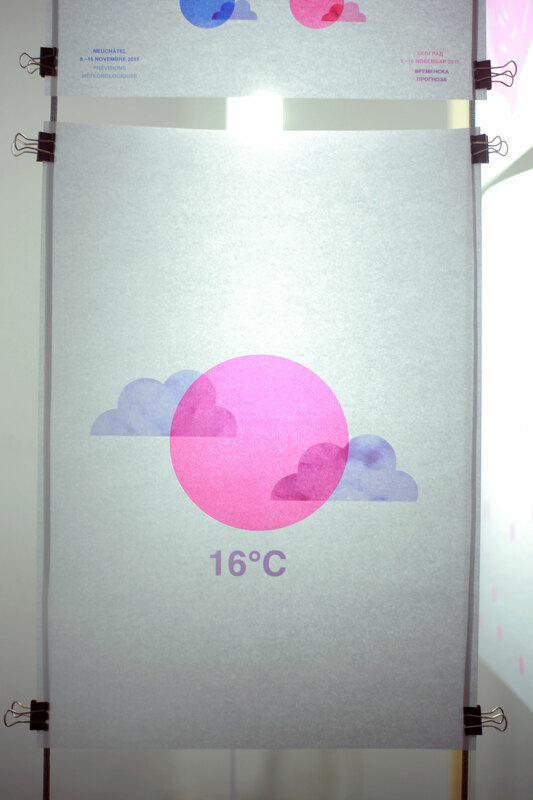 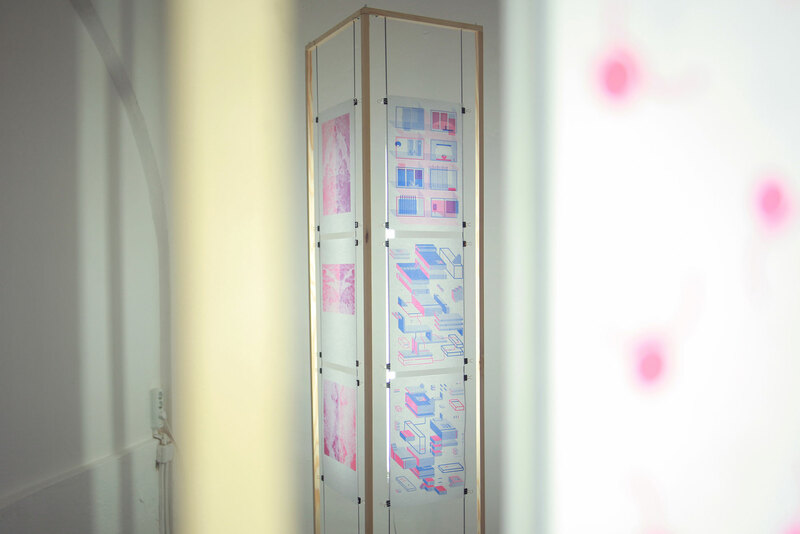 Cabinet SR:CH is Swiss-Serbian collective consisting of five graphic designers : Coline Jeanneret-Gris, Milica Pantelić, Théophile Glauser, Sébastien Doutaz and Željko Lončar. 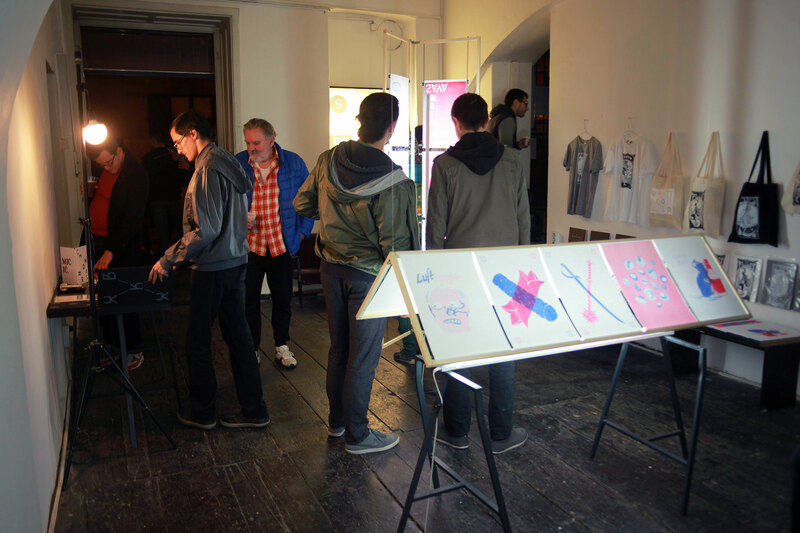 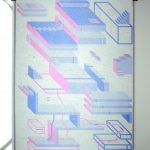 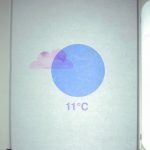 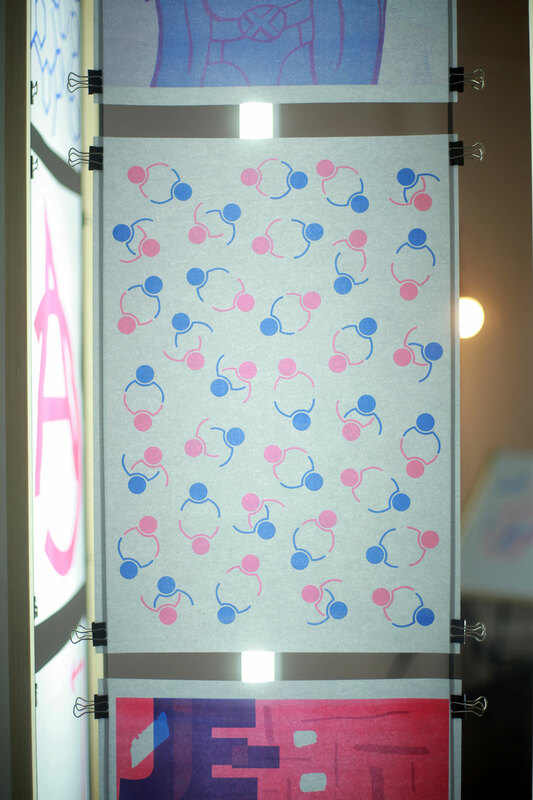 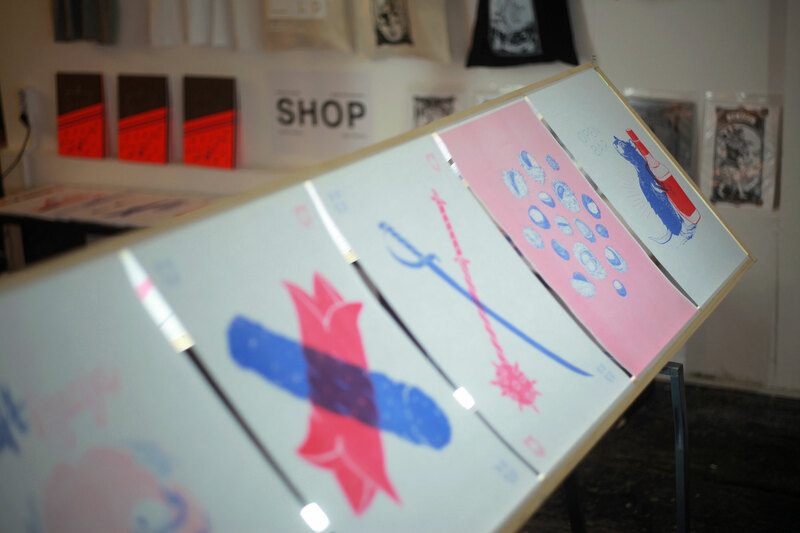 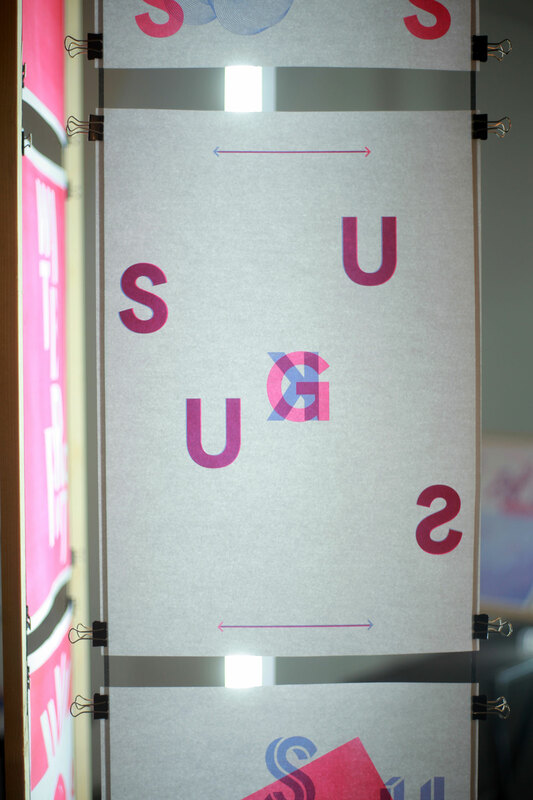 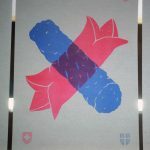 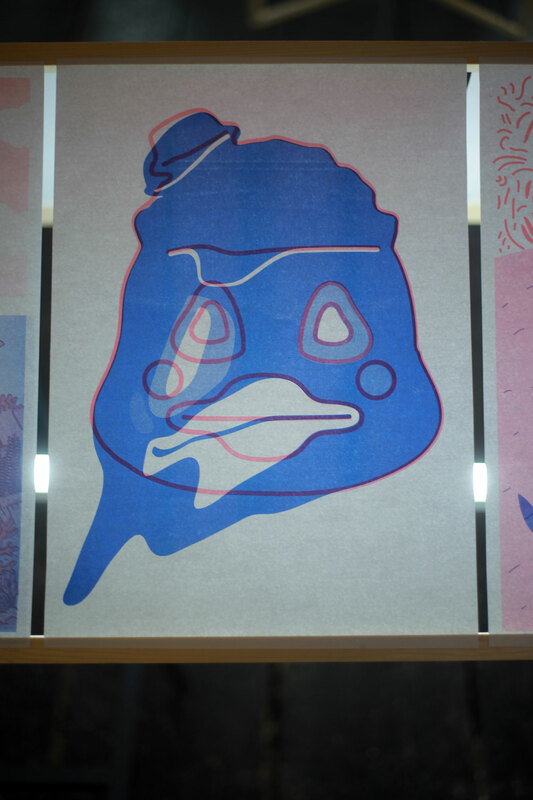 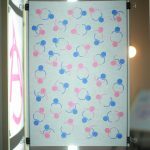 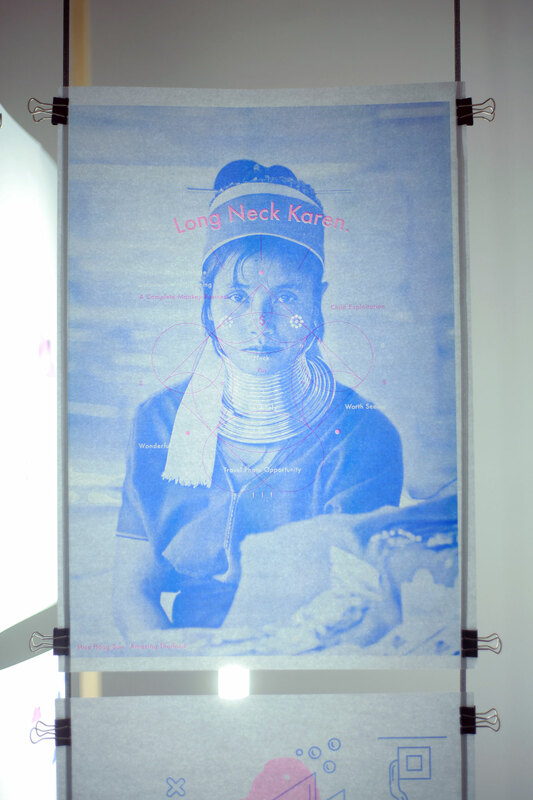 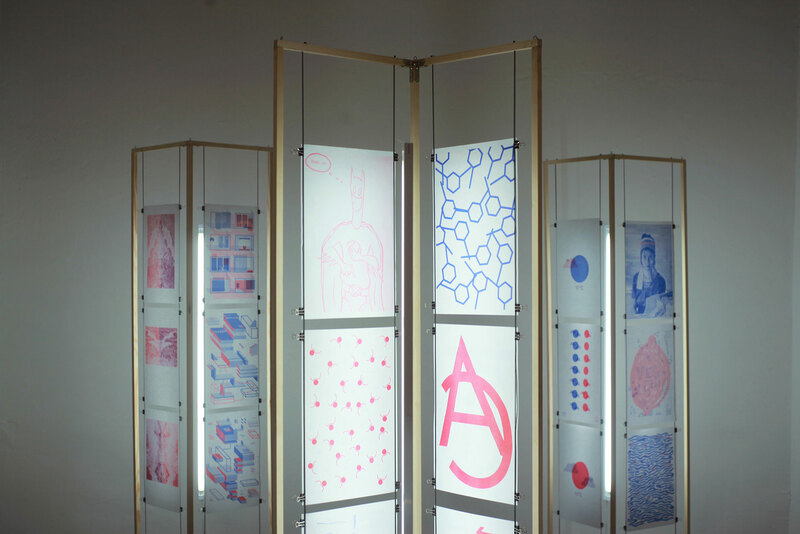 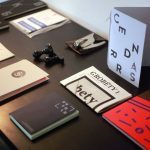 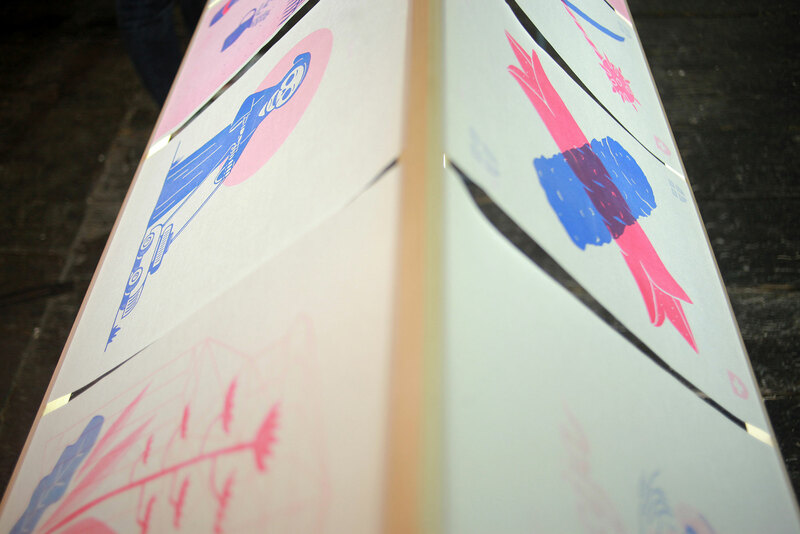 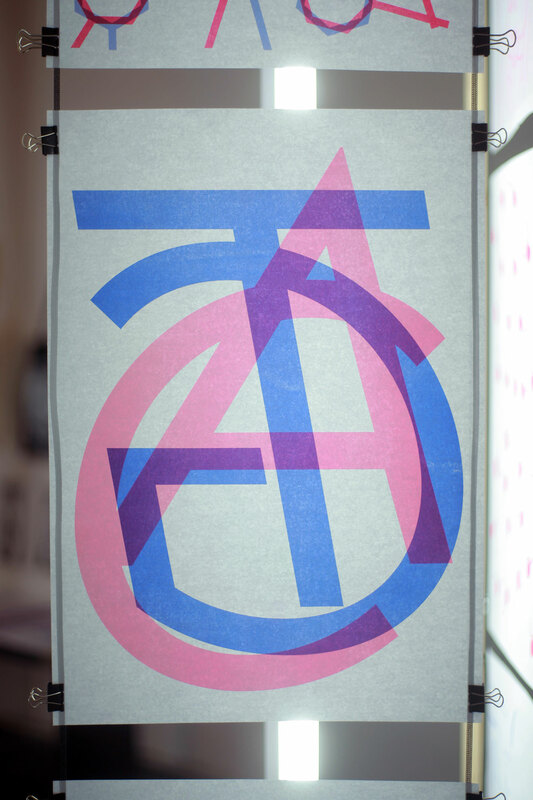 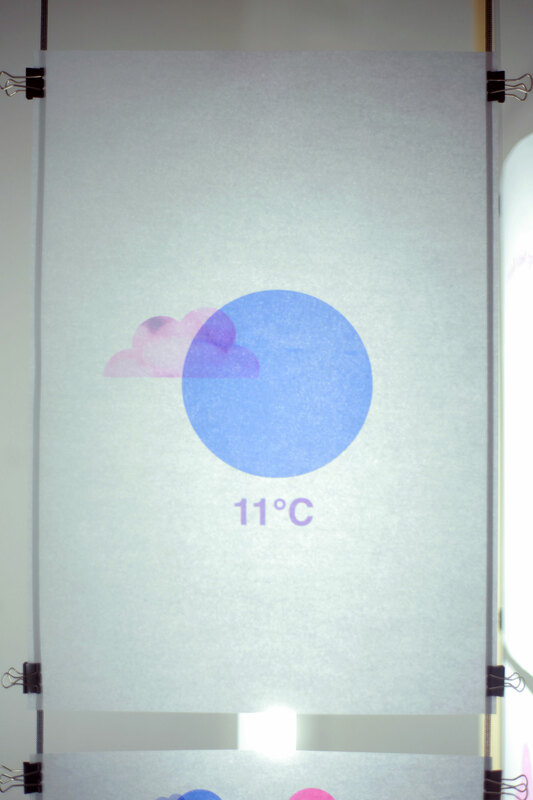 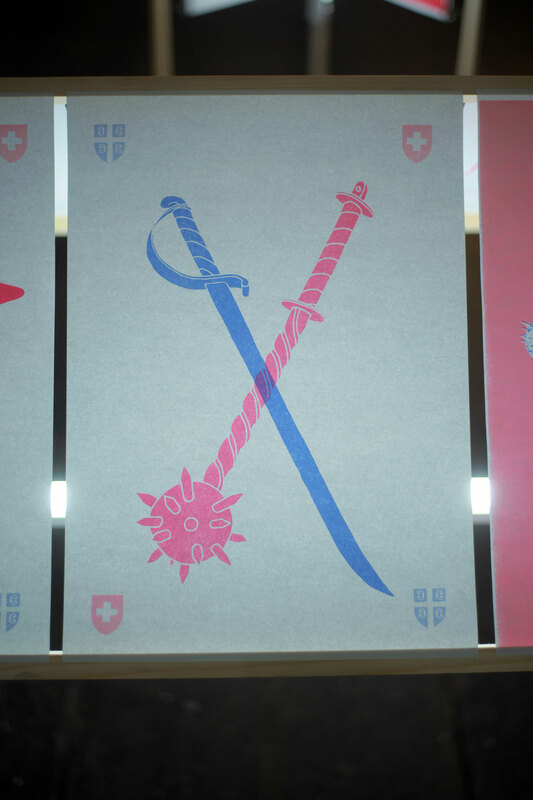 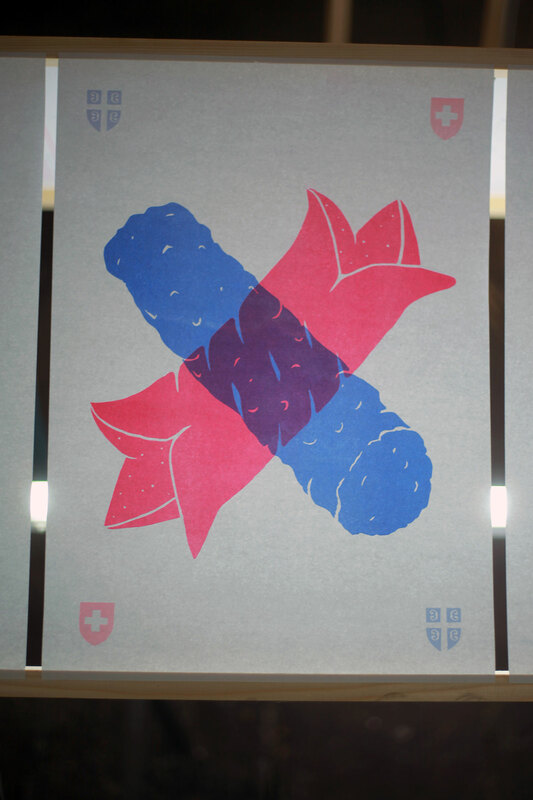 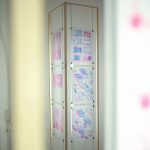 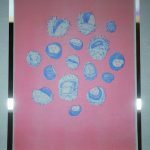 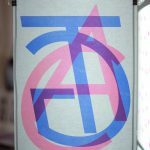 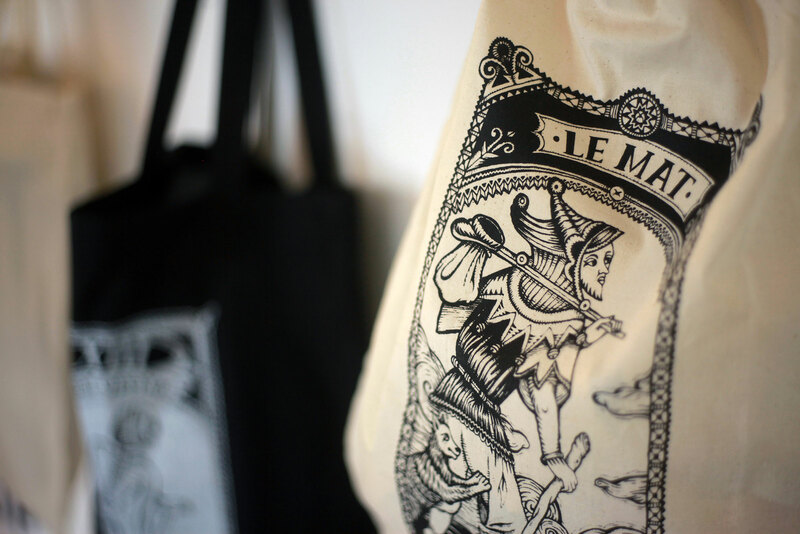 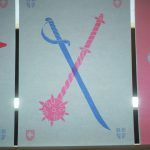 Collective came about in 2012 after series of collaborations and projects which involved students of graphic design from La Chaux-de-Fonds School of Applied Arts in La Chaux-de-Fonds and National College of Fine and Applied Arts. 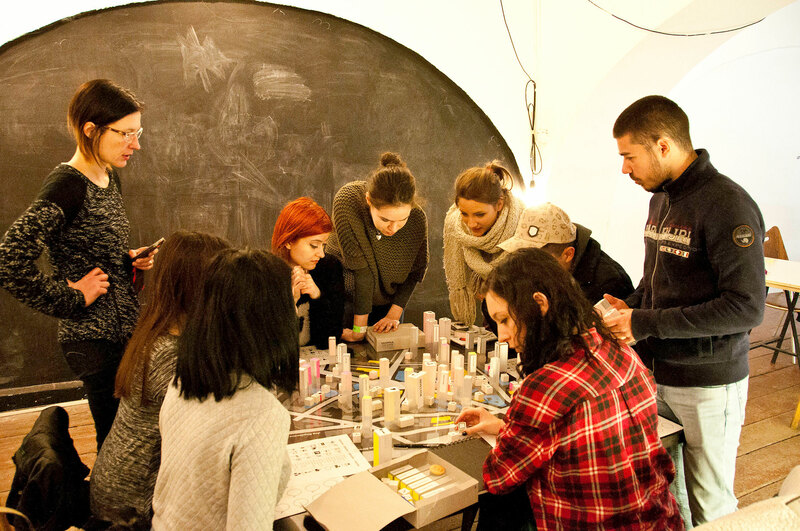 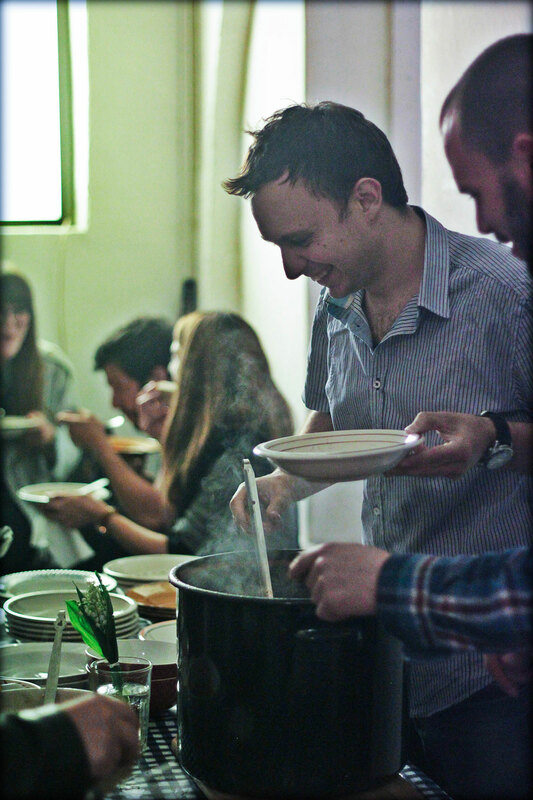 The aim of the collective is to exchange knowledge about design, provide experience and share cultures between two countries. 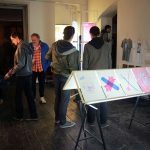 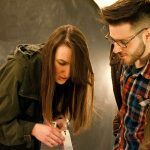 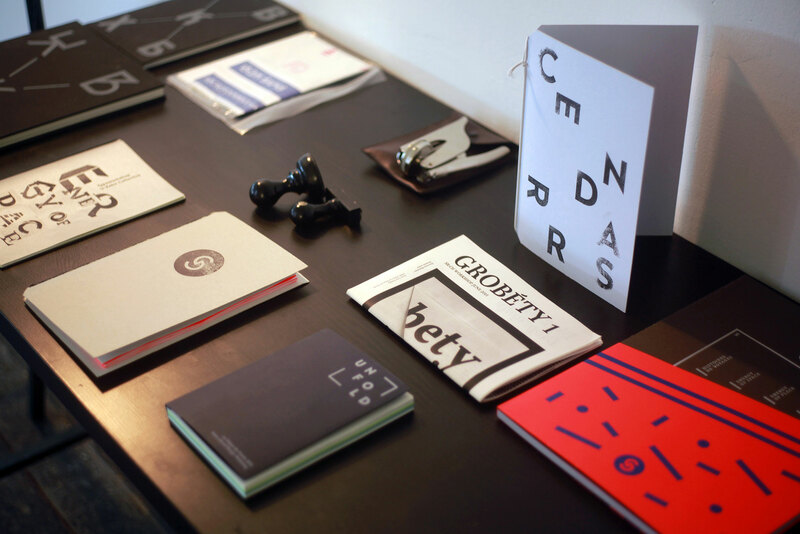 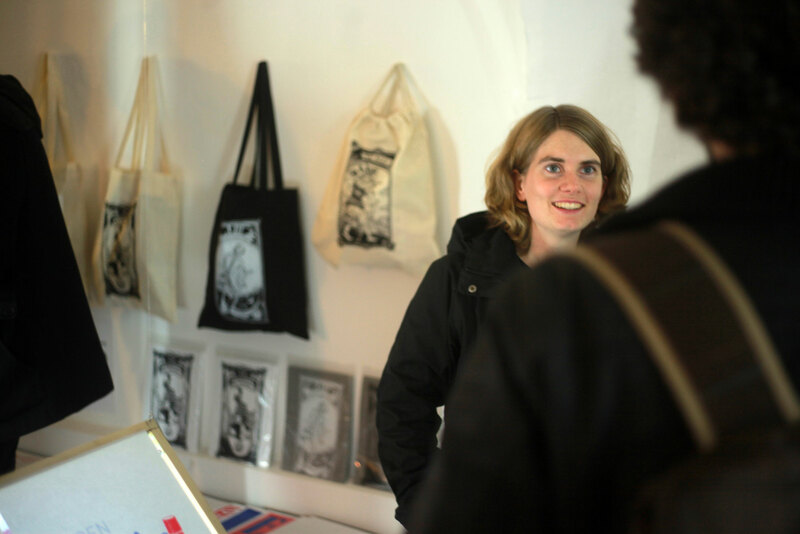 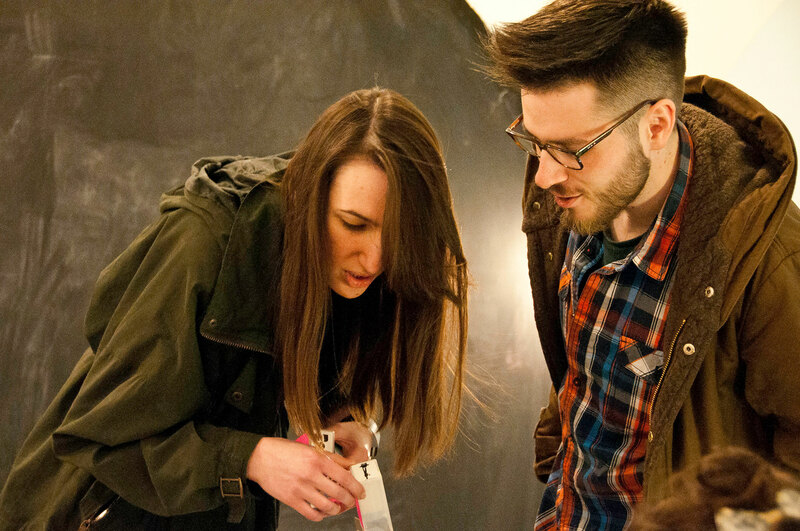 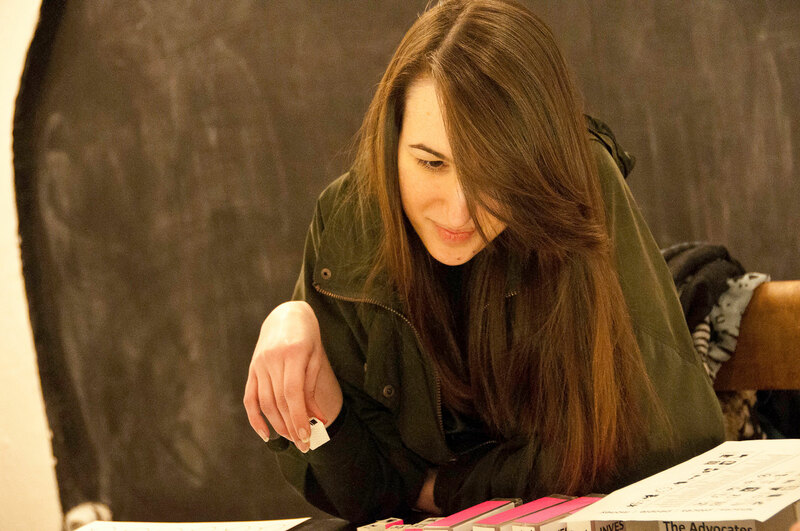 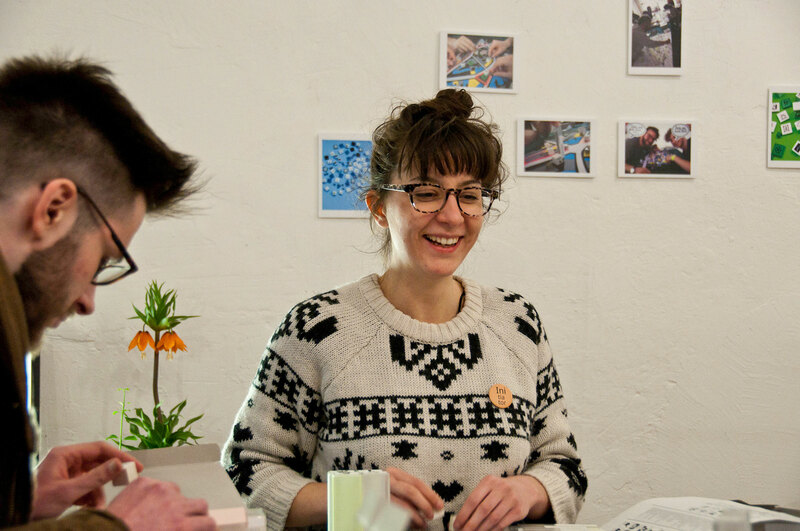 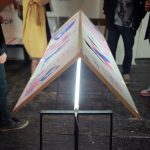 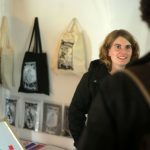 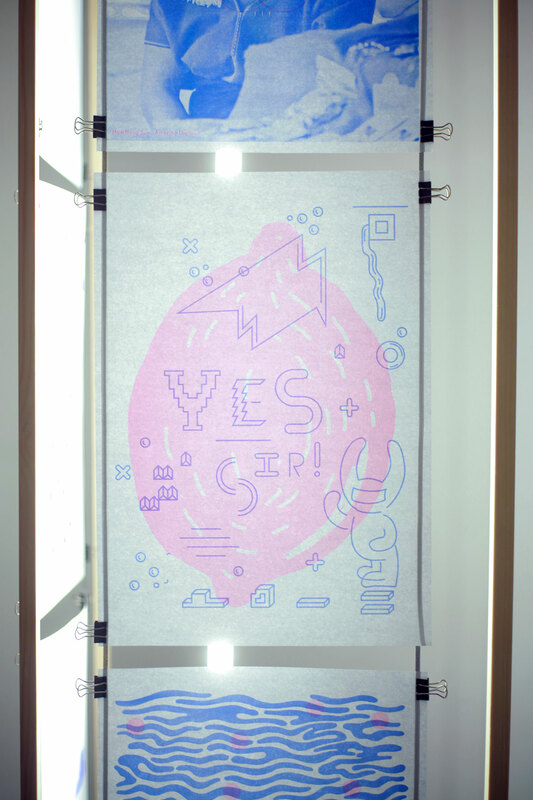 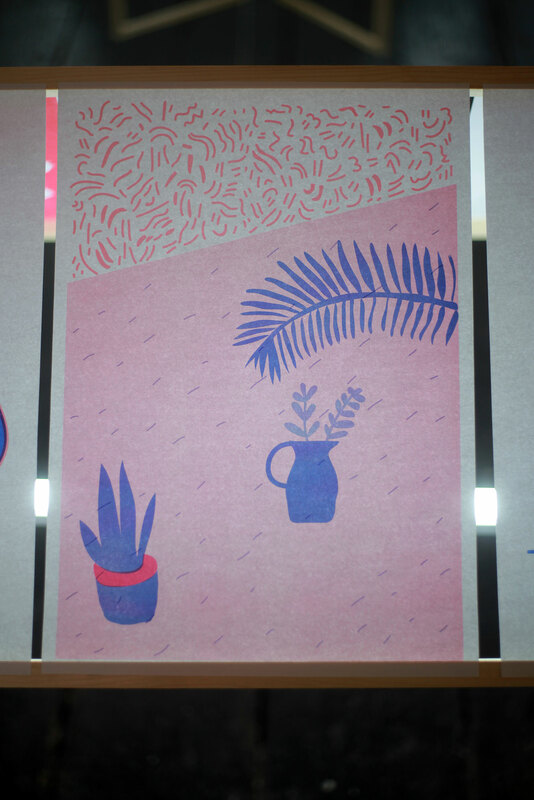 Through organizing workshops, exhibitions and academy trips for students, the collective is playing an active role in education of future graphic designers. 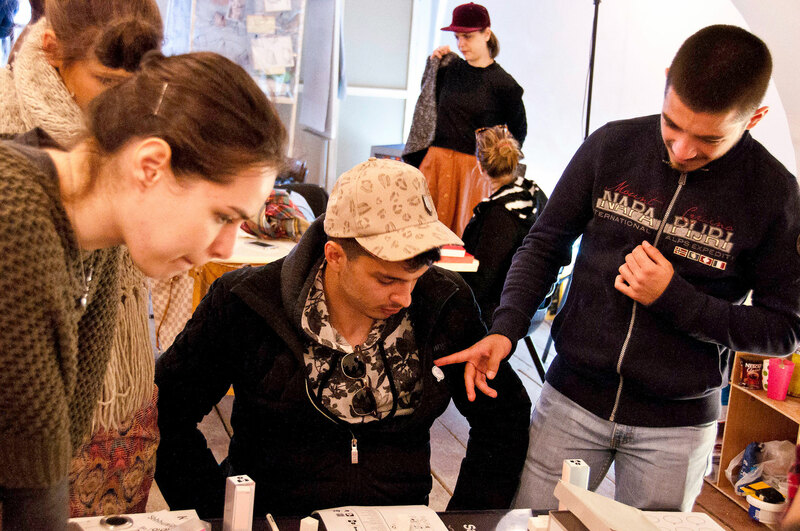 Students get the chance to use their knowledge in real environment working with students from different cultures on design and visual communication projects. 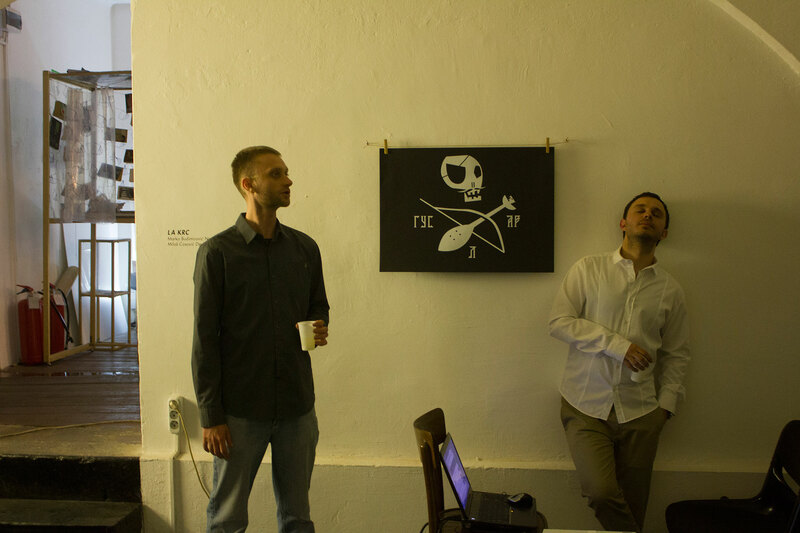 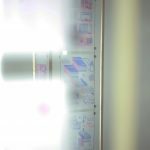 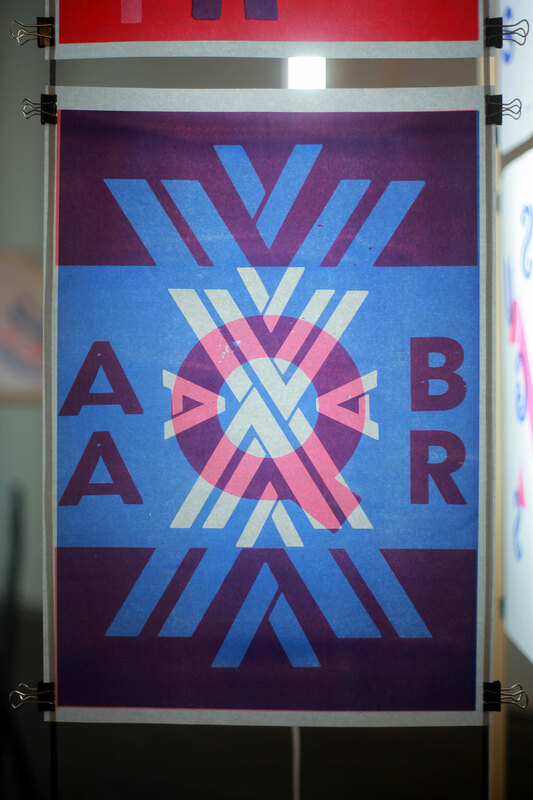 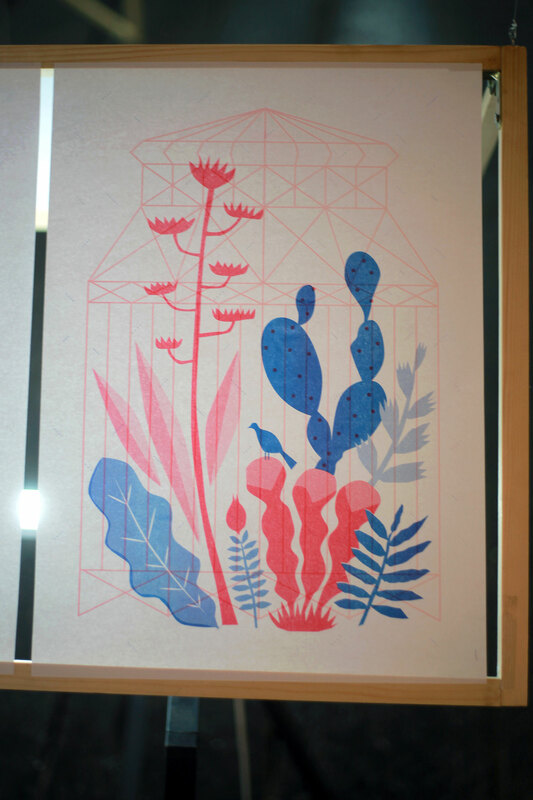 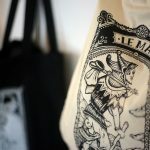 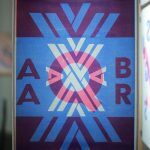 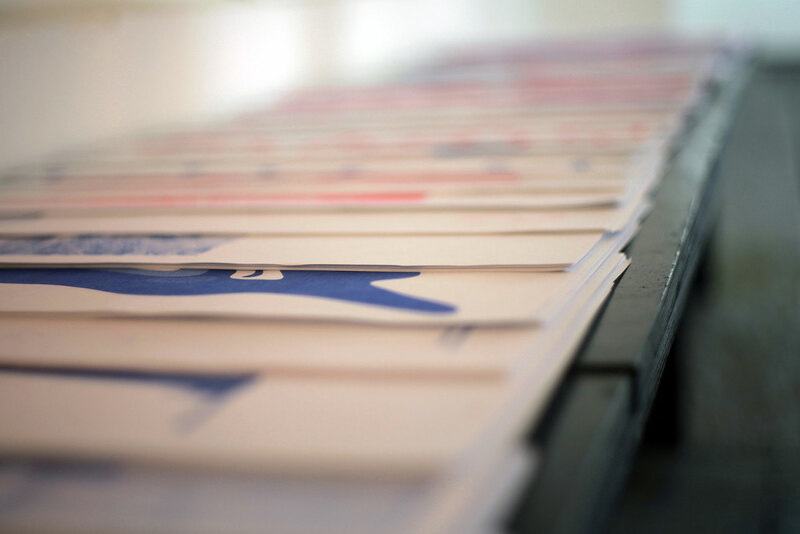 The concept of these projects is to expand the existing knowledge (typography, illustration), research local culture, to collaborate, to produce a final result and finally to present these results in form of exhibitions. 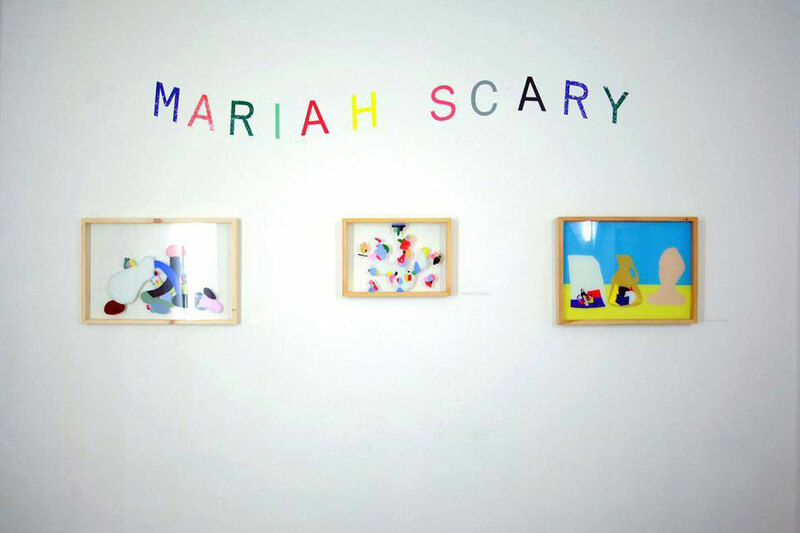 Ovaj zastrašujući osećaj bivstvovanja u mutirajućem i nepristupačnom okruženju, je glavna inspiracija predstojeće izložbe Marije Strašne (Mariah Scary). 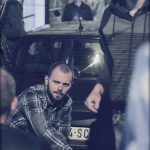 Slike proizlaze iz pomenutih halucinacija, koje je autorka imala tokom svog odrastanja. 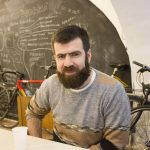 Njen rad predstavlja konstantni proces prihvatanja i pokretanja momenta njenog ličnog oslobađanja. 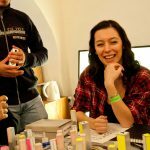 Pozivajući se na ovo, Marija Strašna predstavlja svoje radove u okviru šireg koncepta Intimizma. 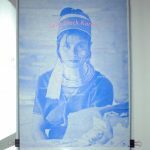 Marija Knežević/ Mariah Scary, rođena je u Beogradu, 1989. godine. 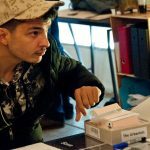 Slikarstvom se bavi od 2014. godine. 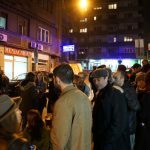 Koristi uglavnom akrilnu tehniku na providnim površinama. 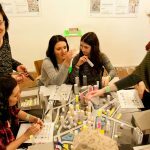 Učestvovala je na nekoliko grupnih izložbi, a ovom prilikom predstaviće se prvi put samostalno. 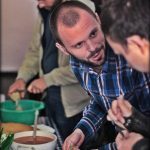 Na izložbi će biti prikazani radovi nastali tokom 2015. godine. 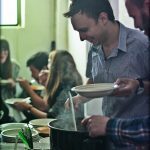 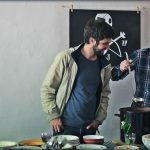 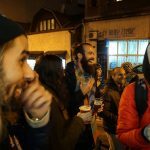 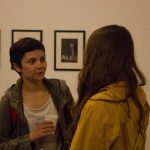 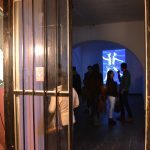 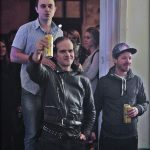 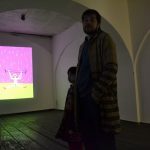 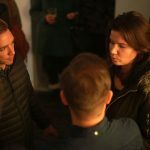 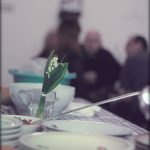 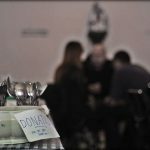 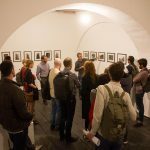 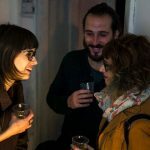 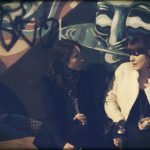 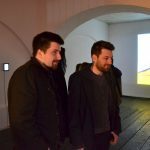 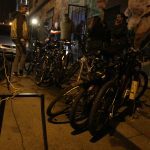 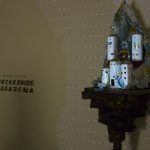 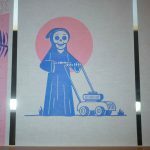 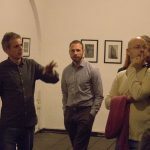 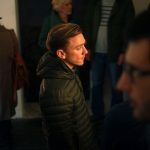 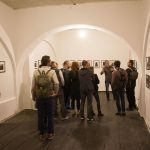 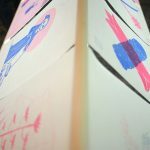 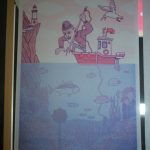 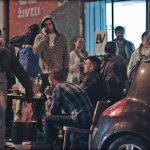 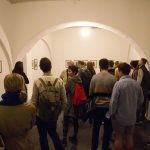 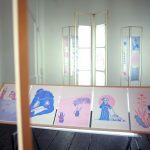 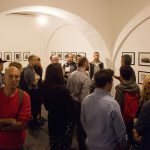 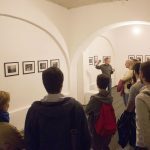 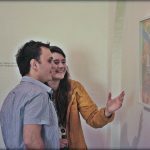 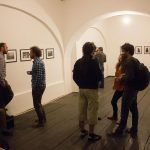 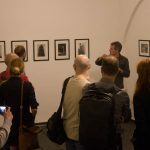 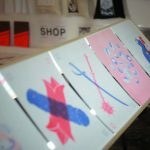 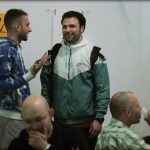 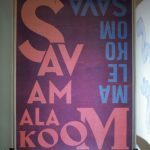 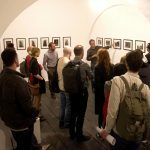 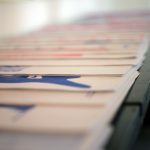 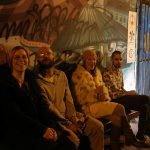 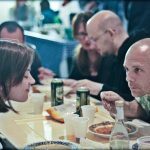 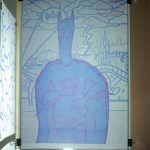 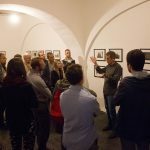 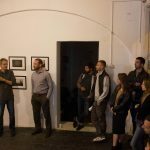 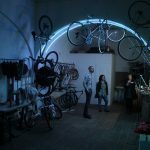 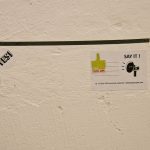 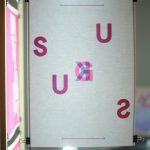 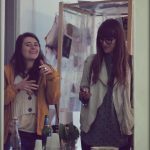 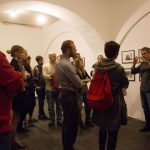 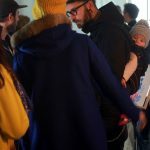 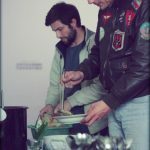 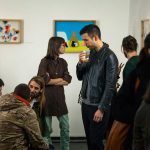 Pored slikarstva, radi kao organizator programa u galeriji Kulturforuma u Beogradu. 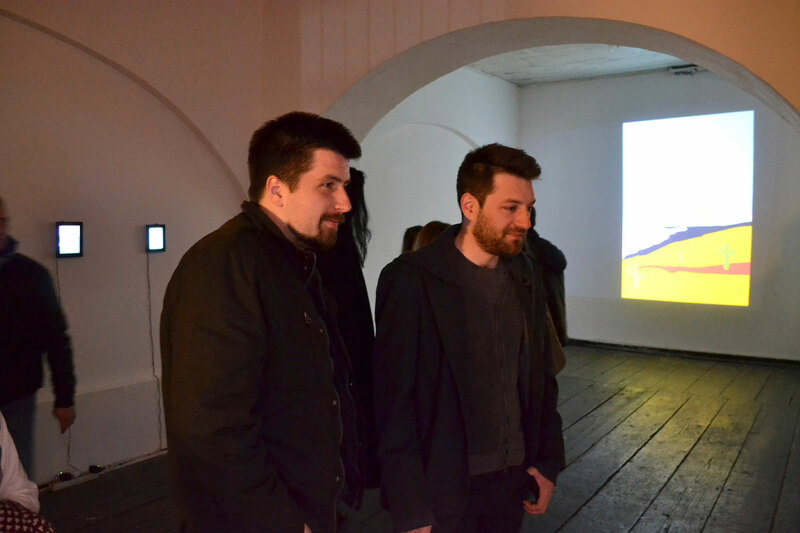 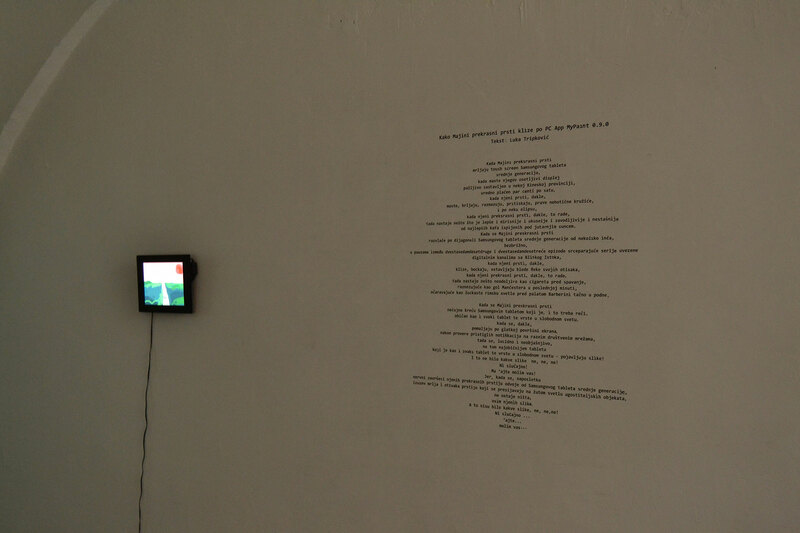 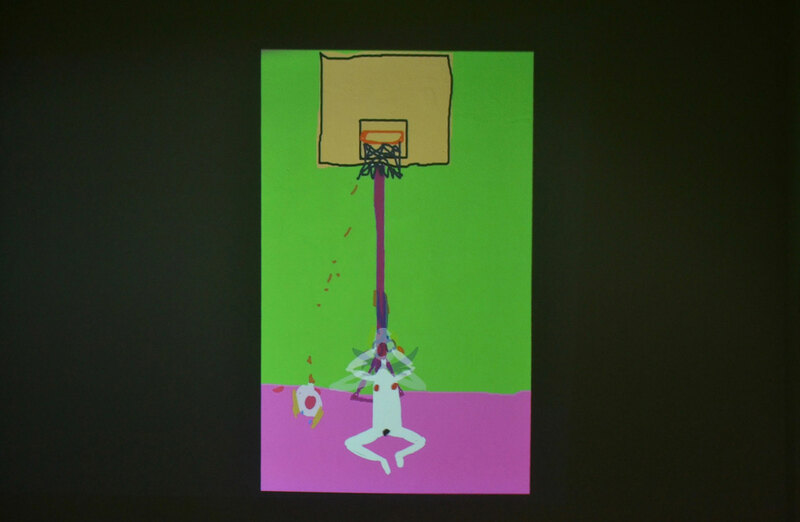 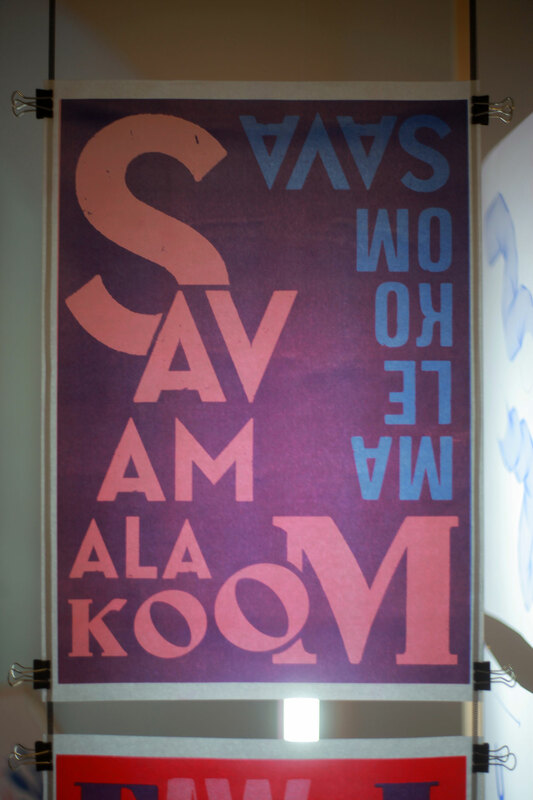 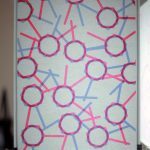 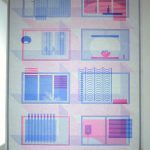 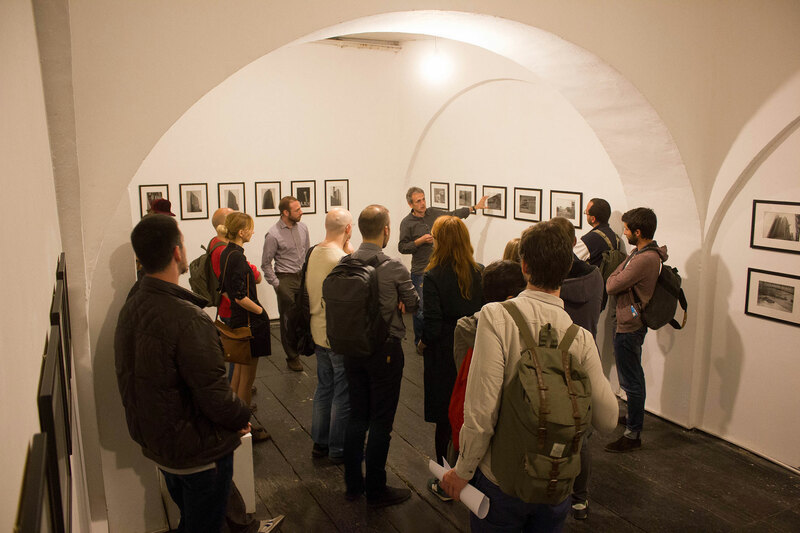 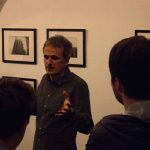 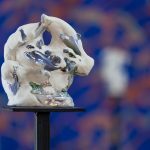 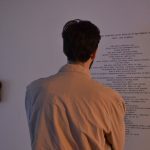 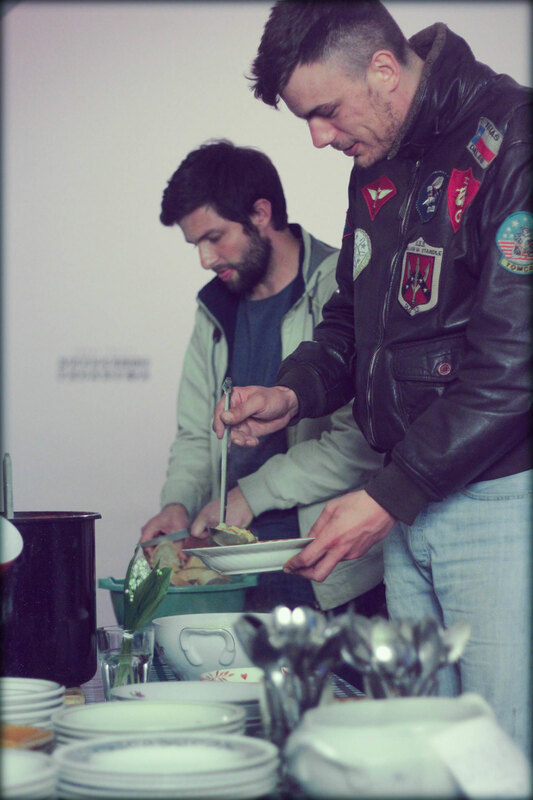 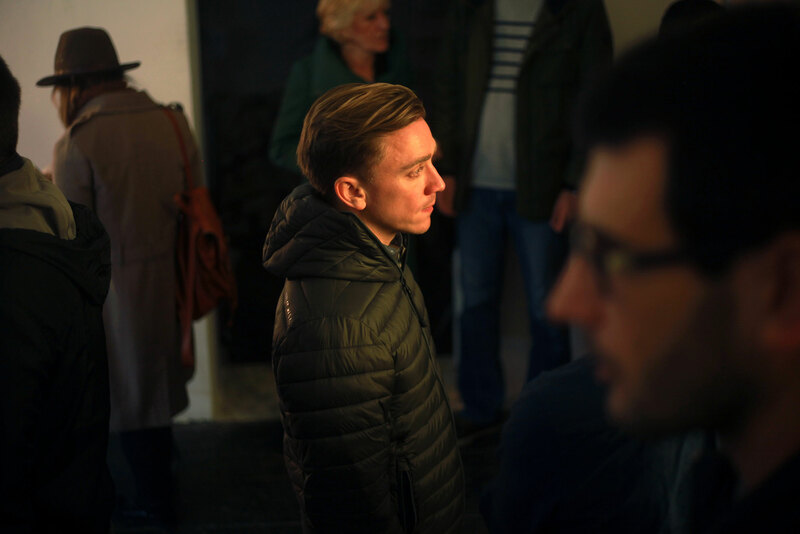 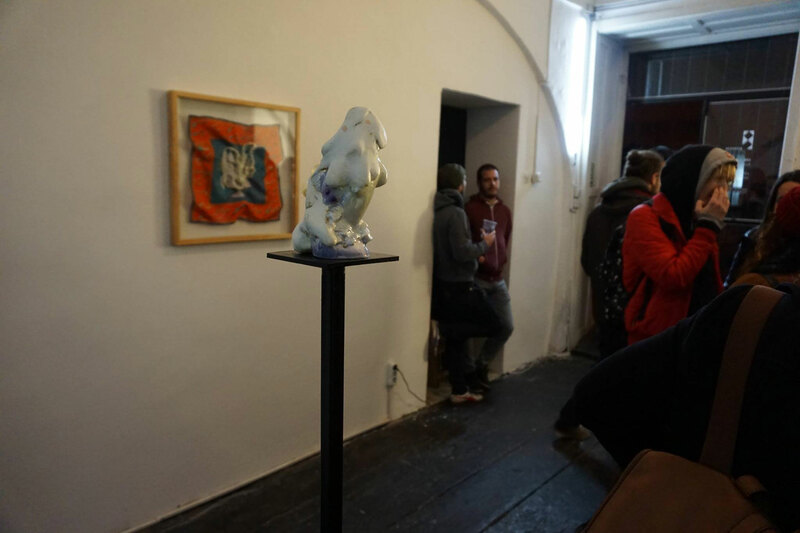 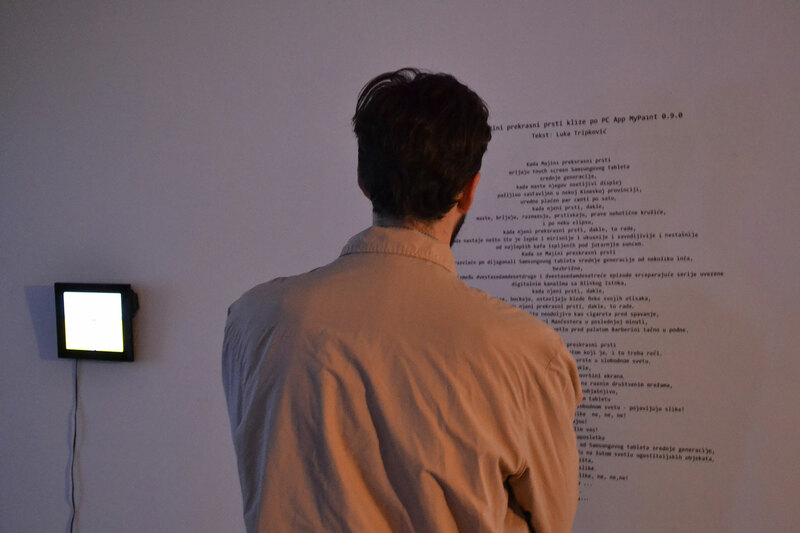 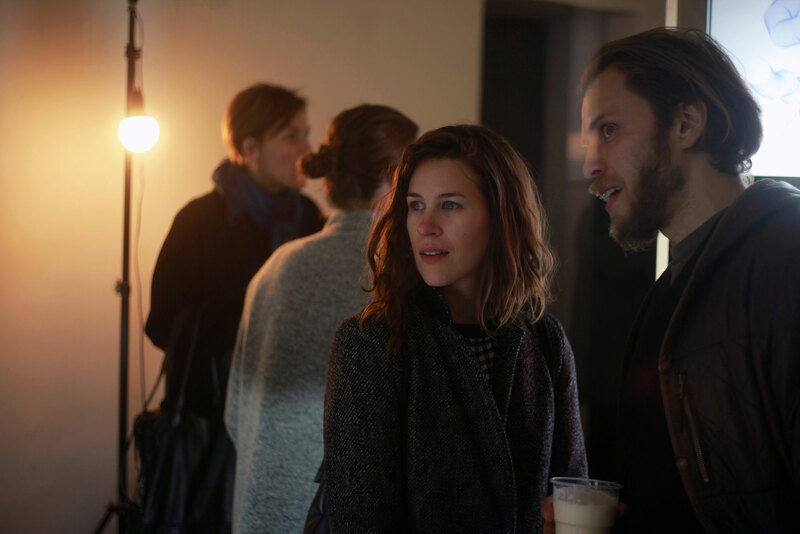 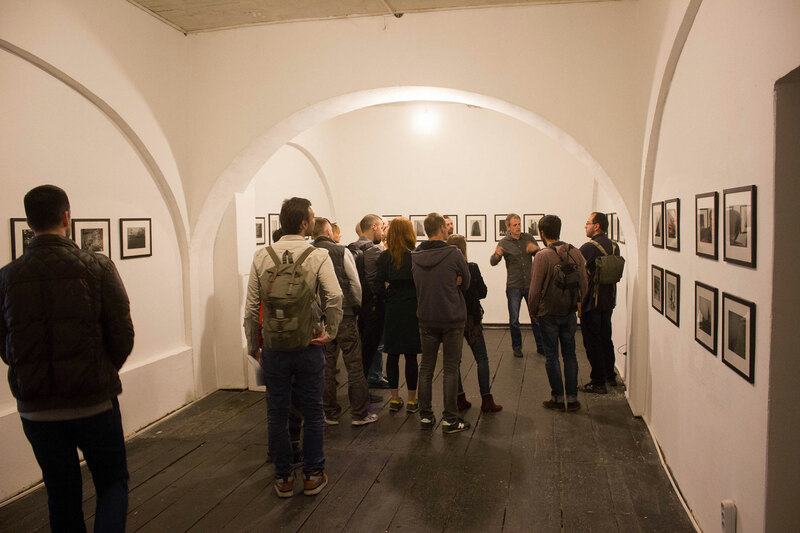 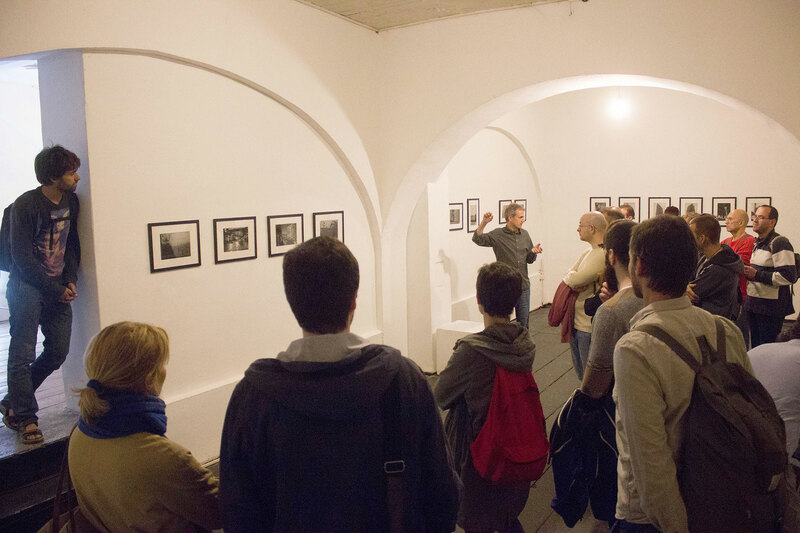 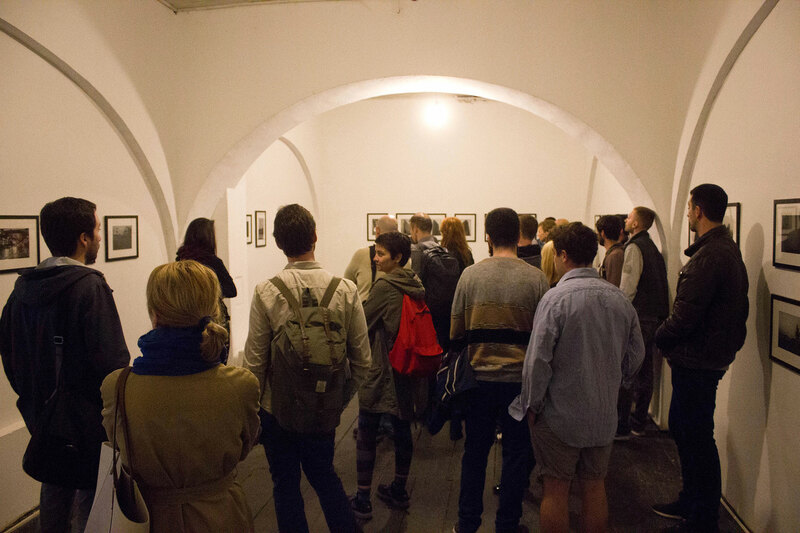 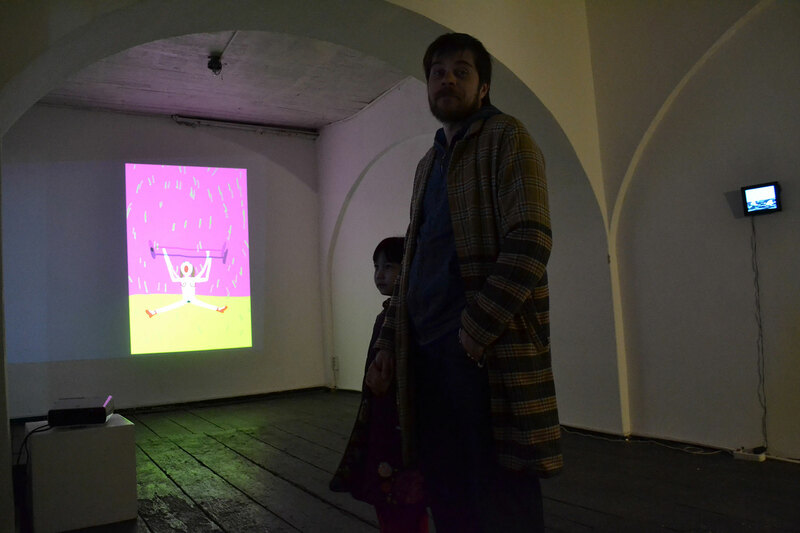 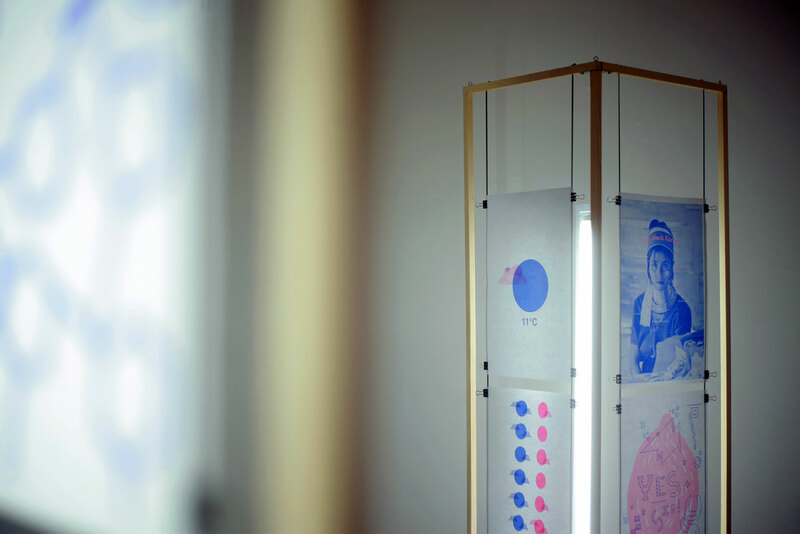 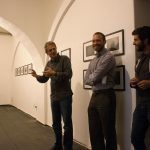 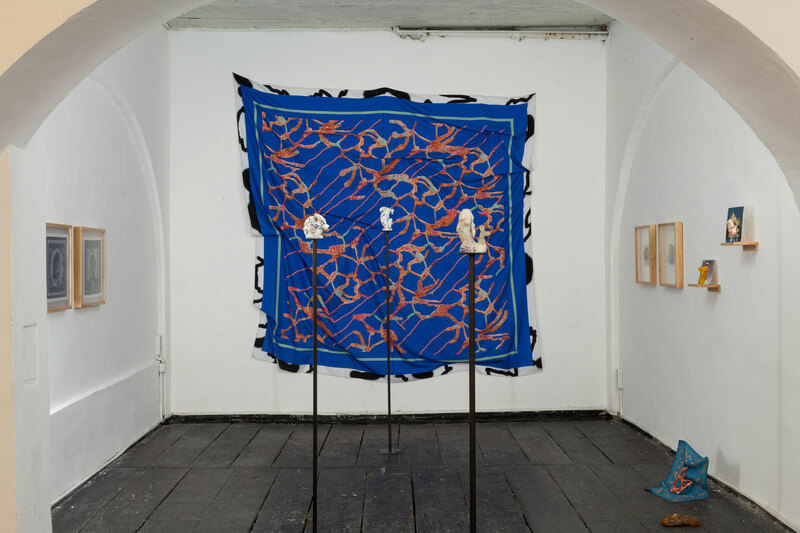 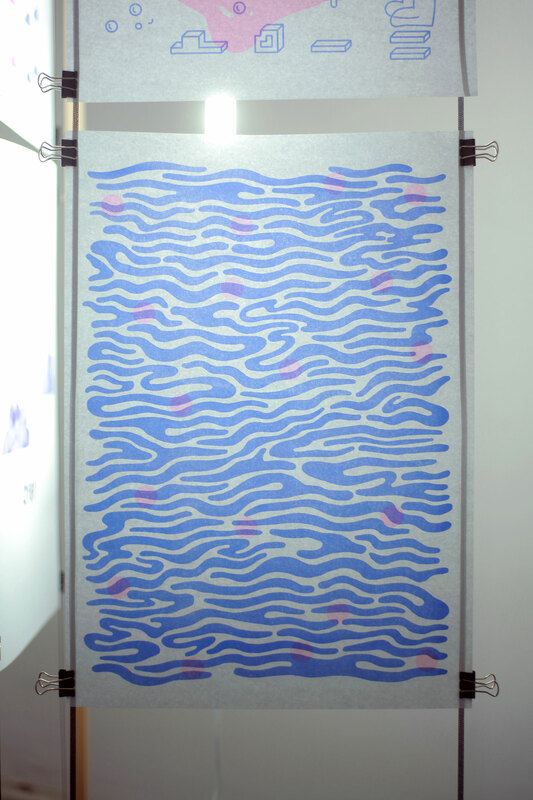 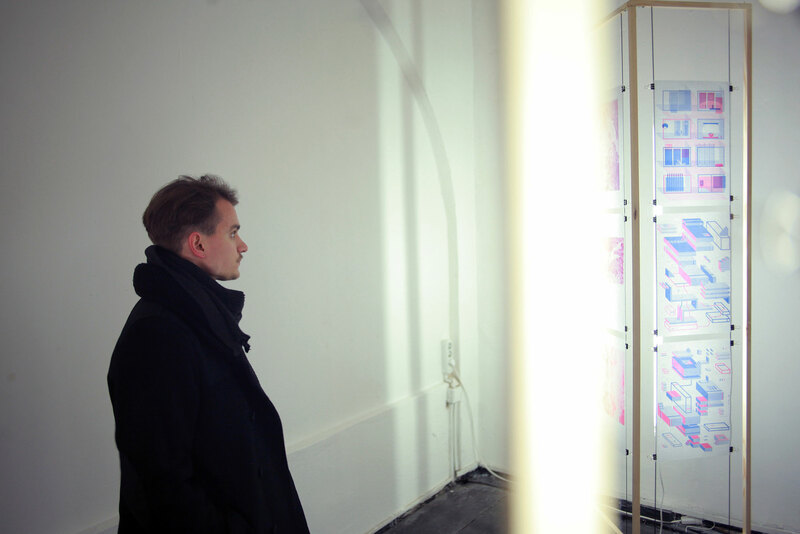 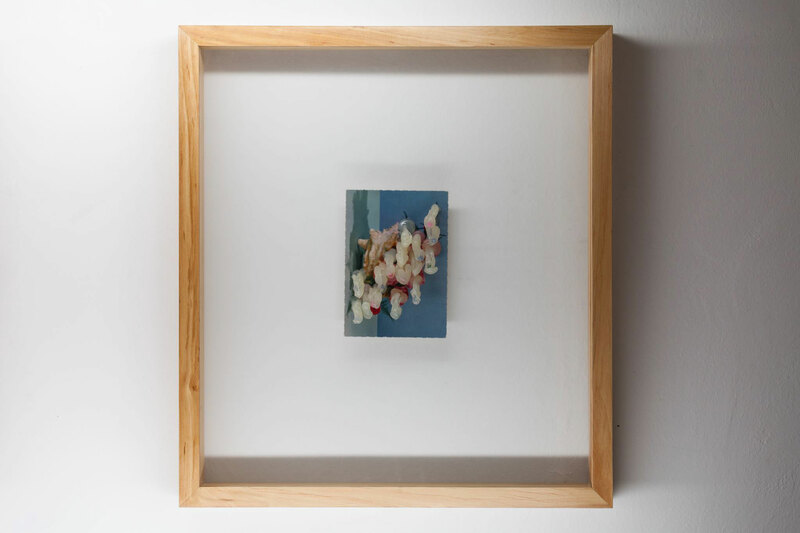 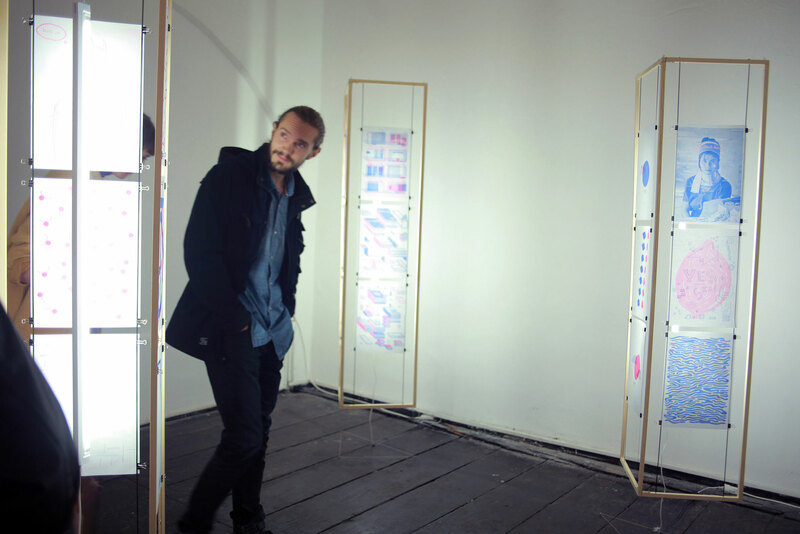 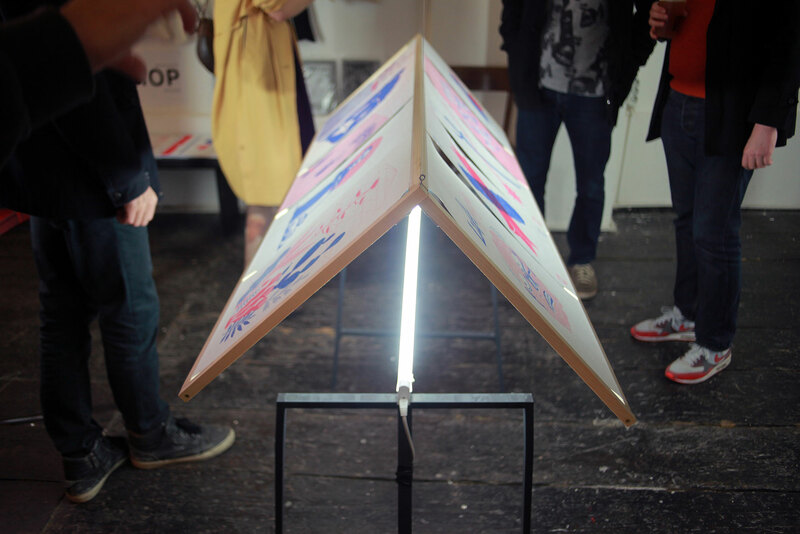 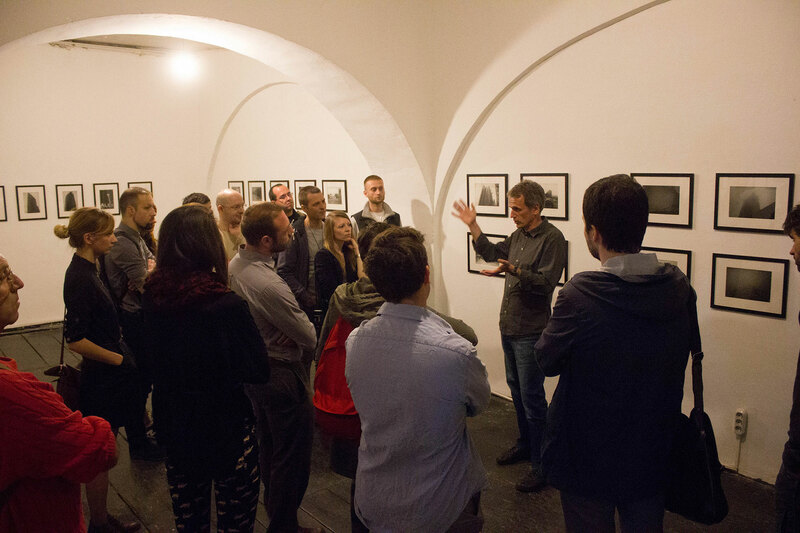 On December the 3rd the gallery KM8 closed the year with a solo exhibition of the Bosnian emerging artist Emir Šehanović who showed his new work produced in 2015. 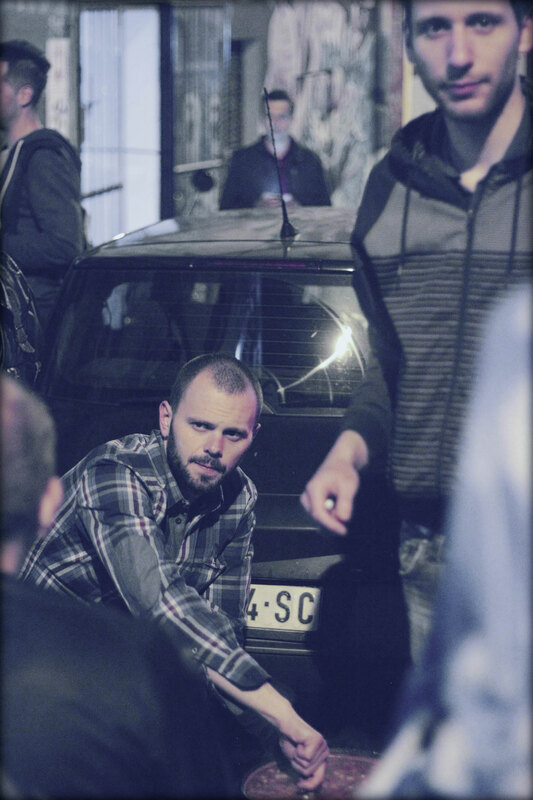 Emir Šehanović ESH was born in 1981 in Tuzla, Bosnia & Herzegovina. 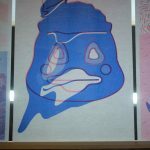 In the late 90s he was already an active participant of the local street art scene under the pseudonym Aorta. 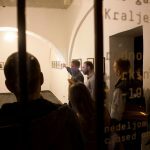 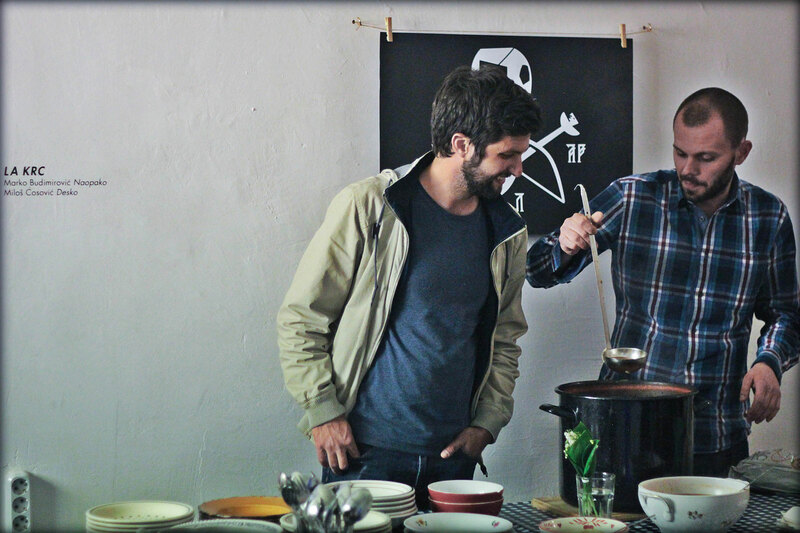 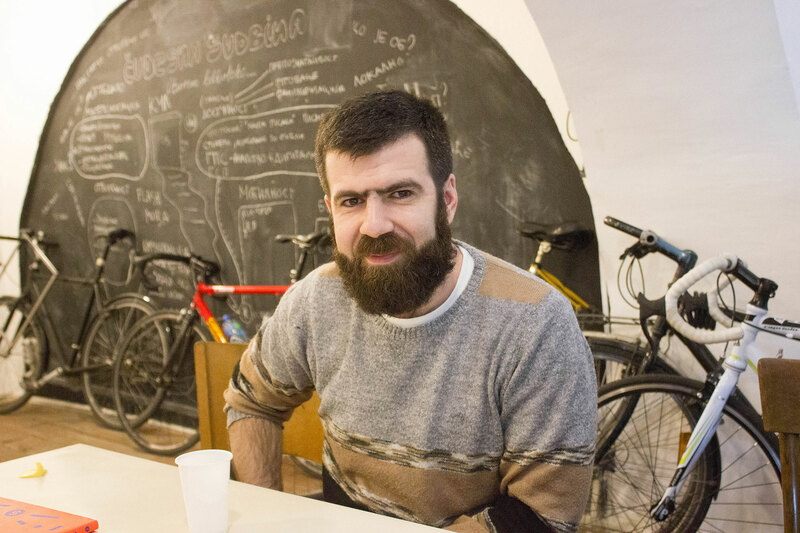 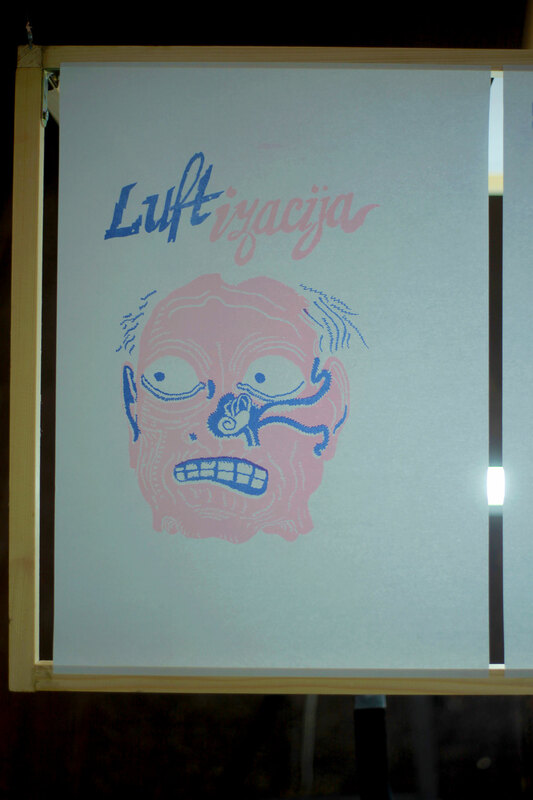 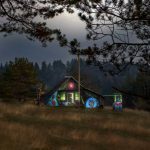 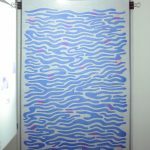 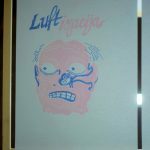 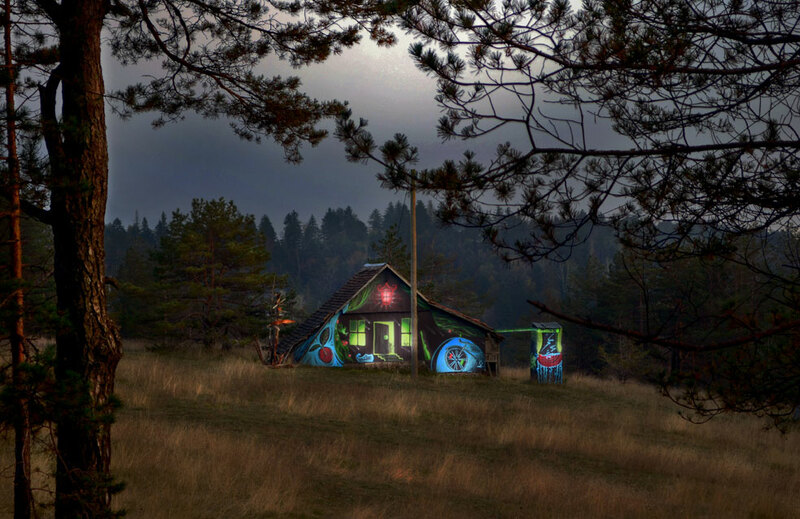 His biography is filled with multi-faced engagements – from street art projects, over solo and collective exhibitions, all the way to foundation of the artistic group Manufaktura in Tuzla, as well as the regional initiative Art of Asfalt. 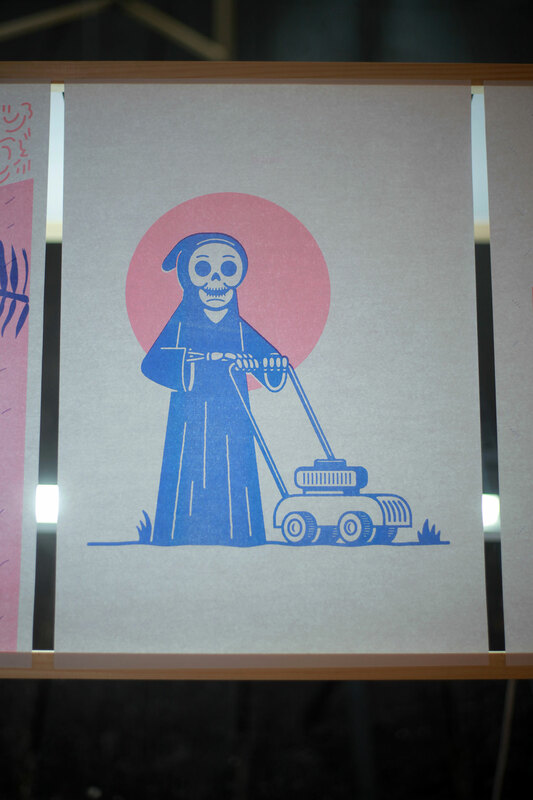 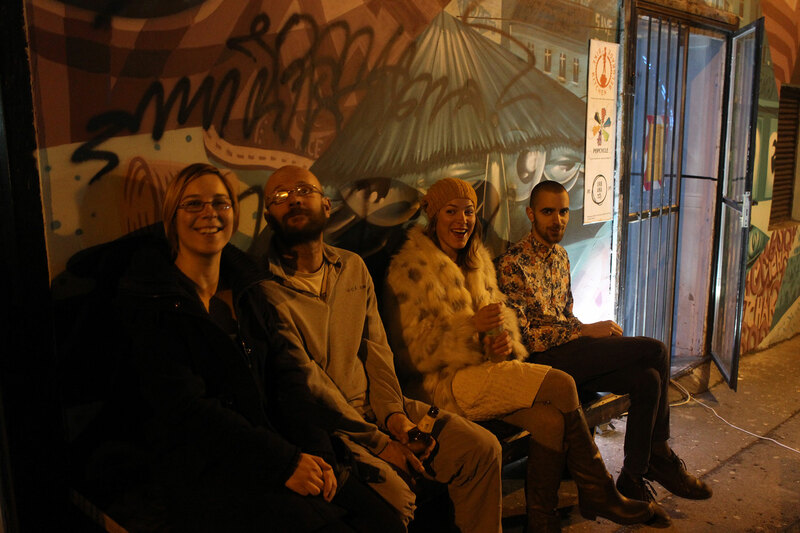 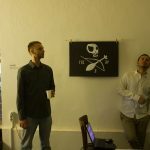 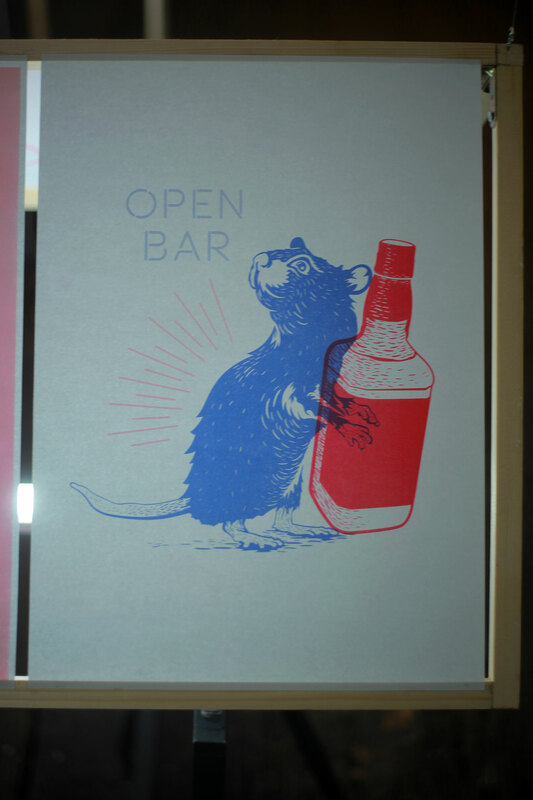 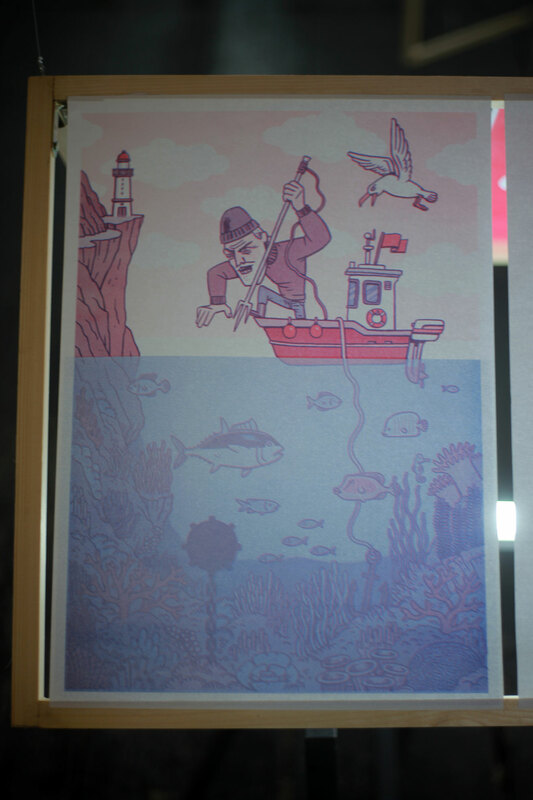 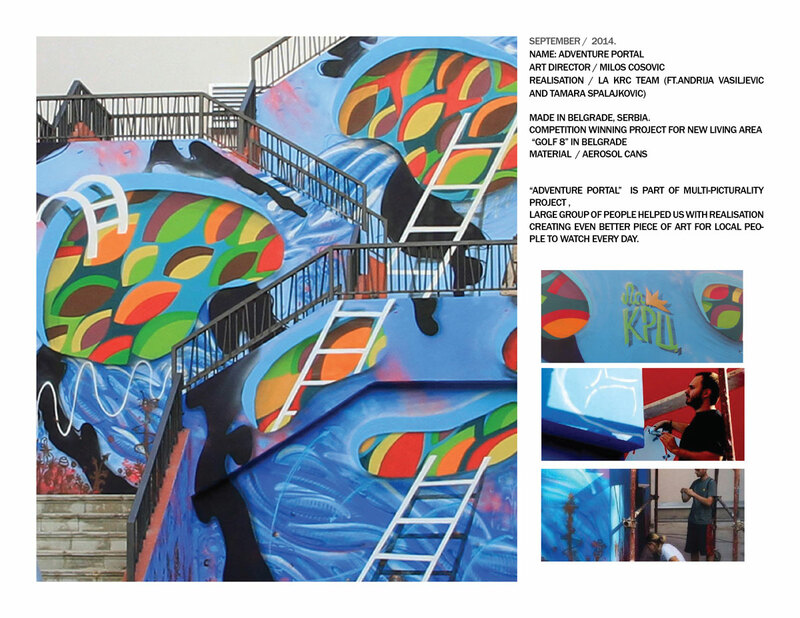 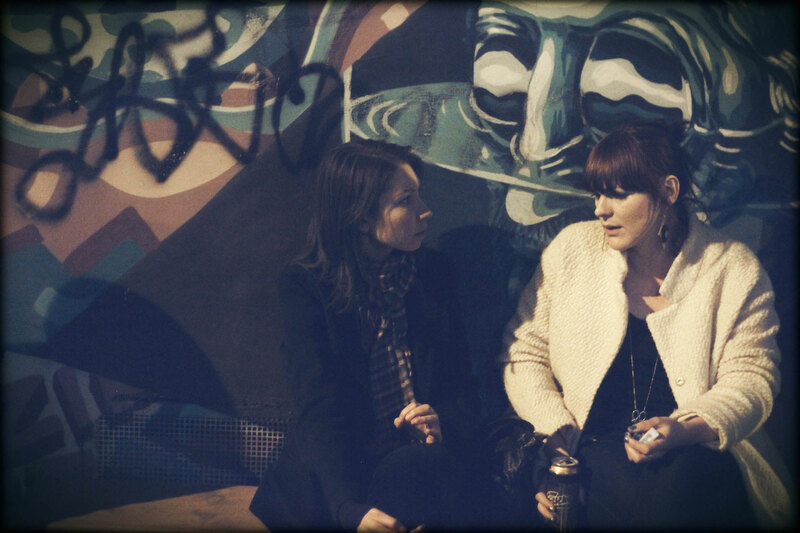 Esh received international recognition for his mural projects, video, digital prints and multimedia. 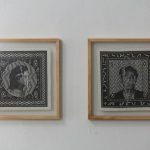 Pagan tradition, superstition and the occult are some of the constant themes present in his work, while collages and asamblages are his favorite instruments. 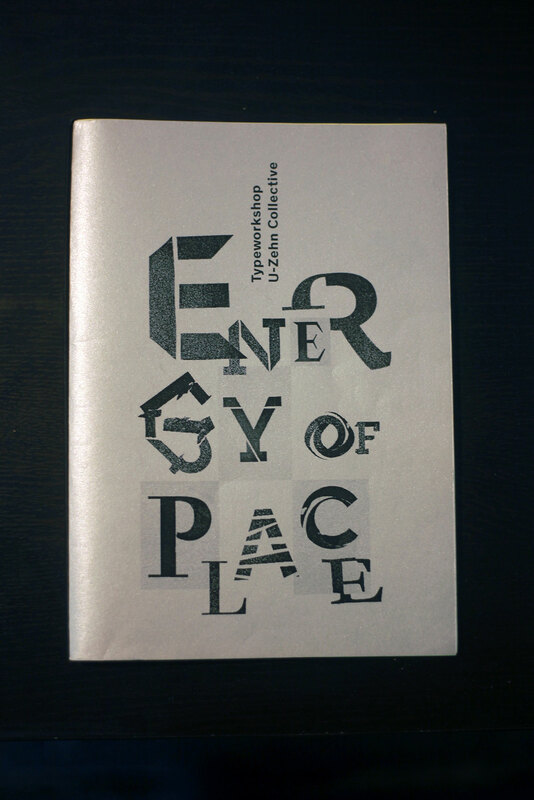 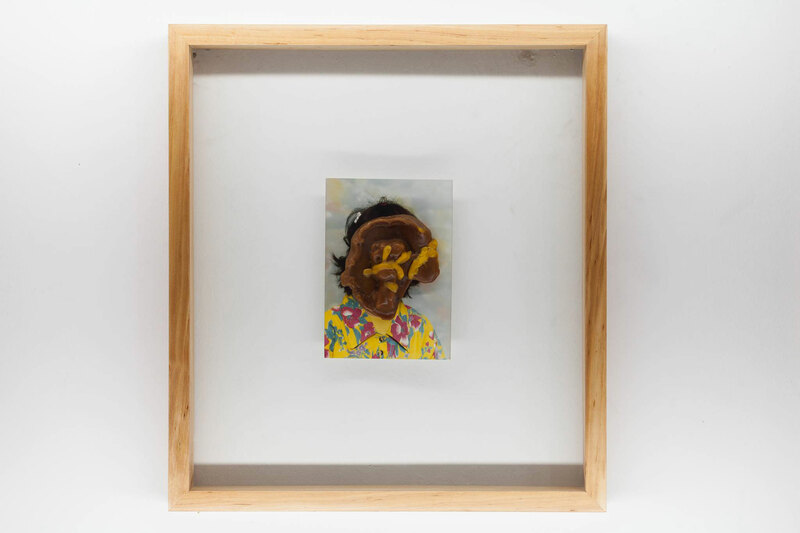 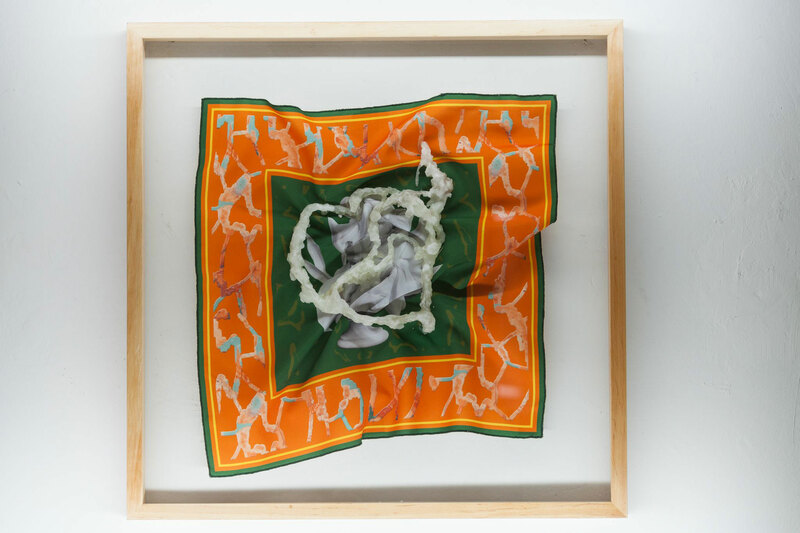 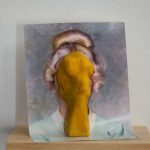 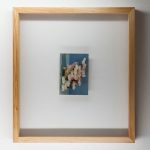 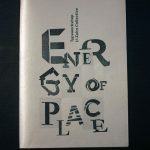 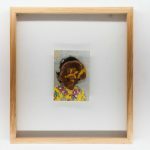 The final result may be a collage, print or spatial intervention, based in the digital domain but intruded by specific materials which have a deep cultural value for the author. 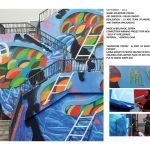 The space receives a special treatment in his works, whether it is an intervention in public space or a classic format of a painting. 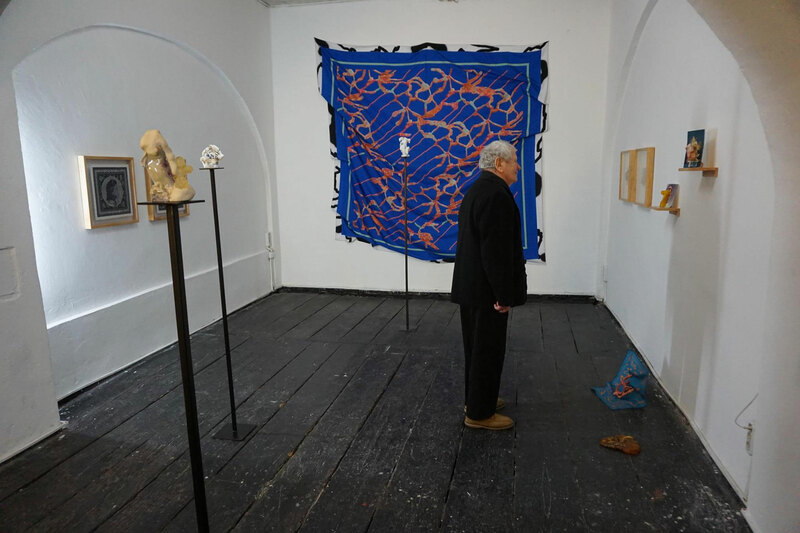 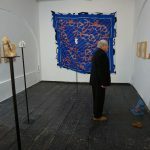 He has so far presented exhibitions in New York, Tokyo, Athens, Zagreb, Ljubljana, Vienna, Sofia, Belgrade, Stuttgart, Heilbronn, Herceg Novi and other cities in the region, while he is a regular visitors of the Škver and MUU festival in Mali Lošinj and Zagreb respectively. 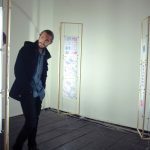 His works can often be seen on the pages of relevant blogs and art magazines.